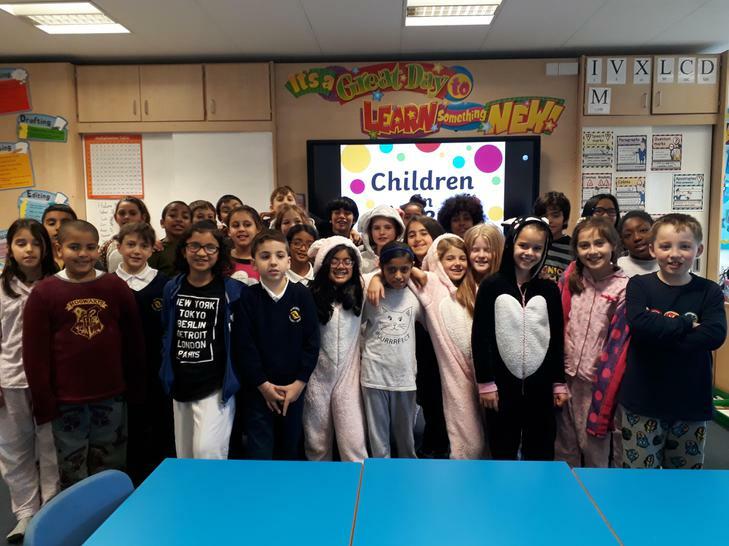 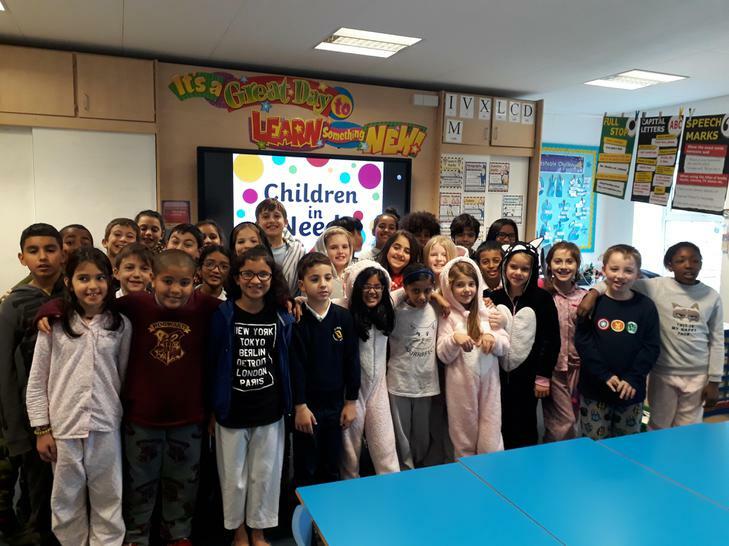 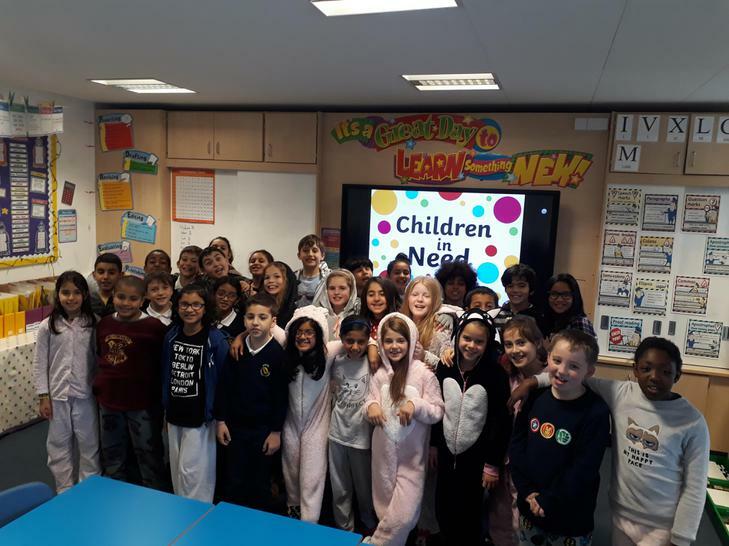 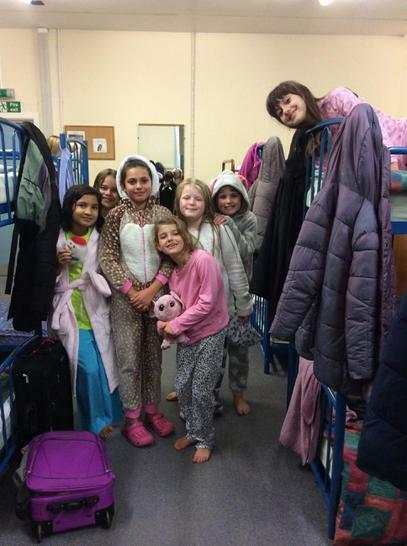 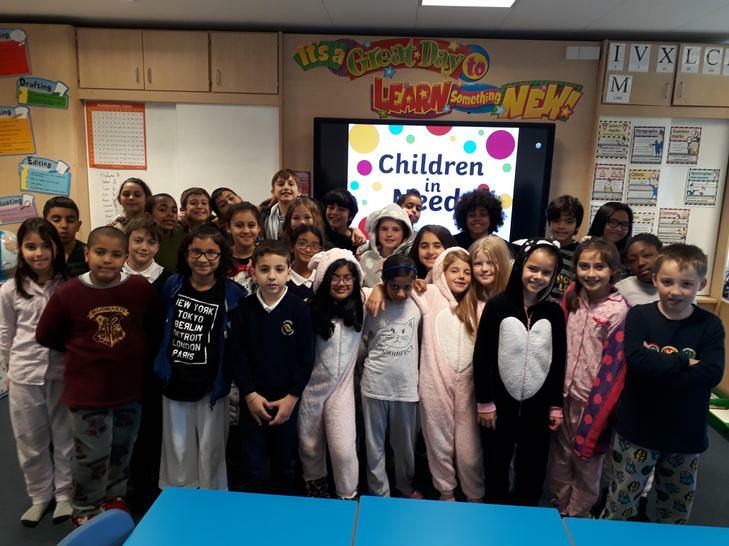 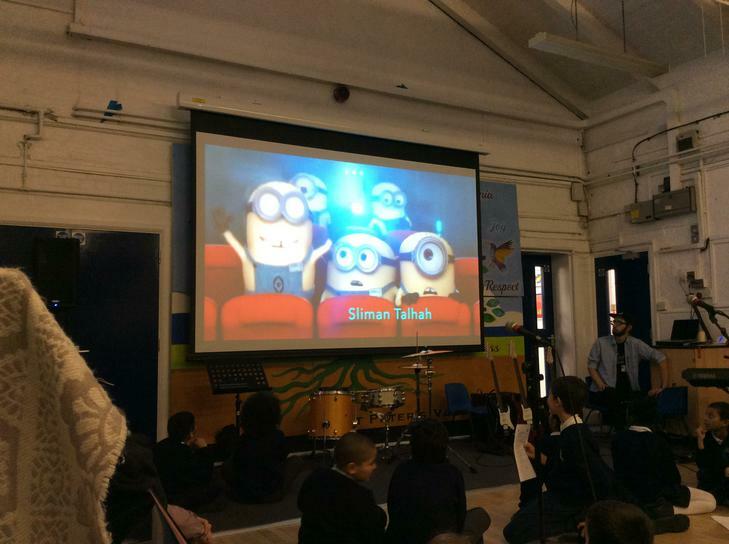 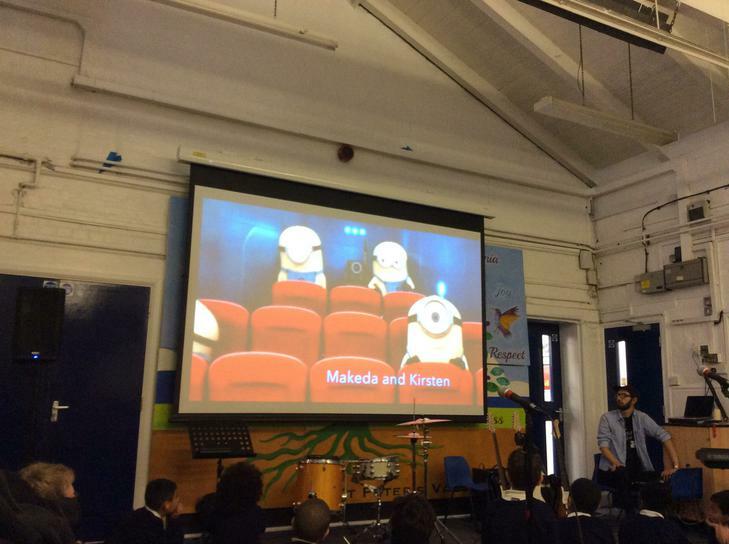 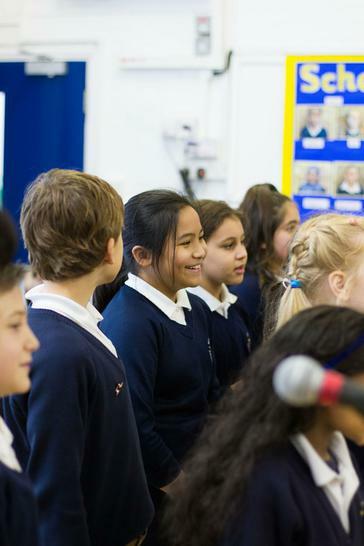 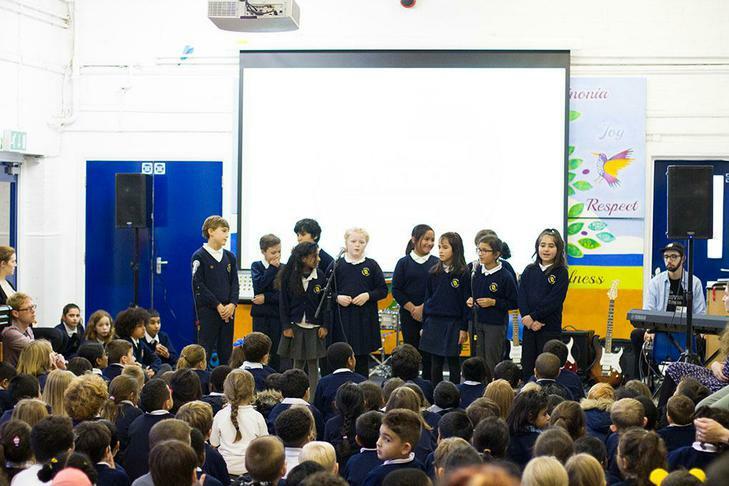 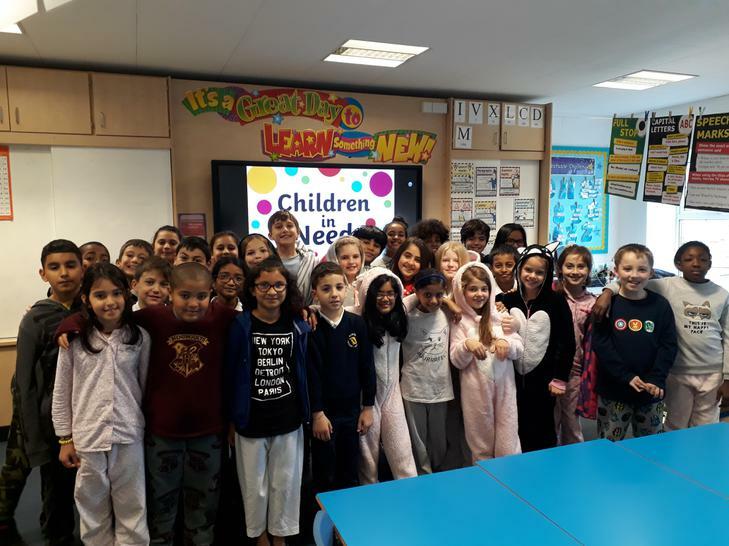 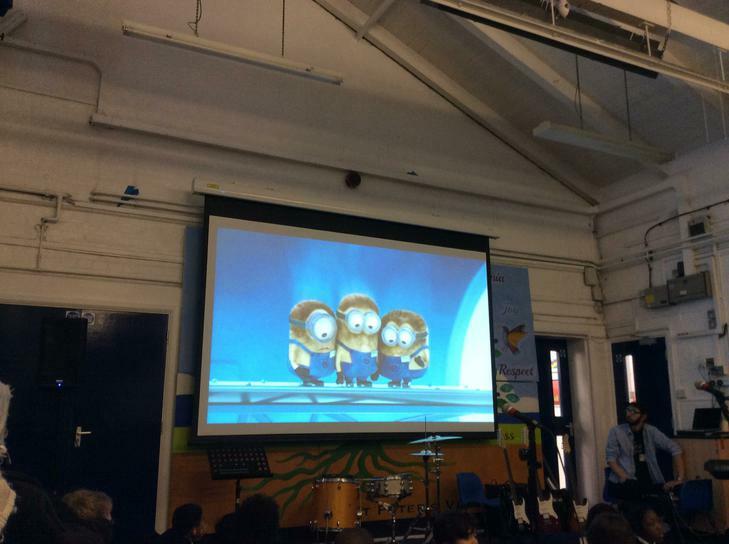 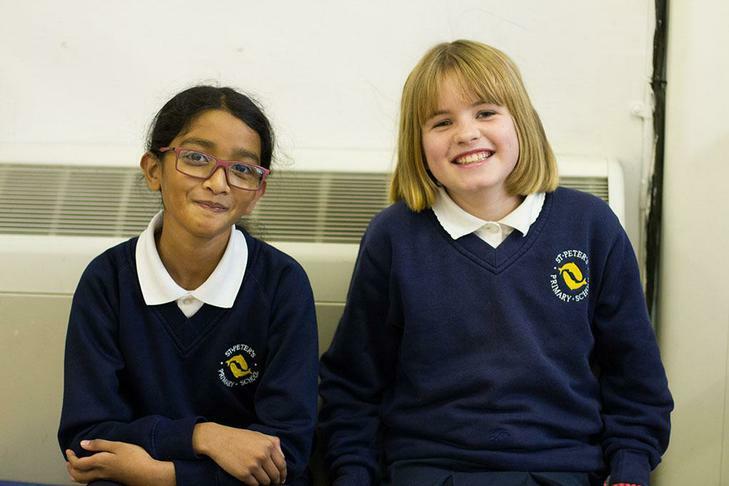 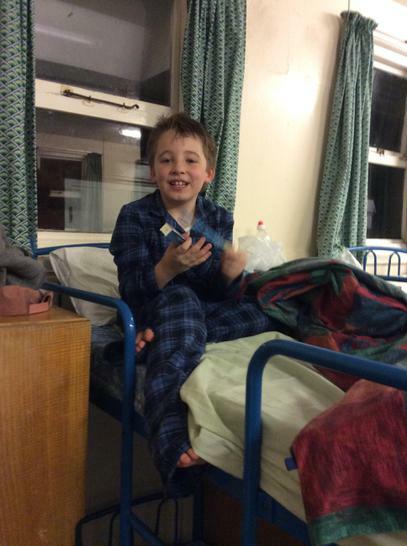 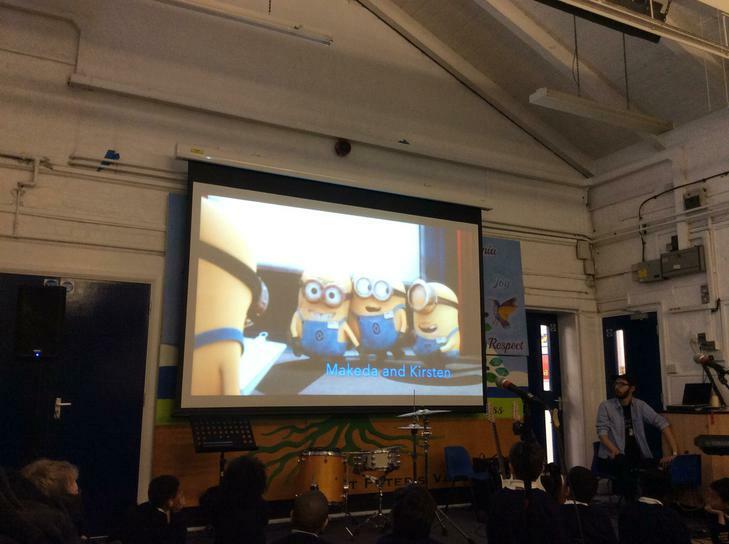 A big warm welcome to Year 5's class page! 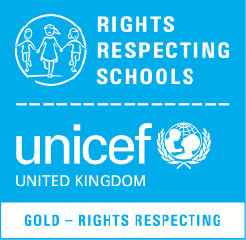 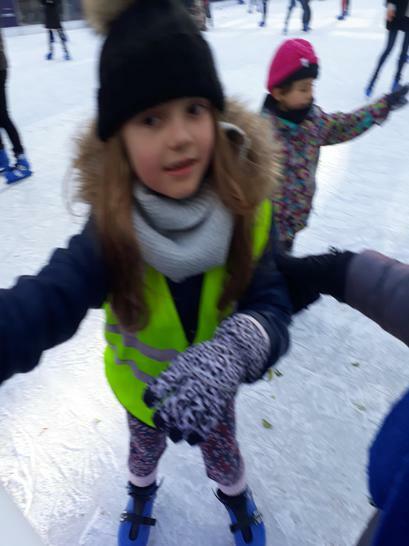 We have so many fun and exciting new things to learn and we'll be putting up lots of photos and information of all the wonderful activities and learning which we have been taking part in. 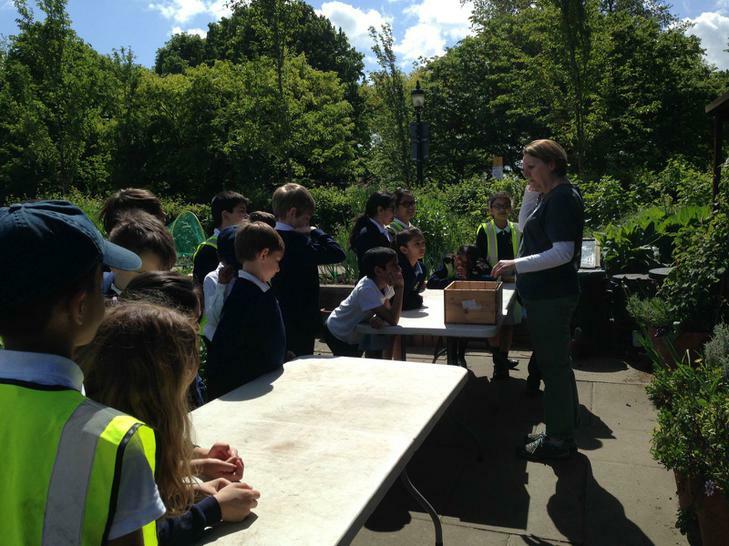 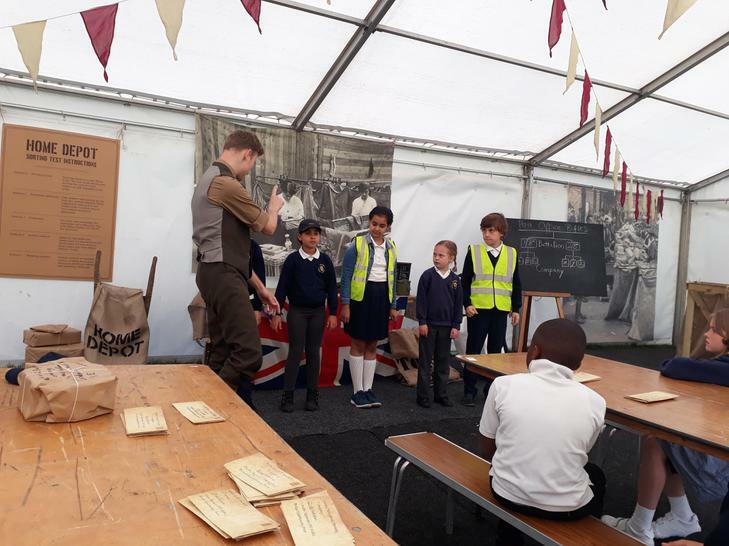 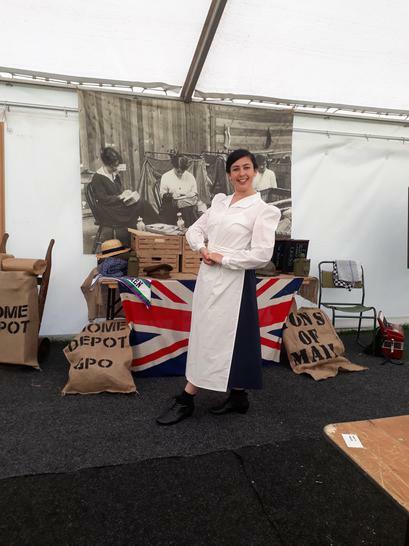 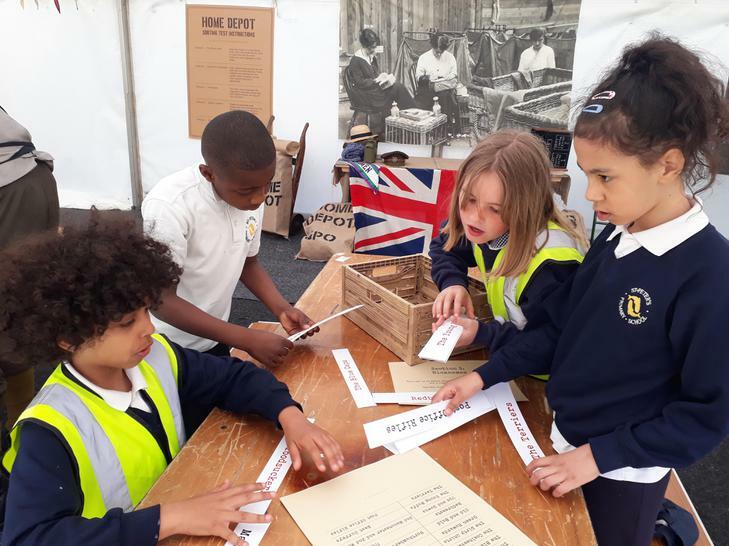 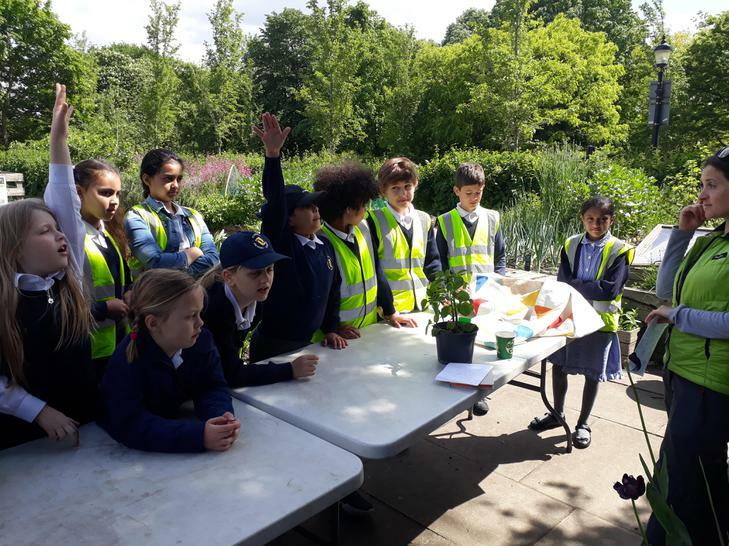 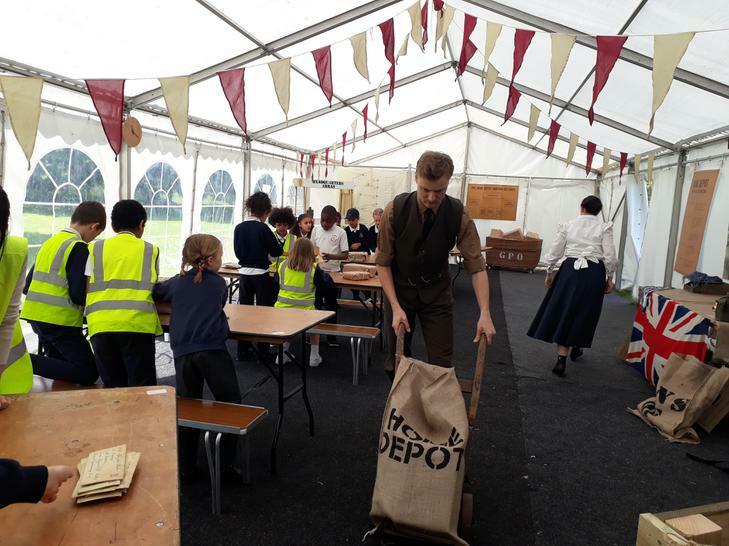 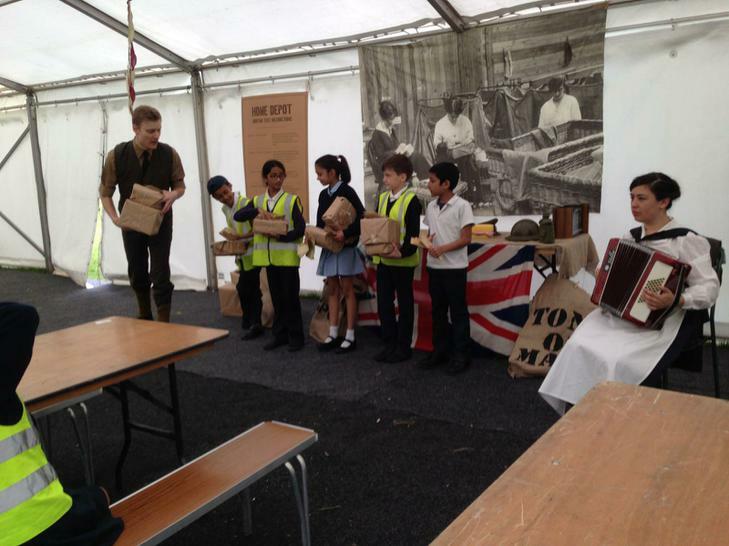 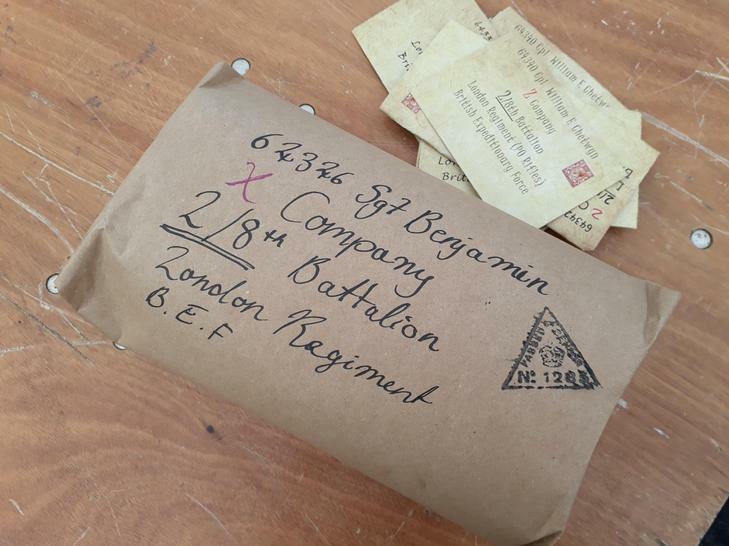 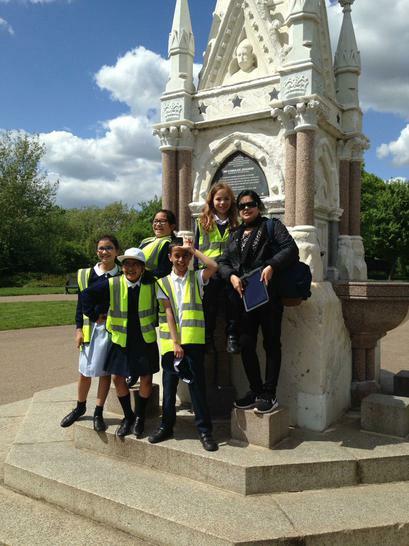 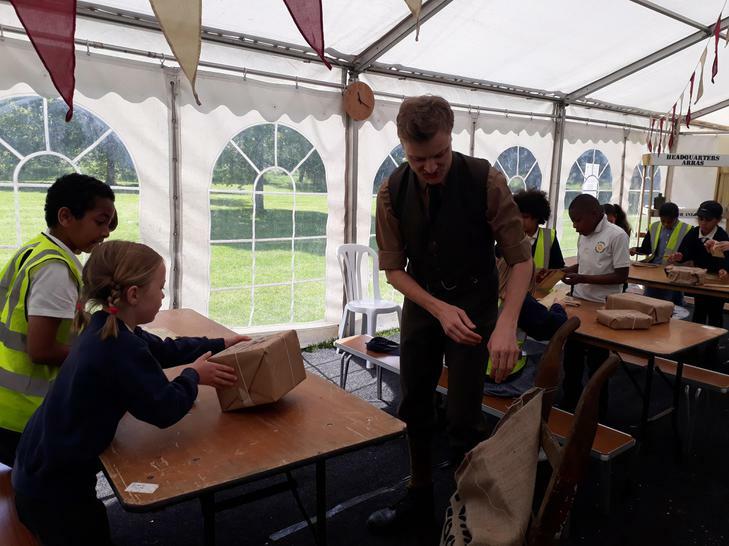 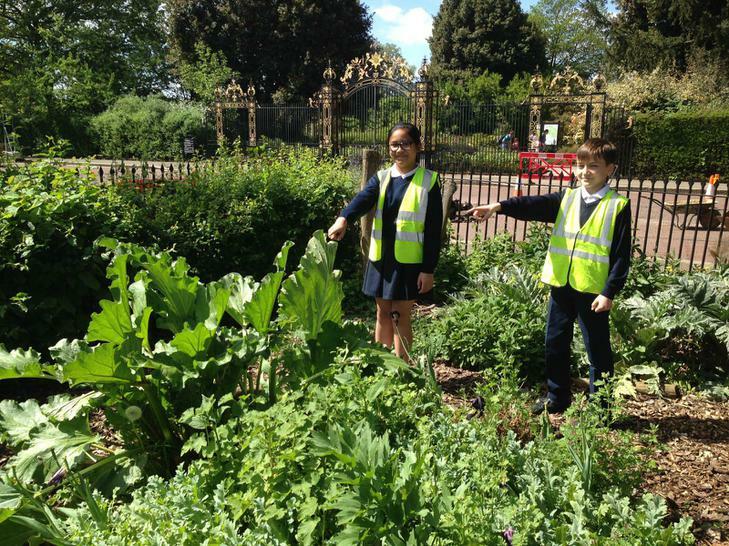 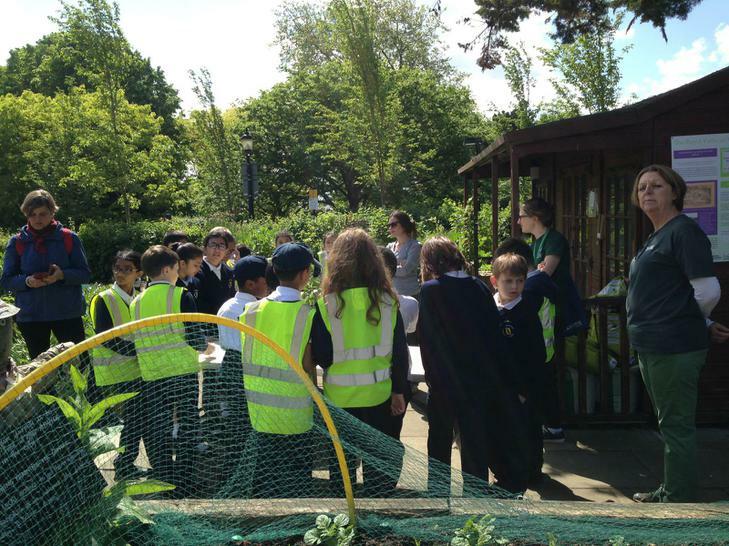 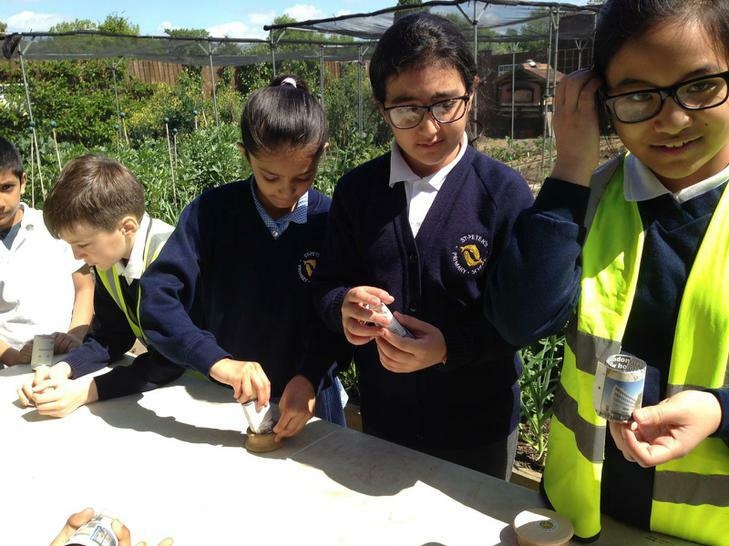 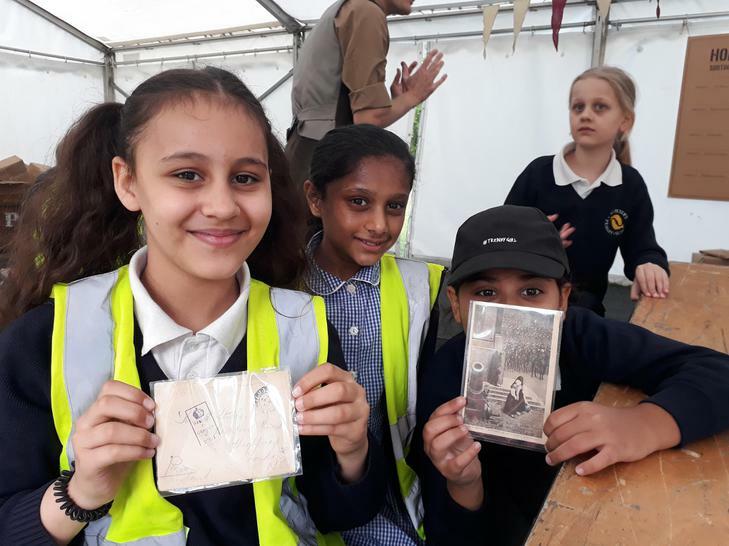 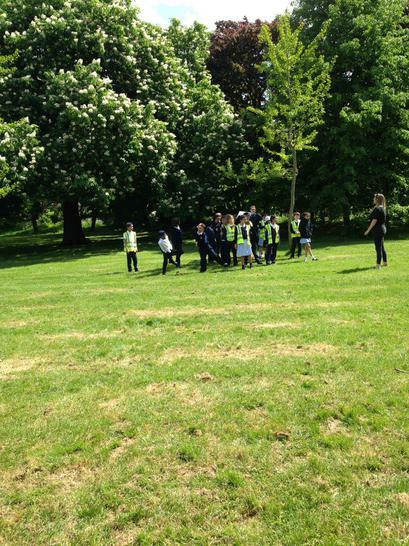 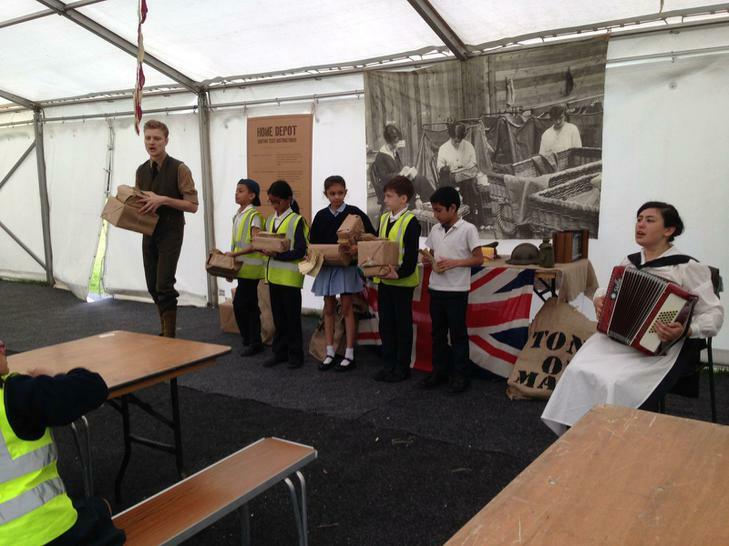 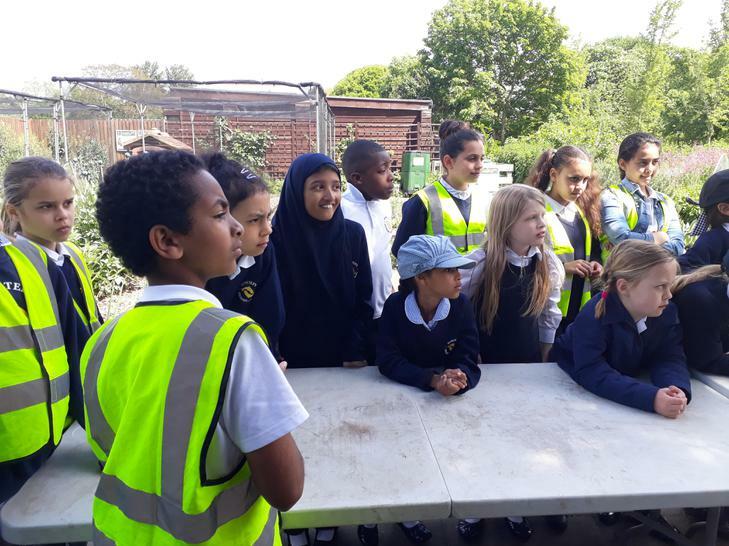 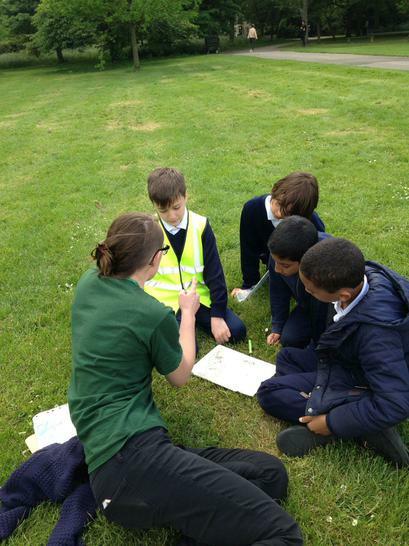 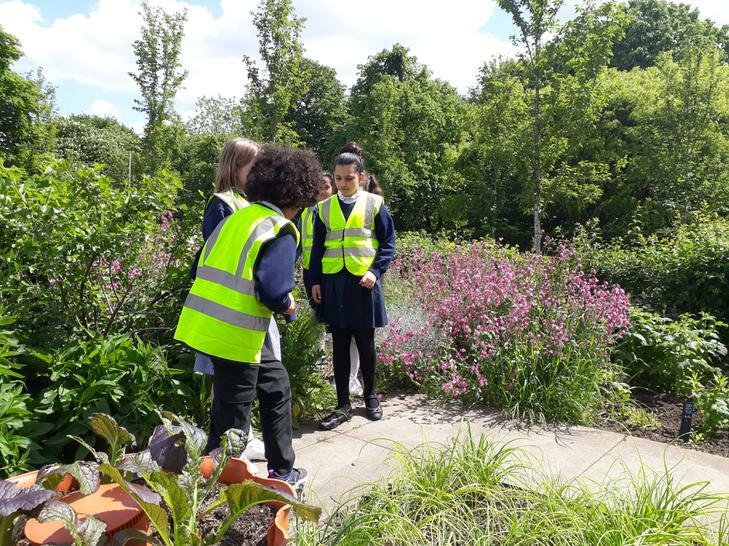 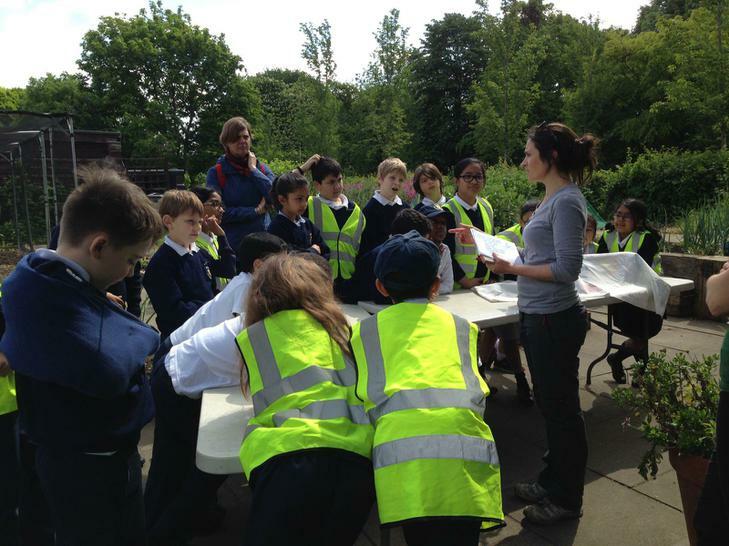 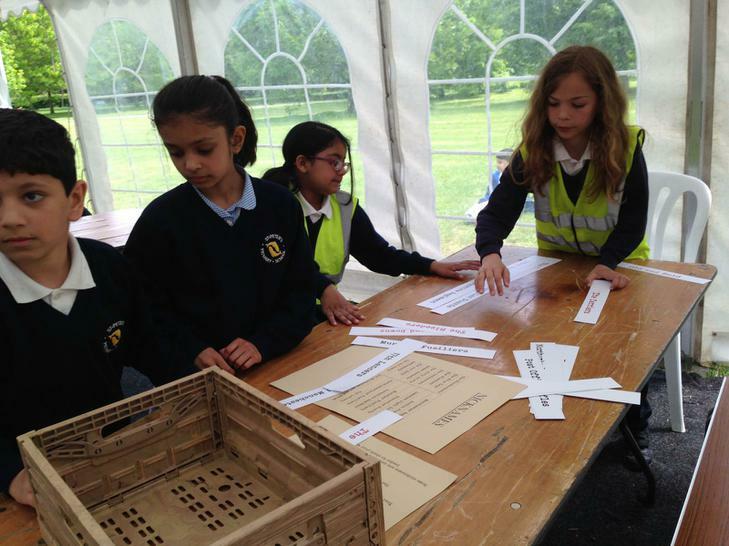 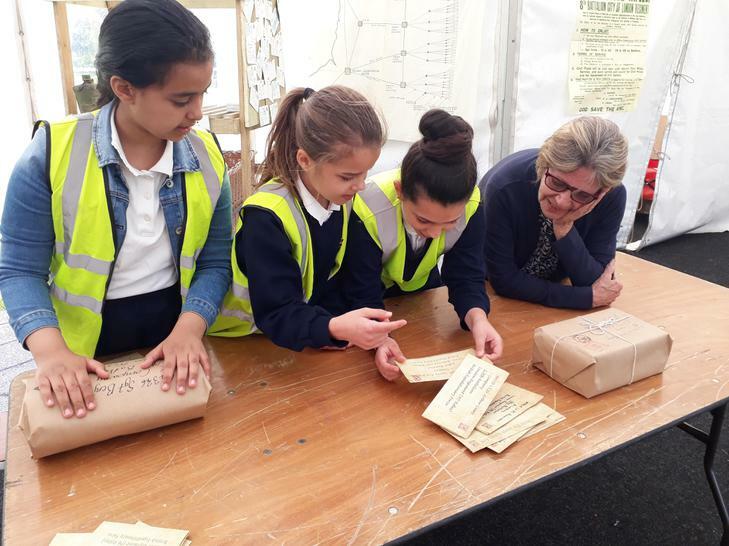 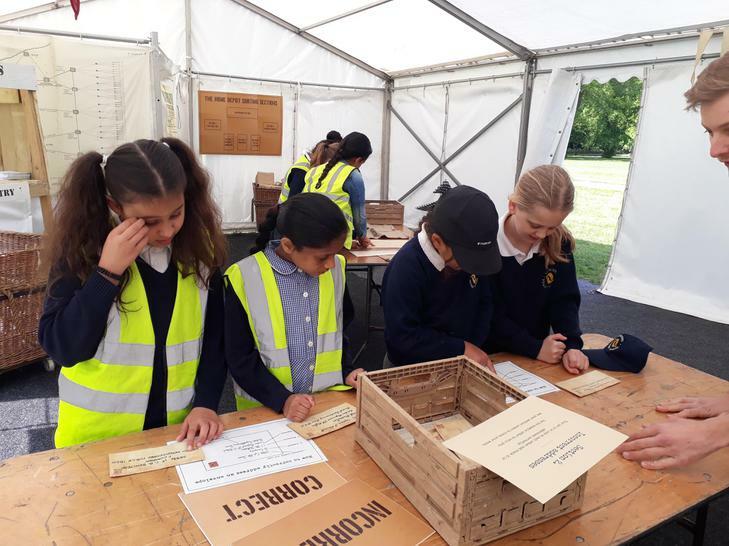 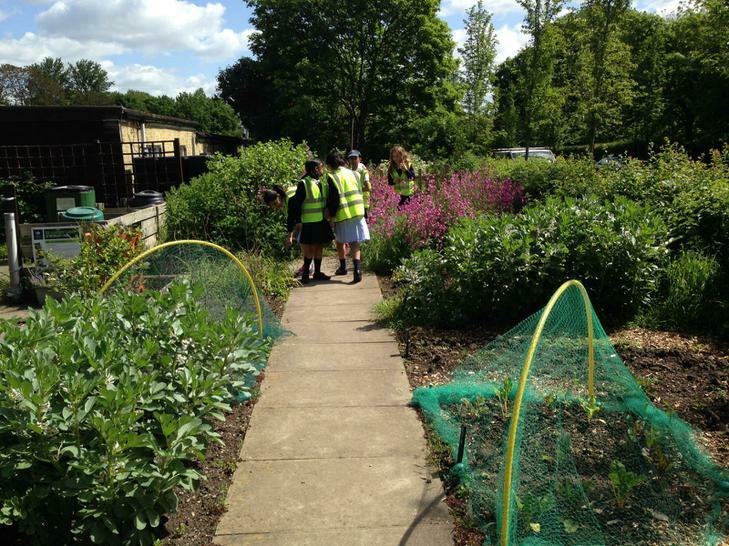 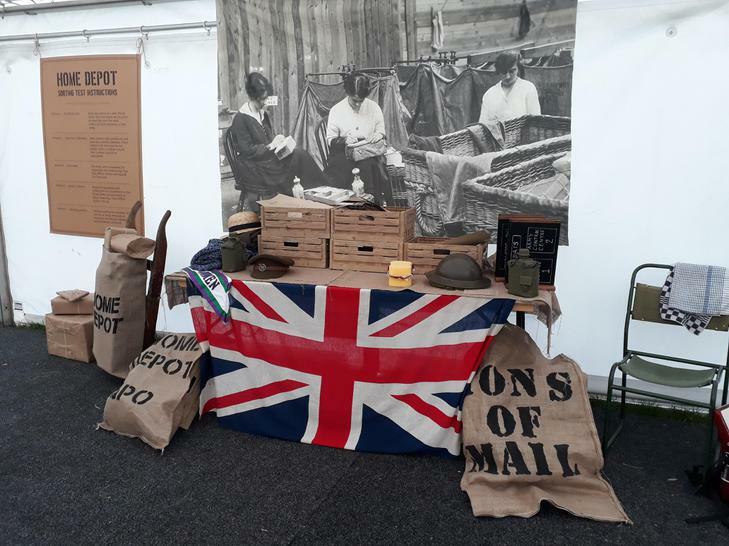 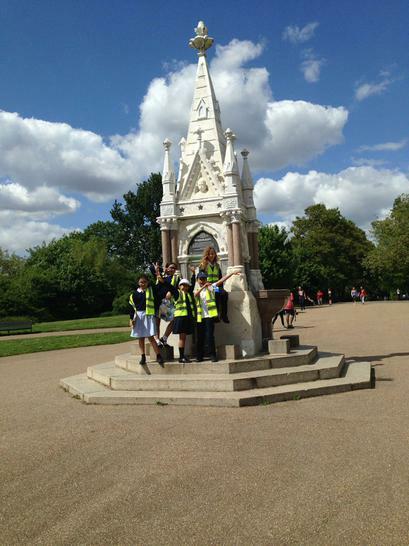 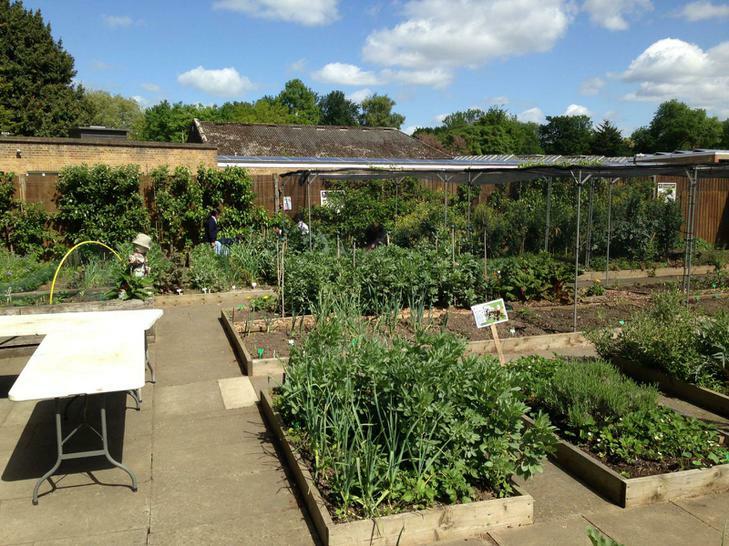 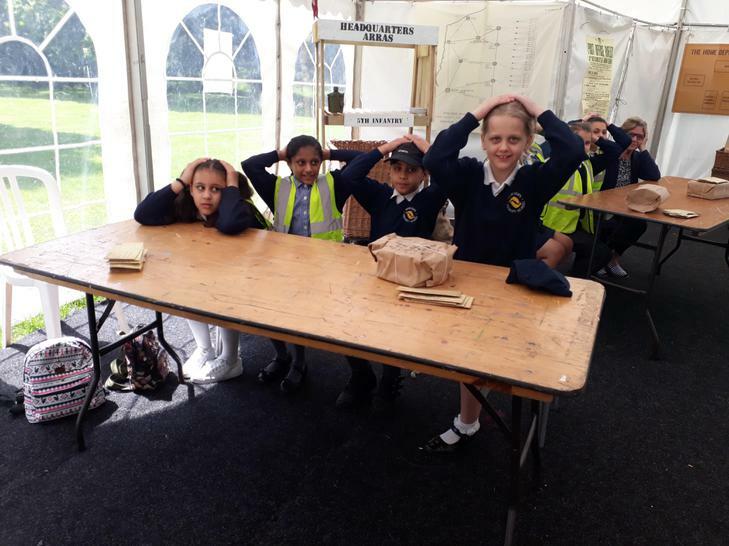 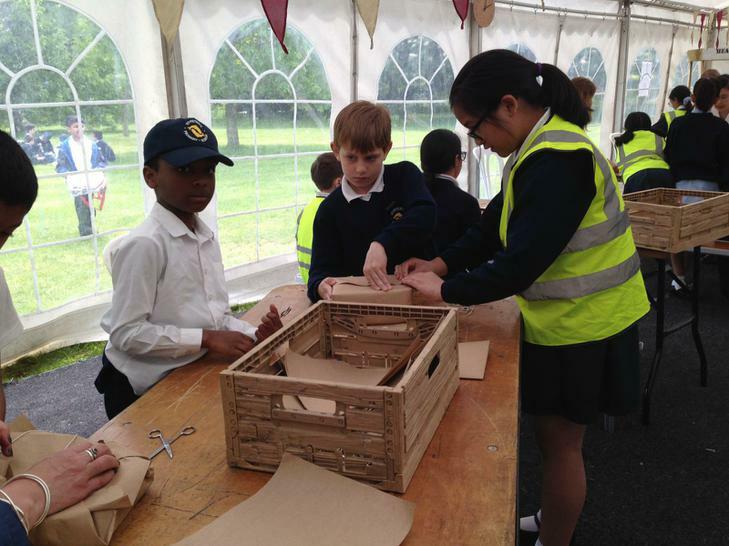 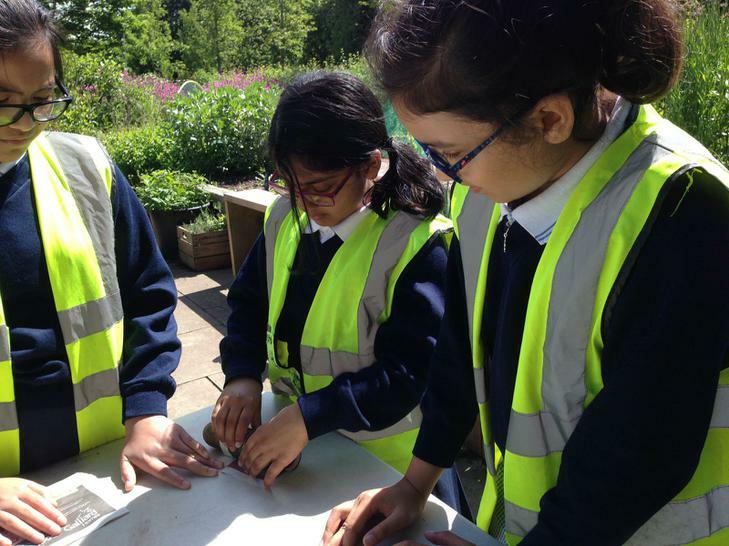 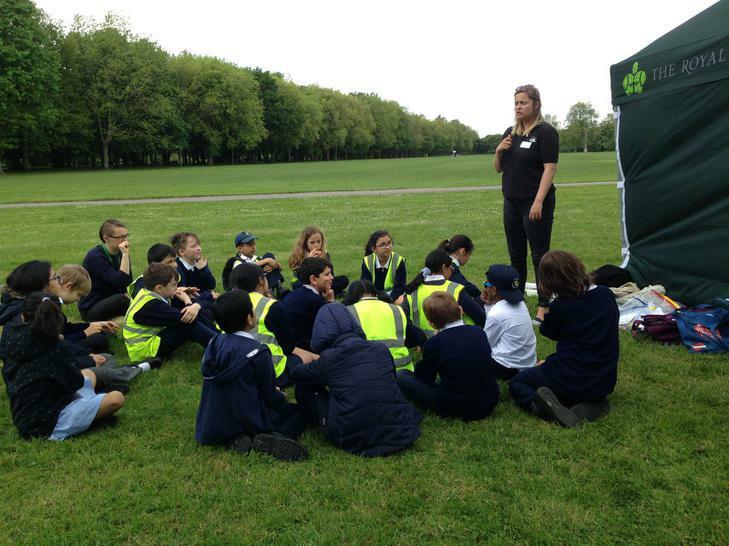 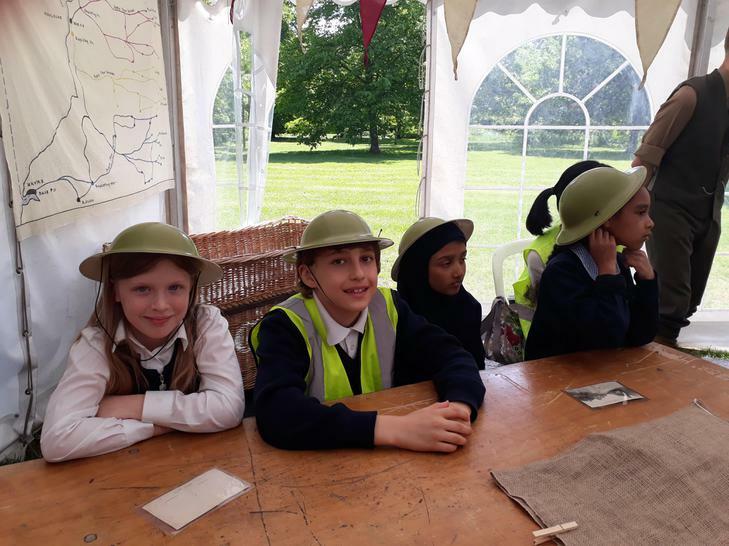 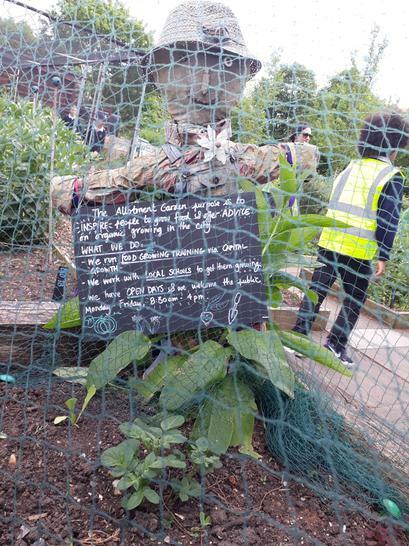 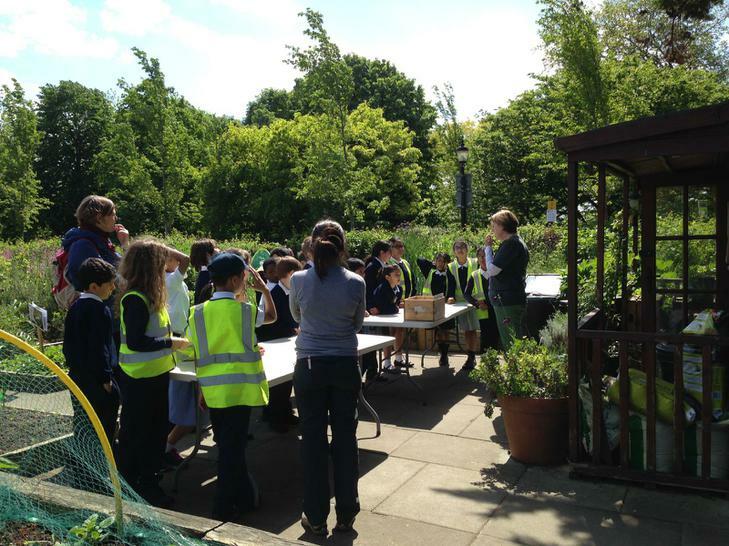 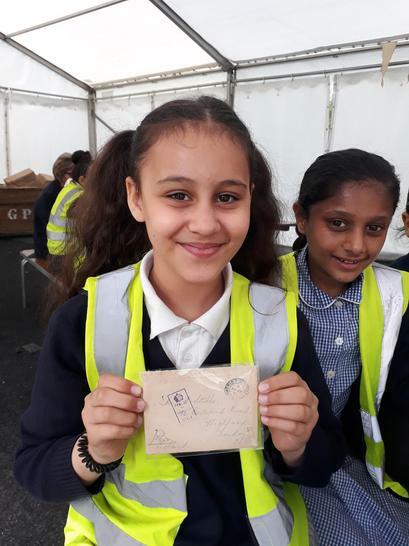 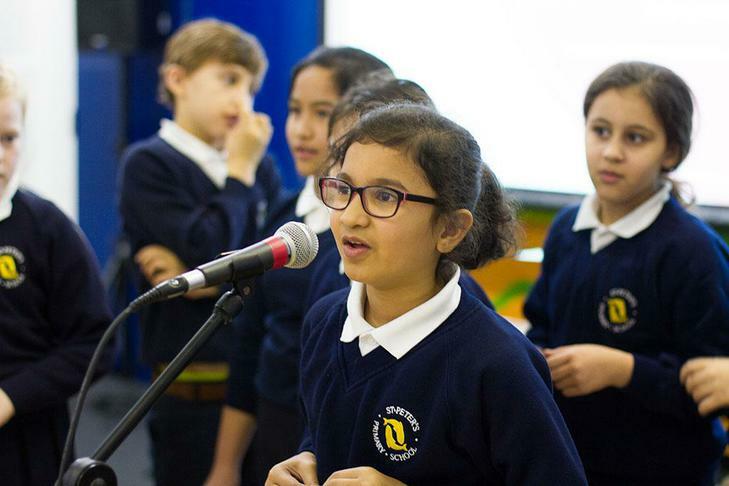 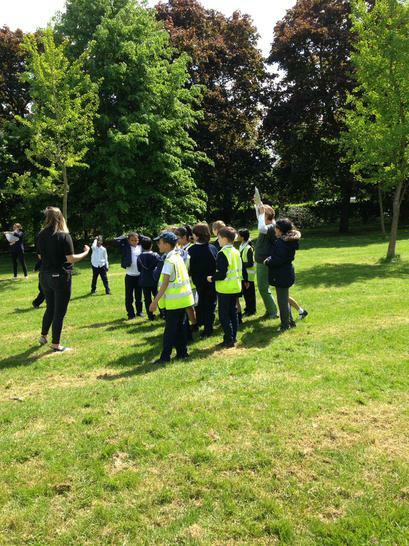 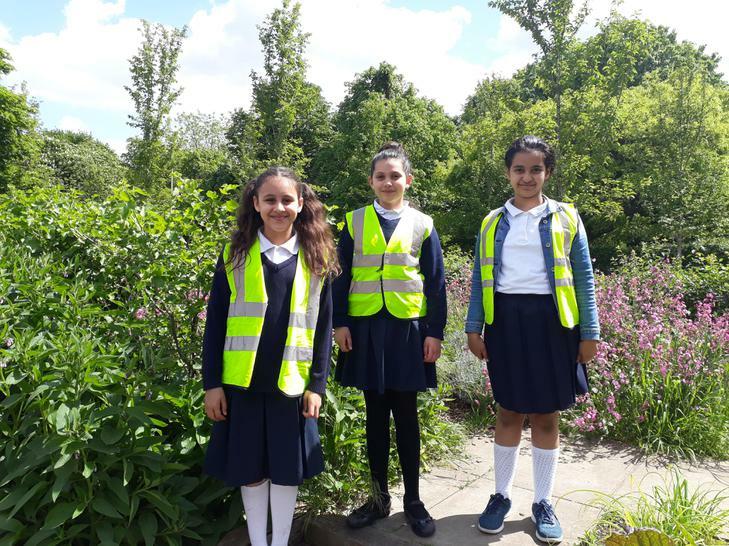 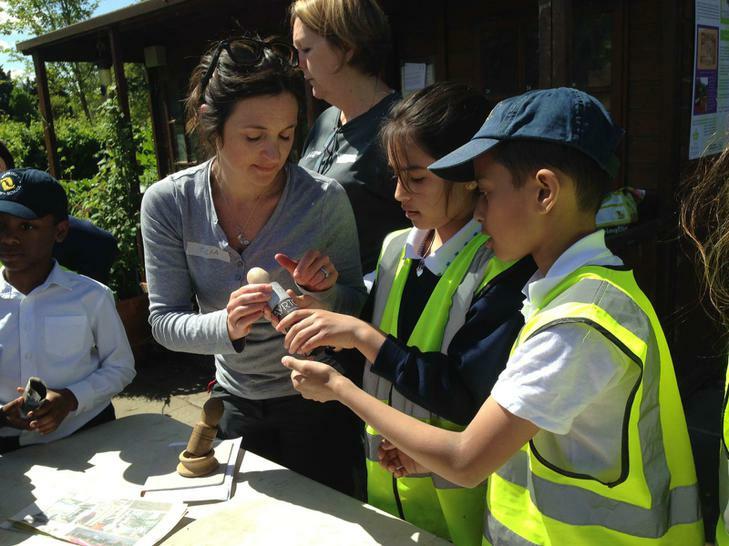 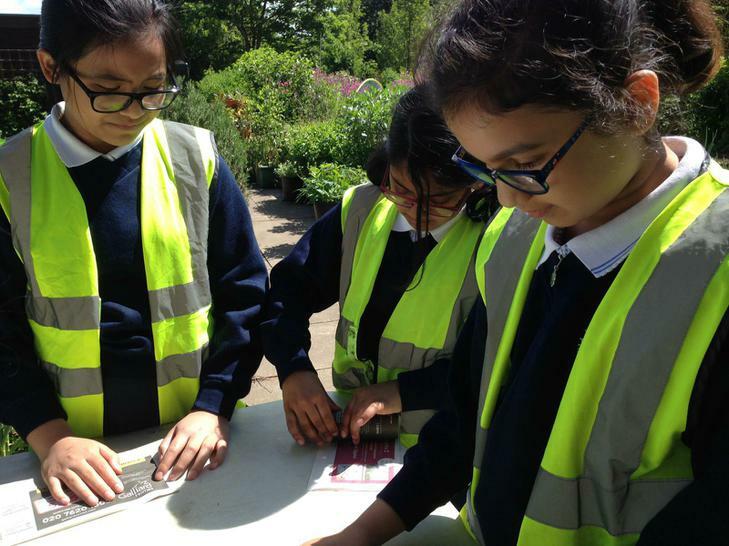 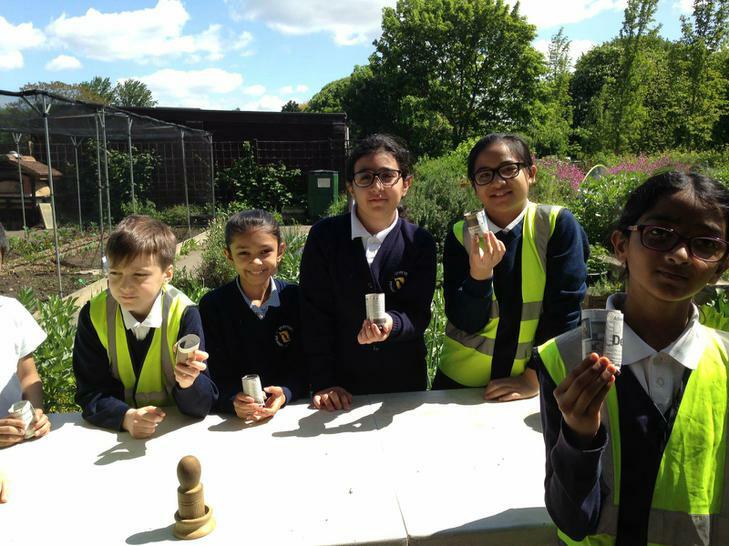 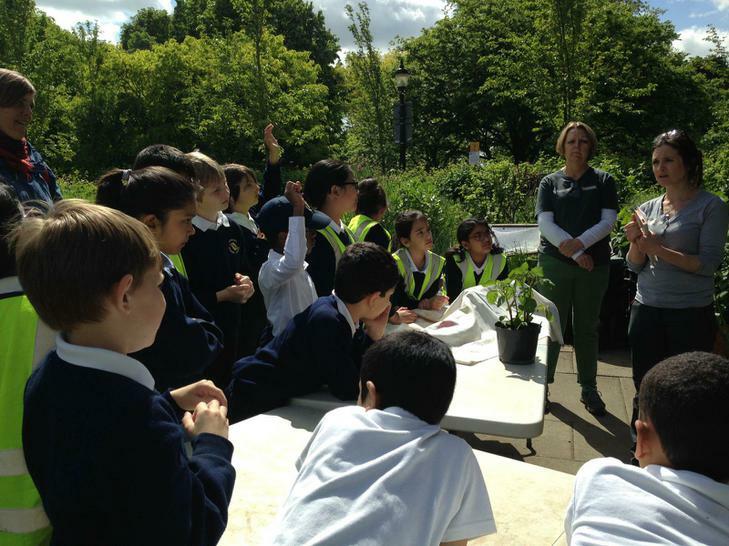 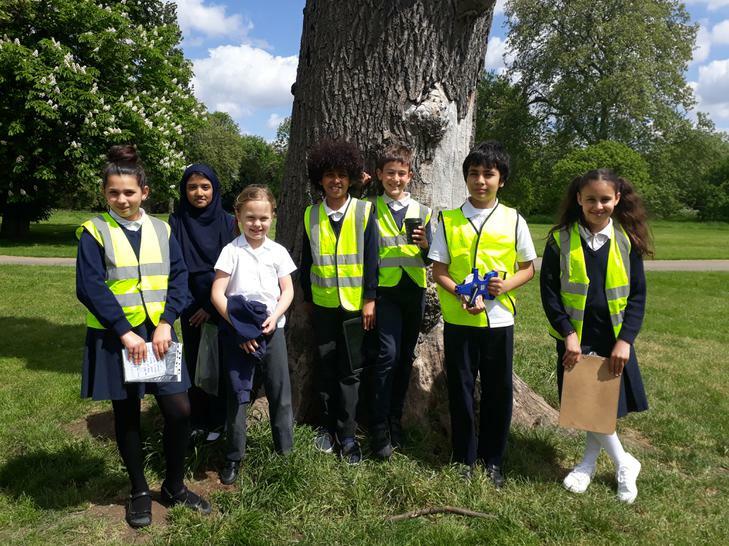 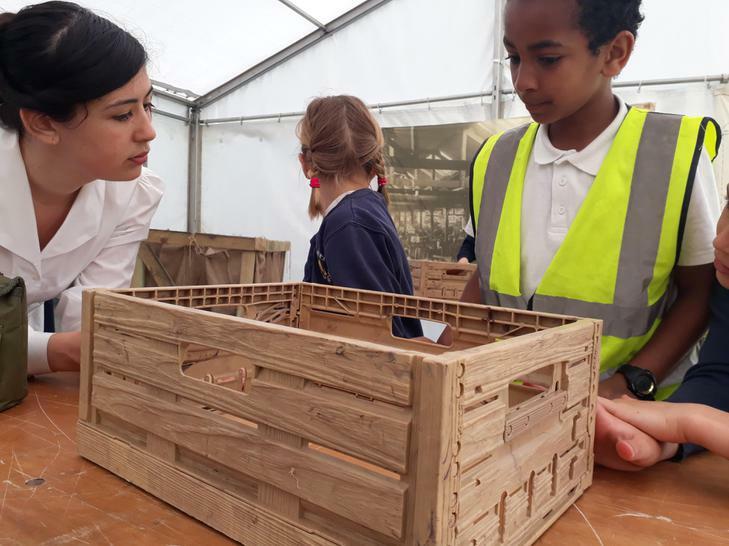 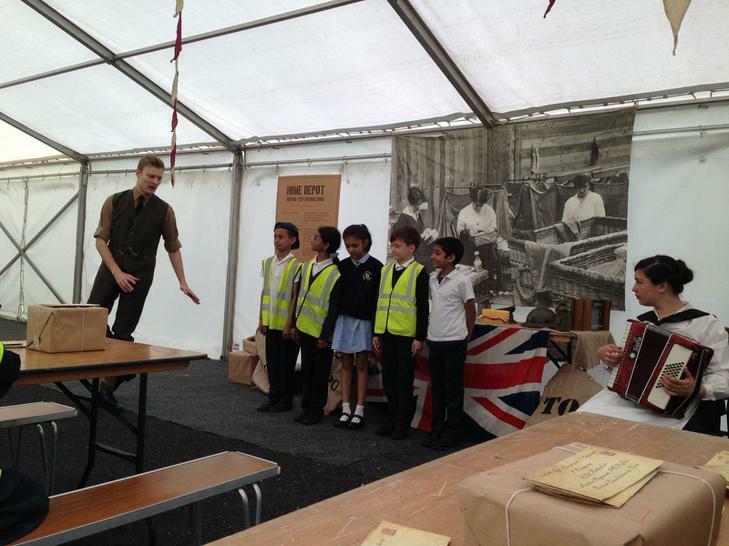 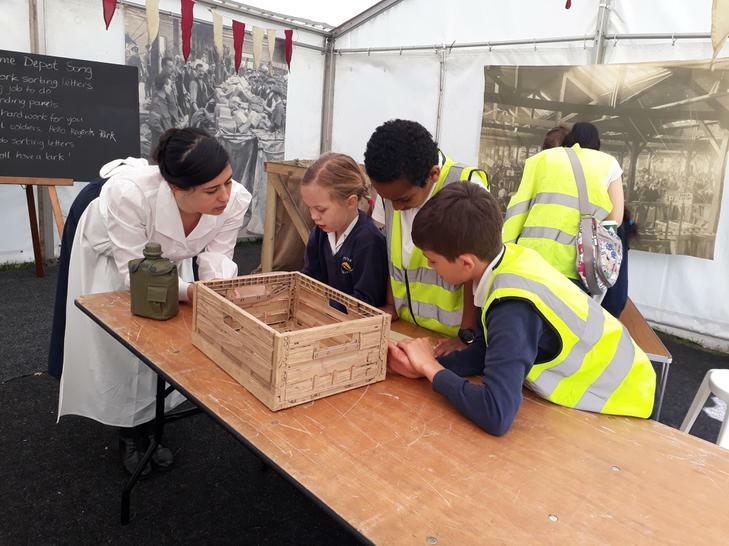 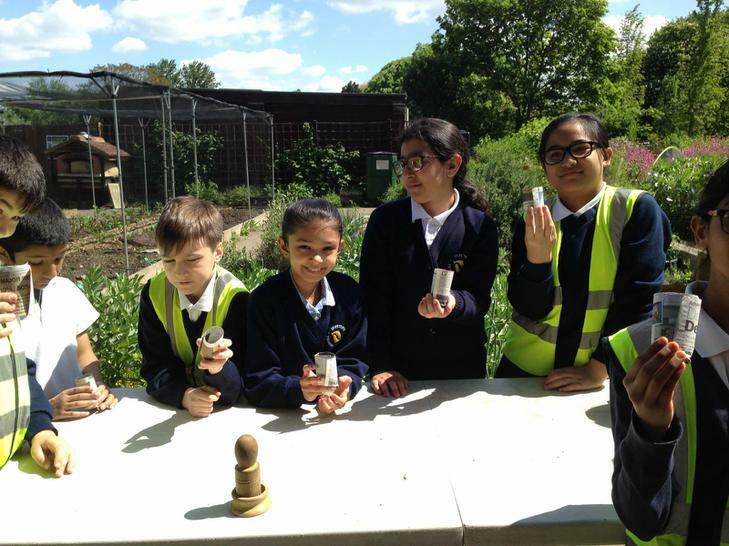 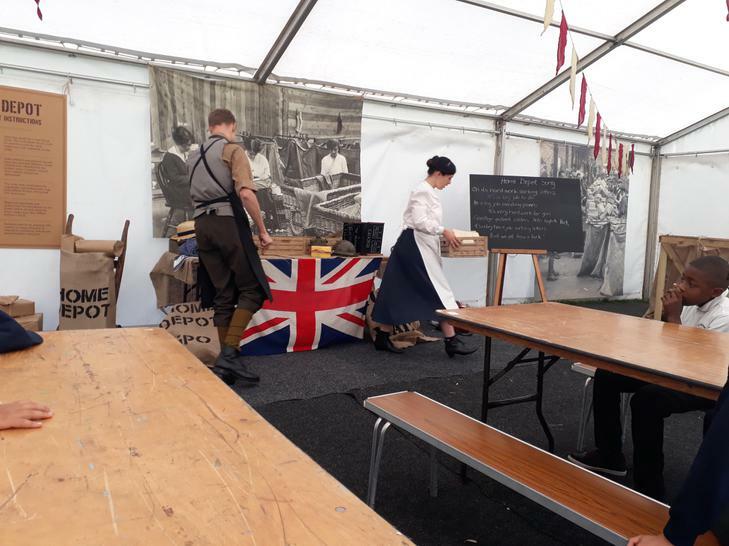 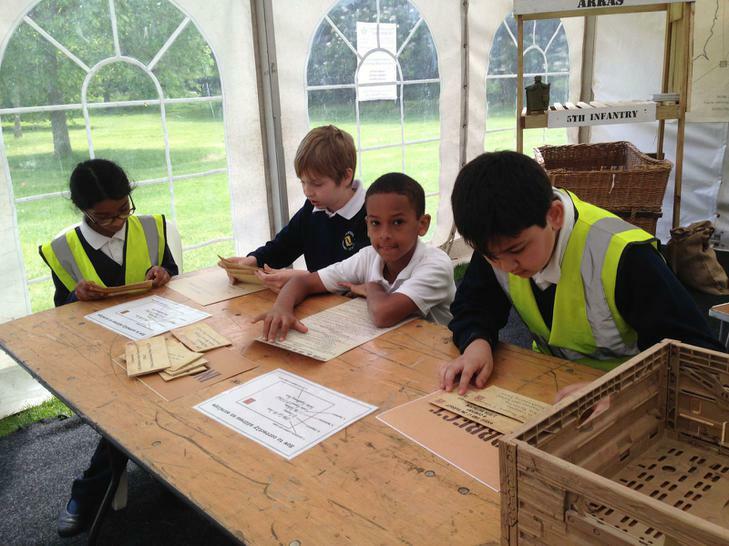 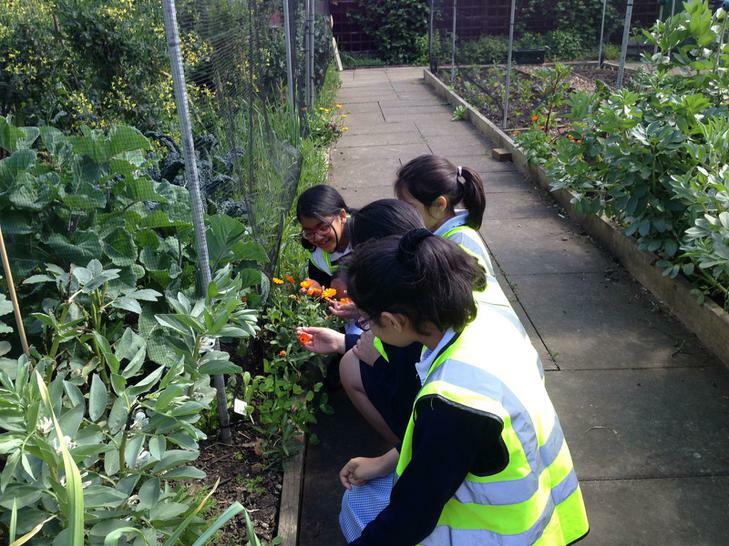 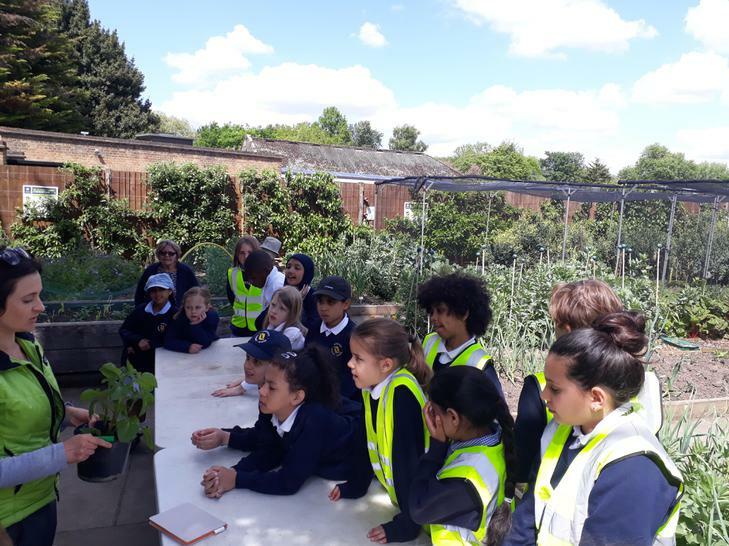 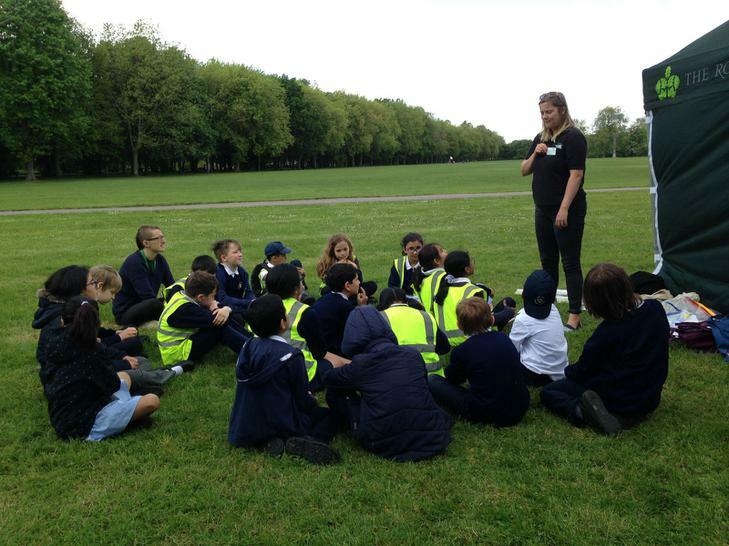 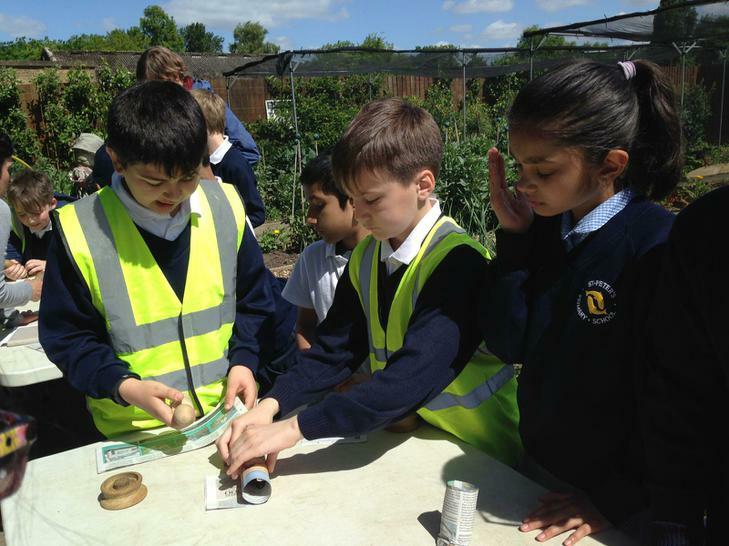 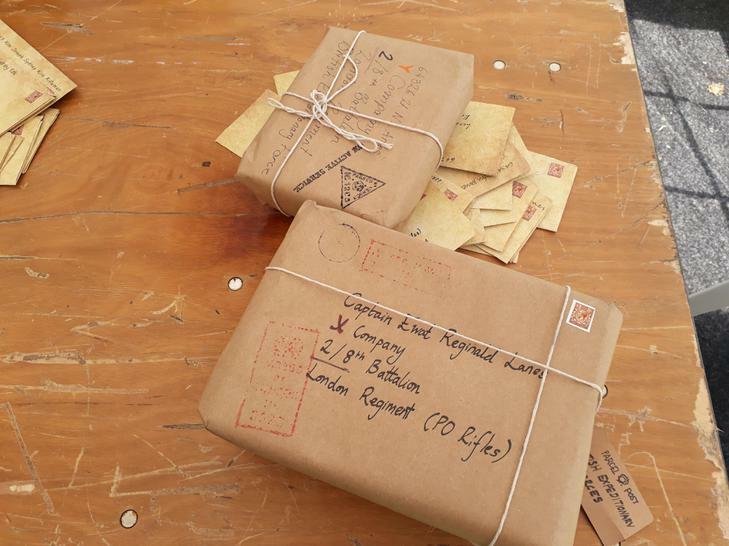 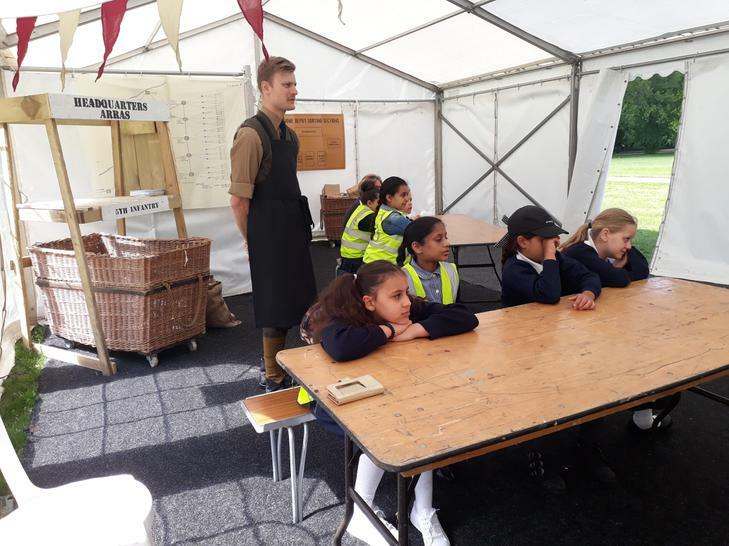 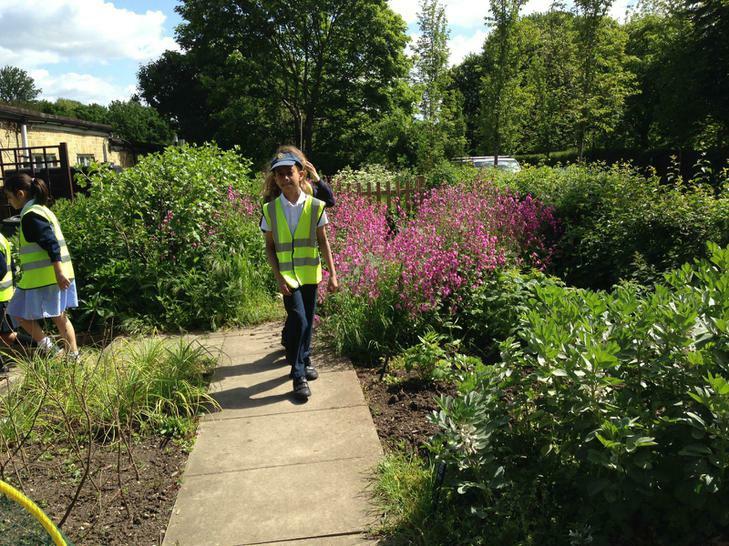 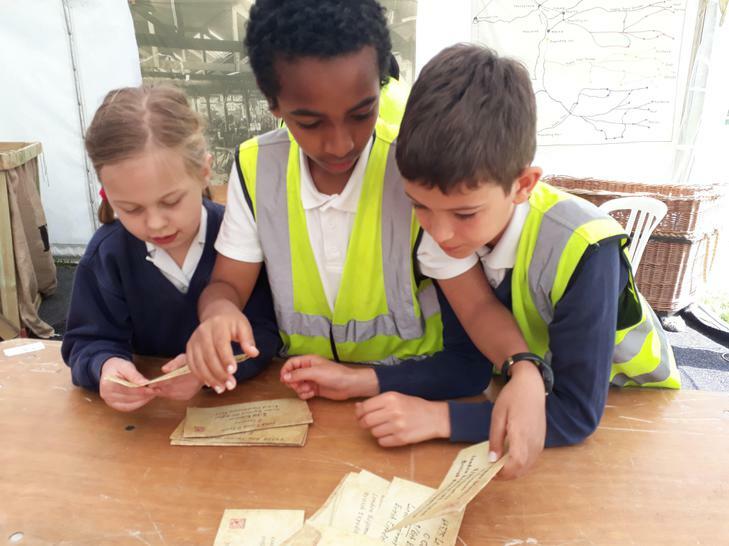 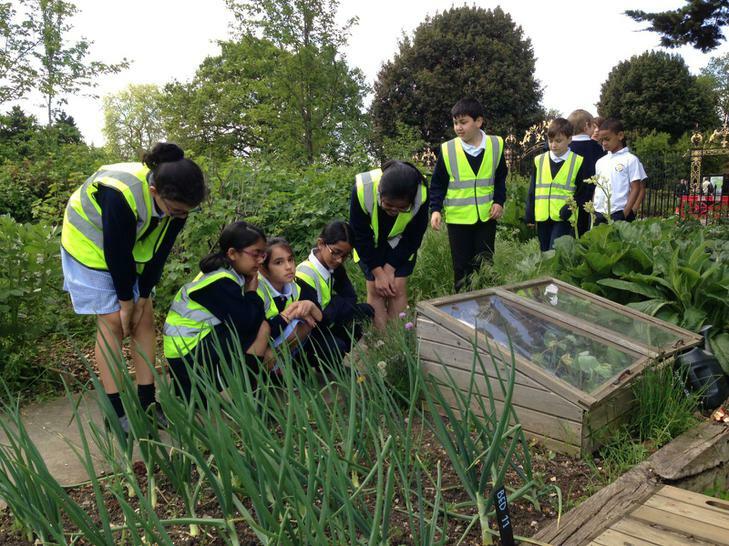 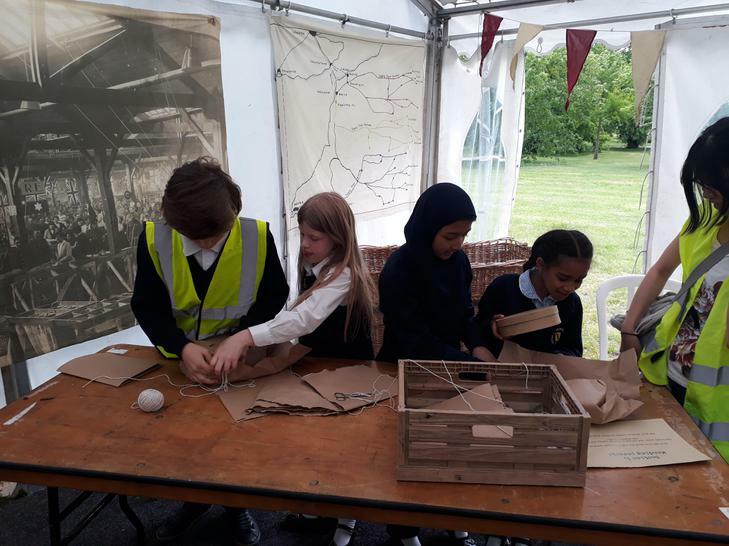 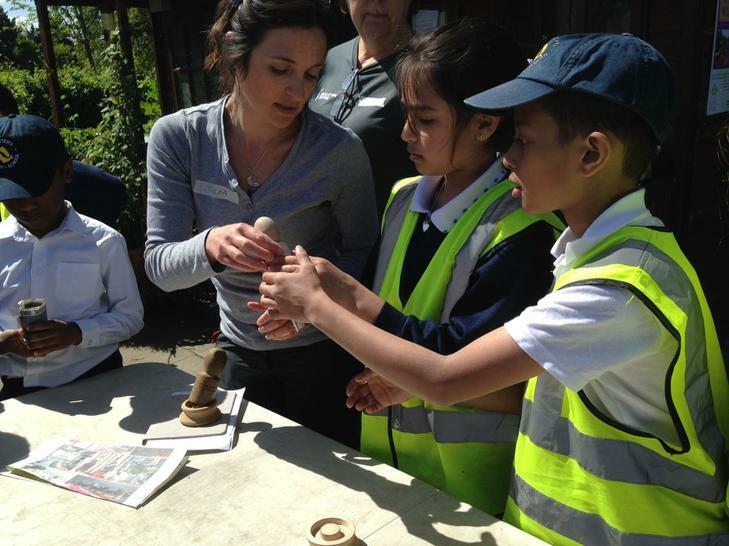 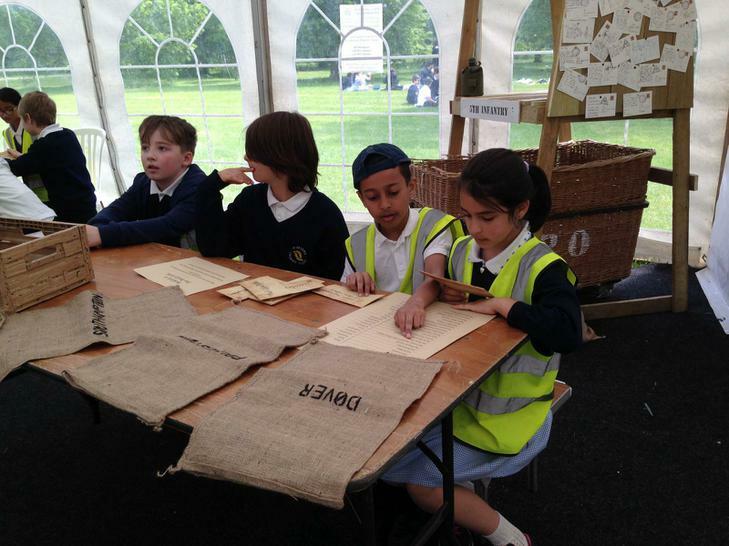 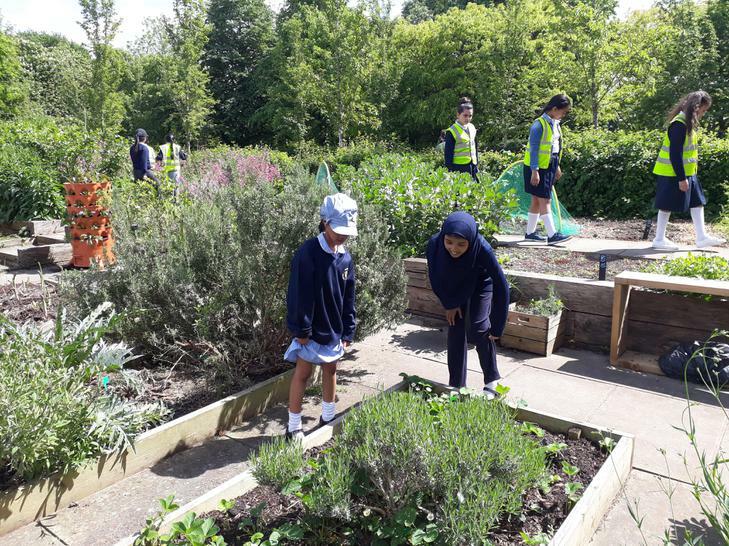 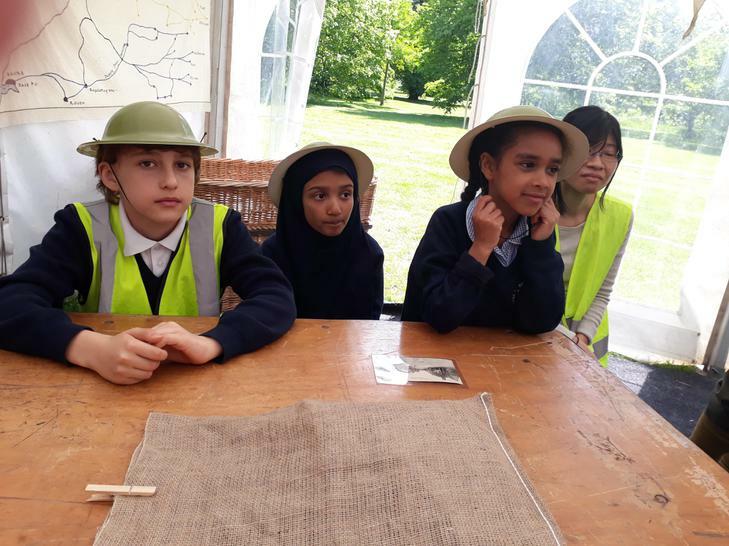 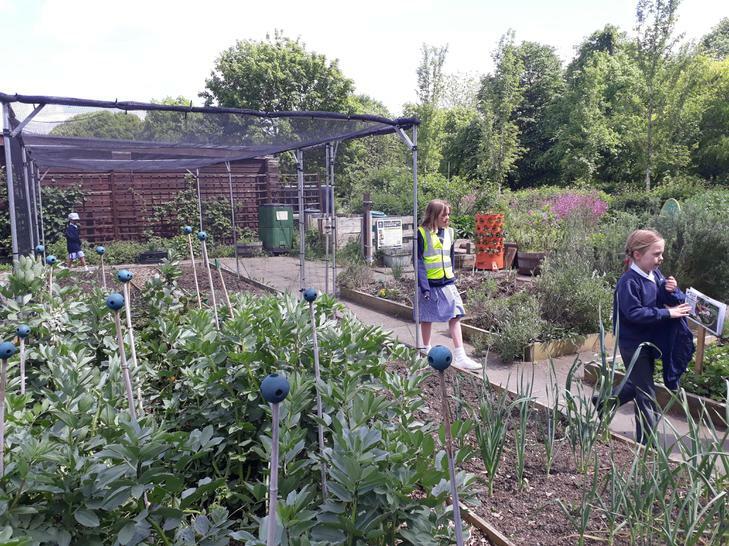 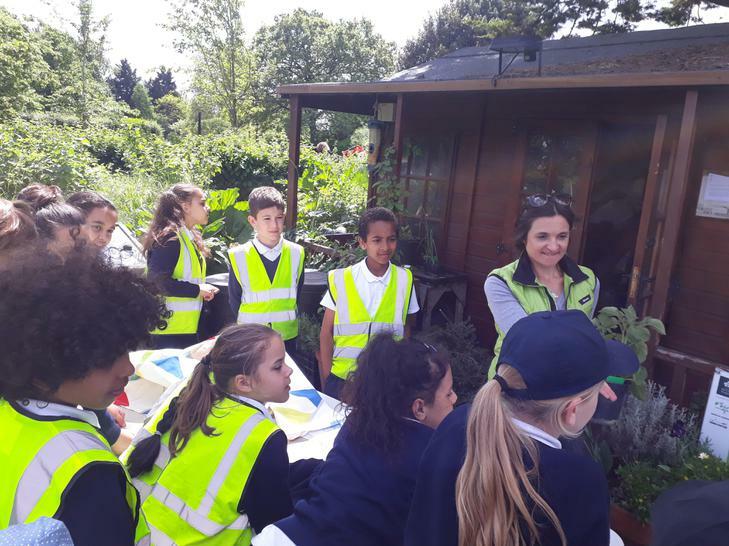 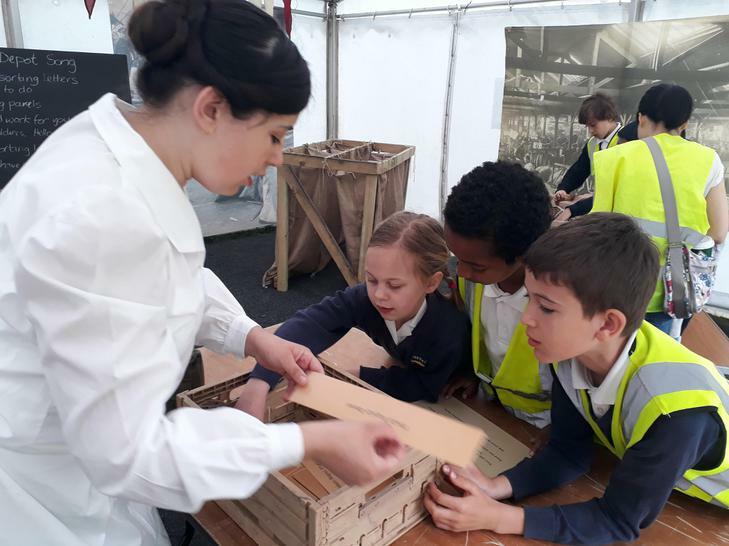 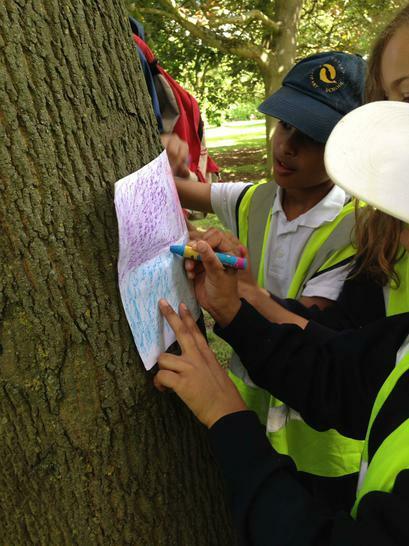 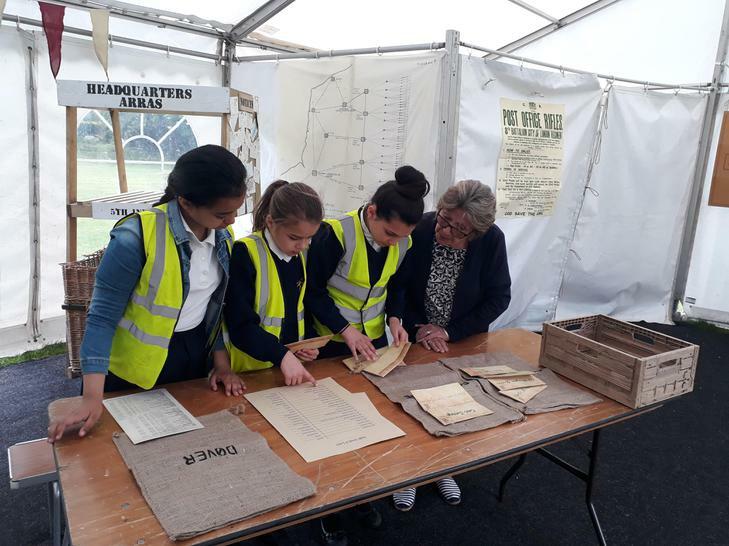 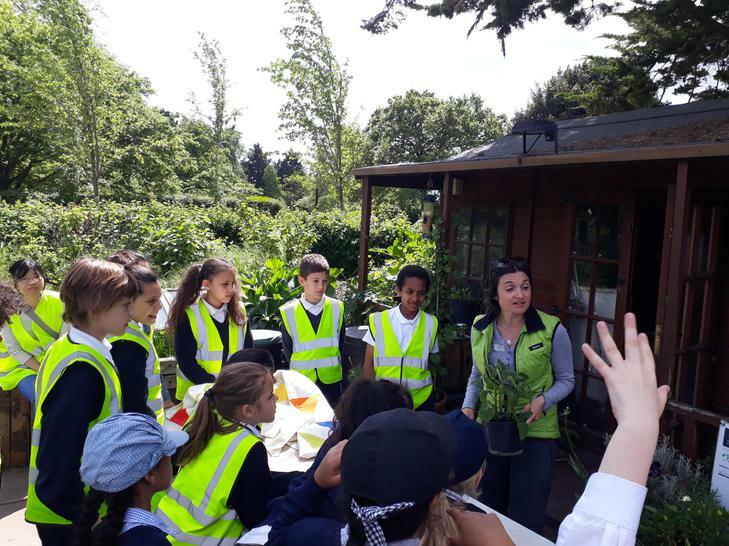 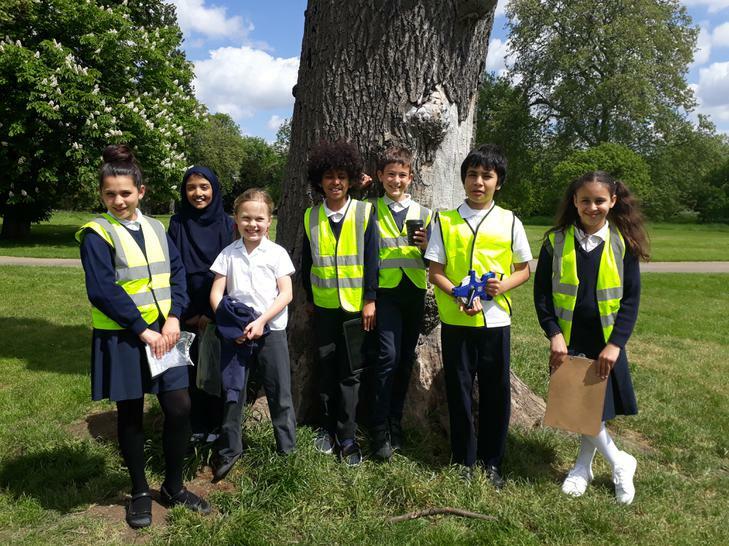 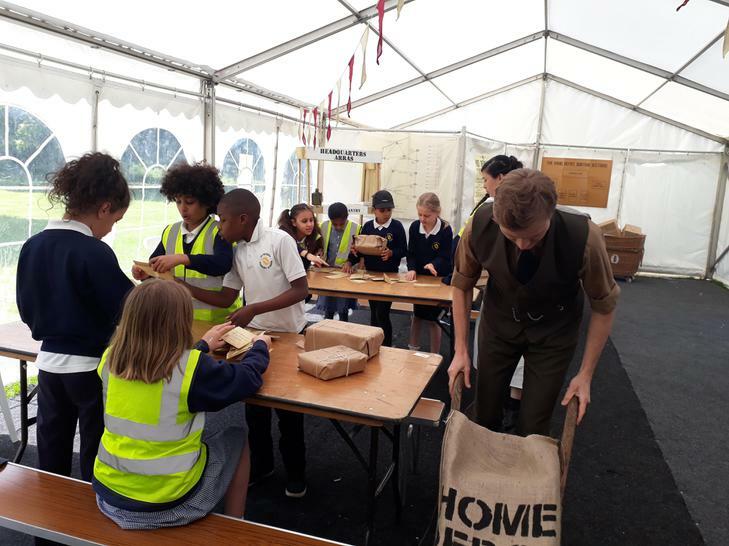 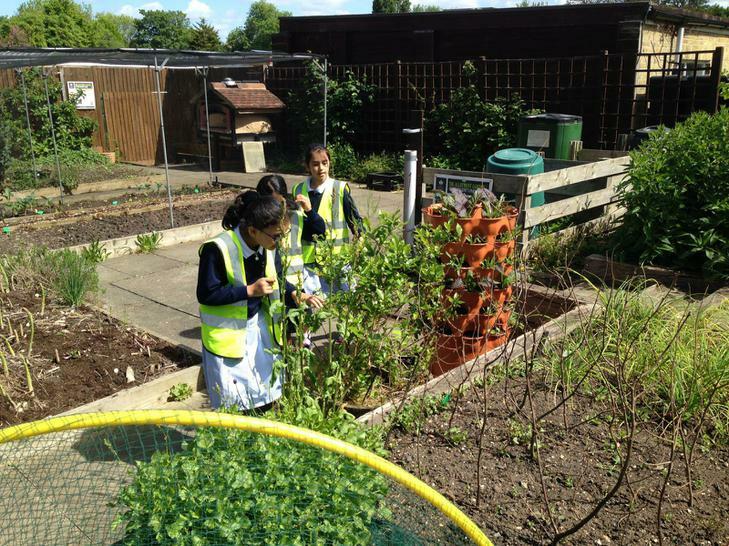 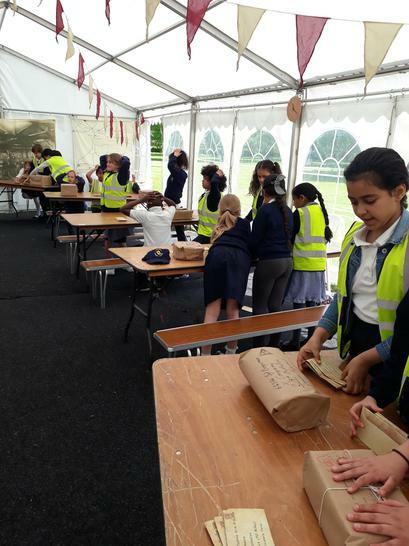 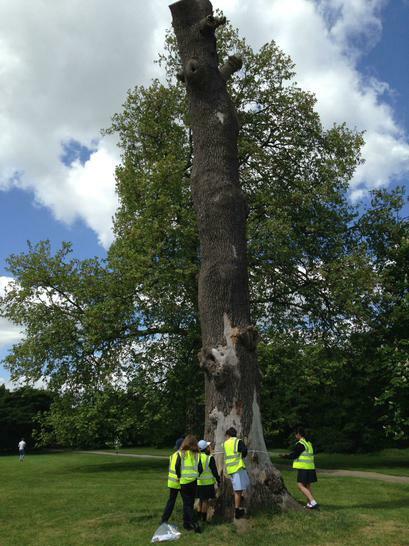 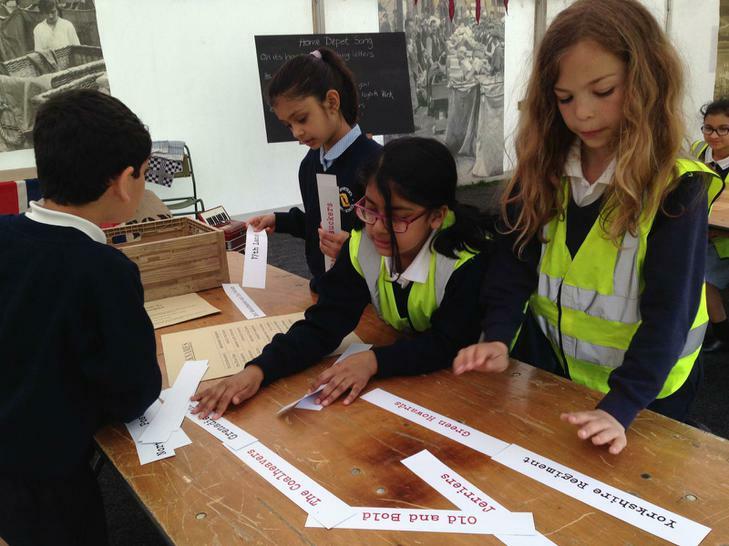 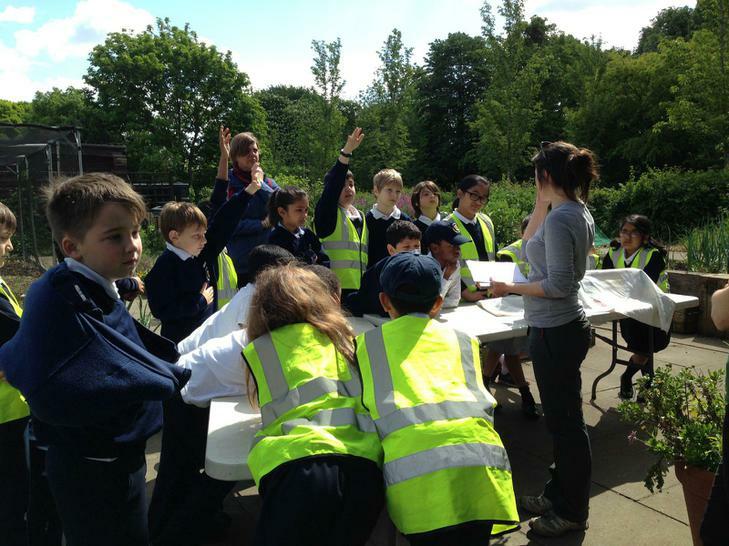 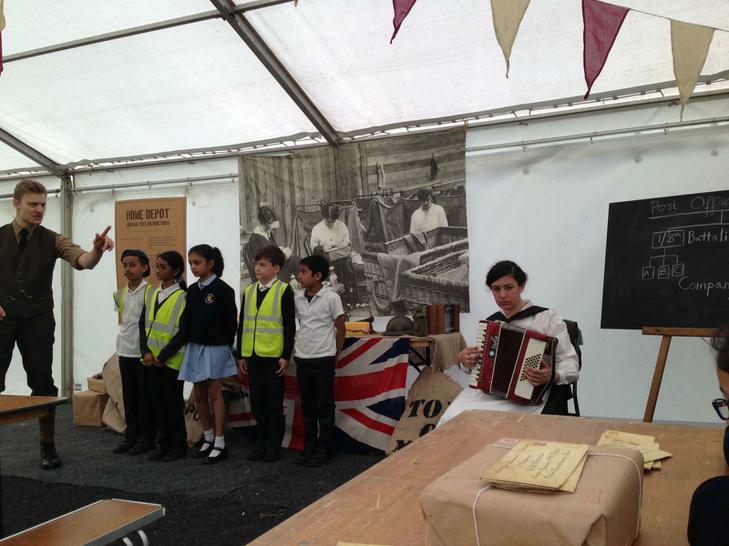 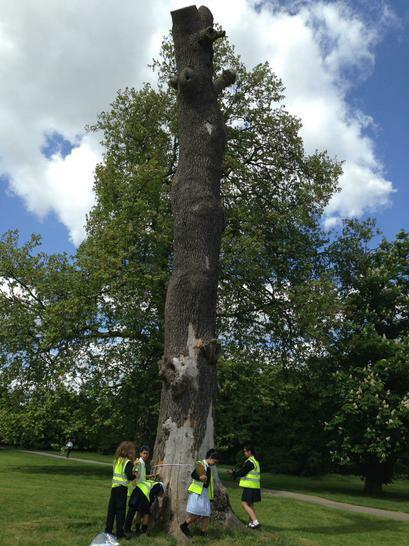 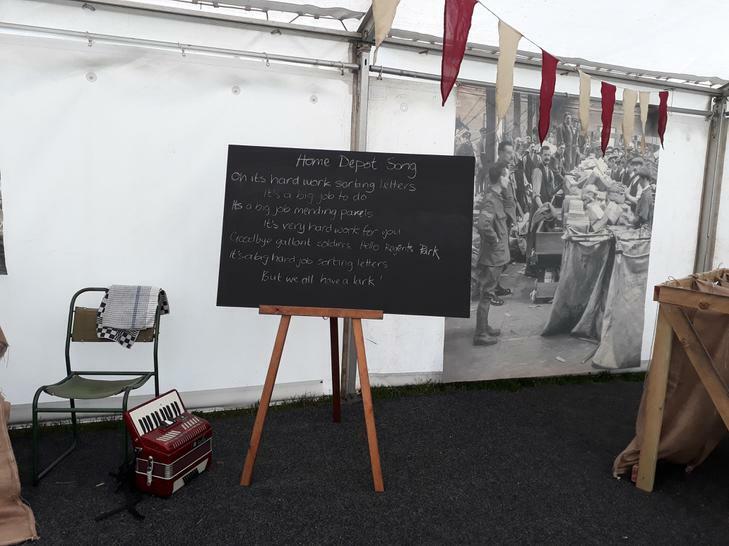 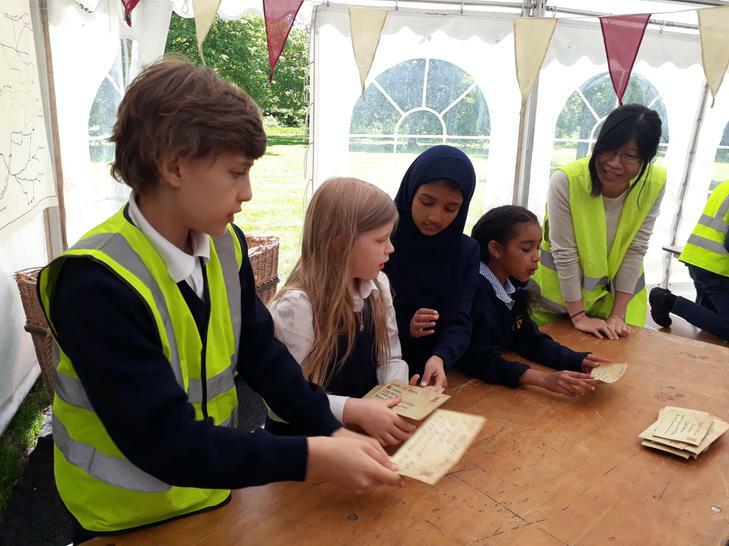 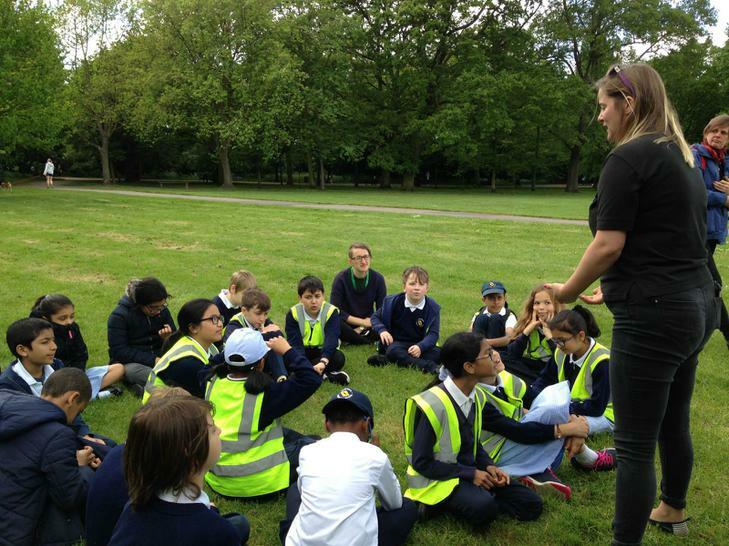 Years 4 and 5 spent a wonderful day at Regents Park on Thursday 10th May where they were given the opportunity to take part in Postcards From the Park's Project with The Postal Museum and The Royal Parks. 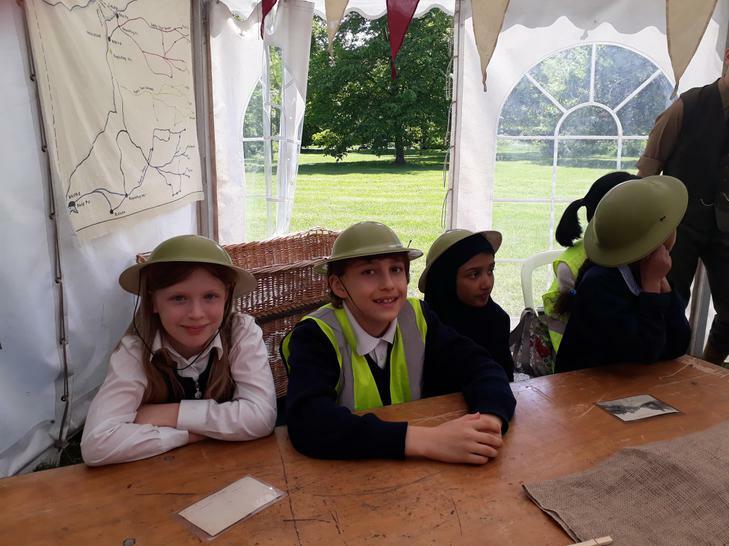 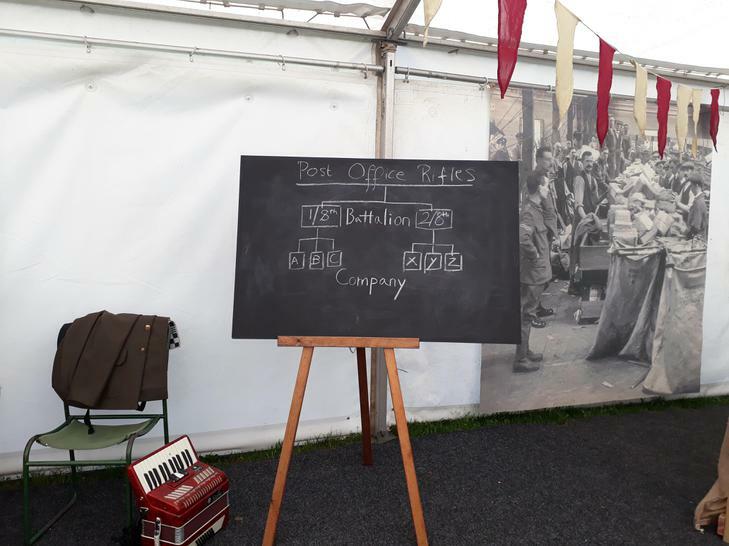 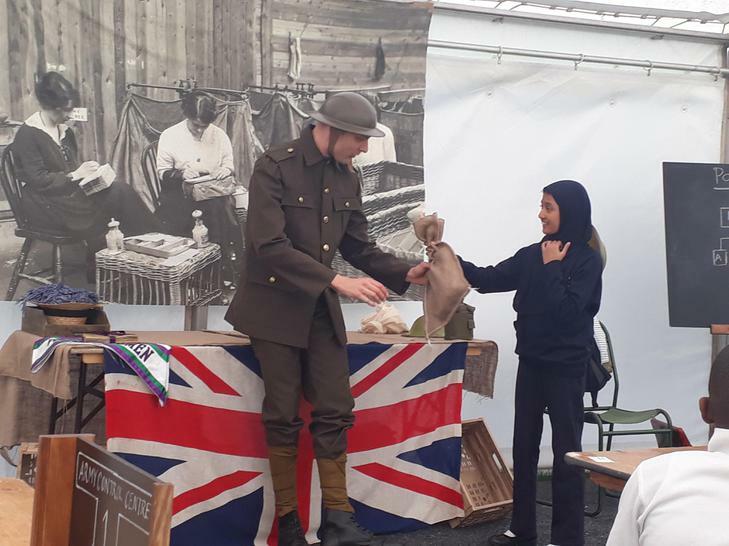 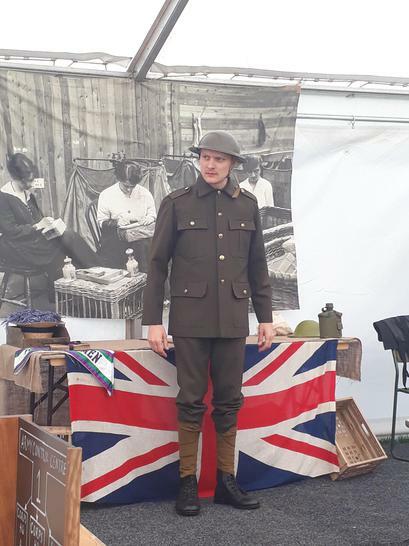 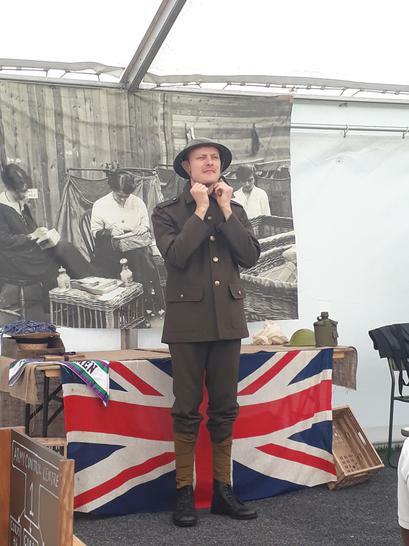 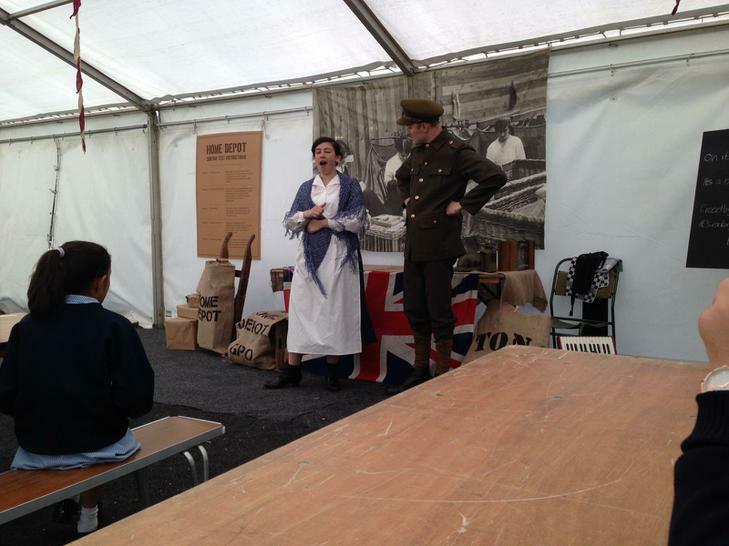 We learned all about the importance of the park during the First World War and the importance and impact this had on soldiers and communities during this era. 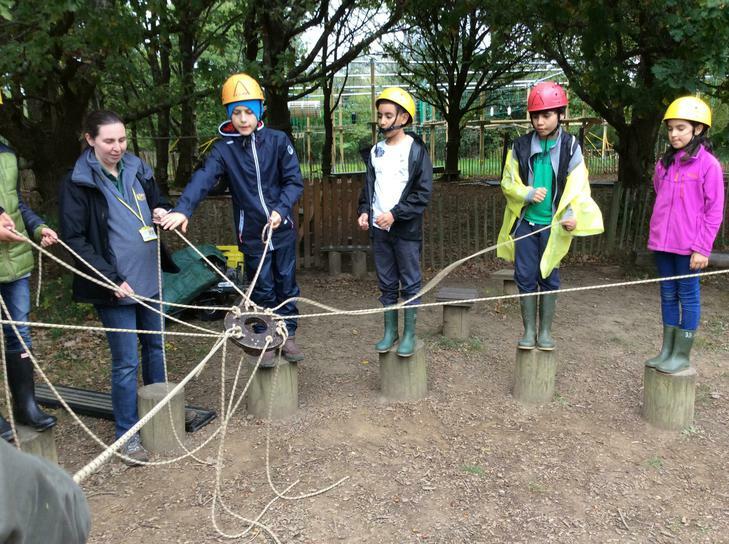 Thank you and Good bye Miss Jones! 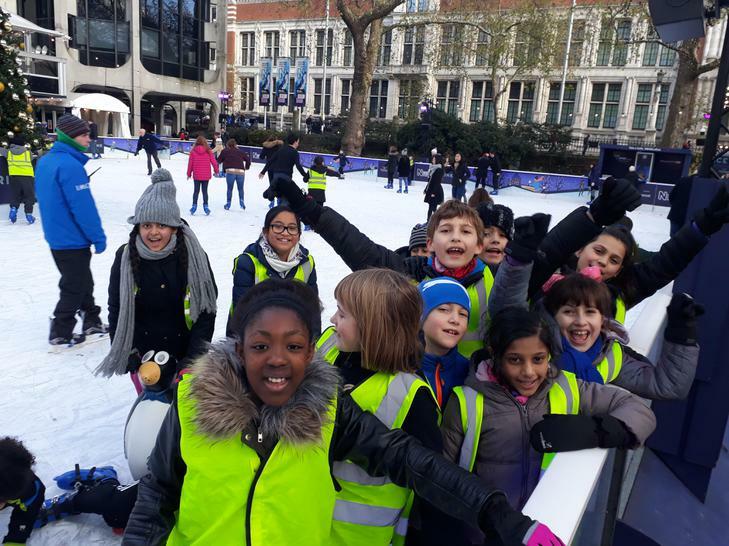 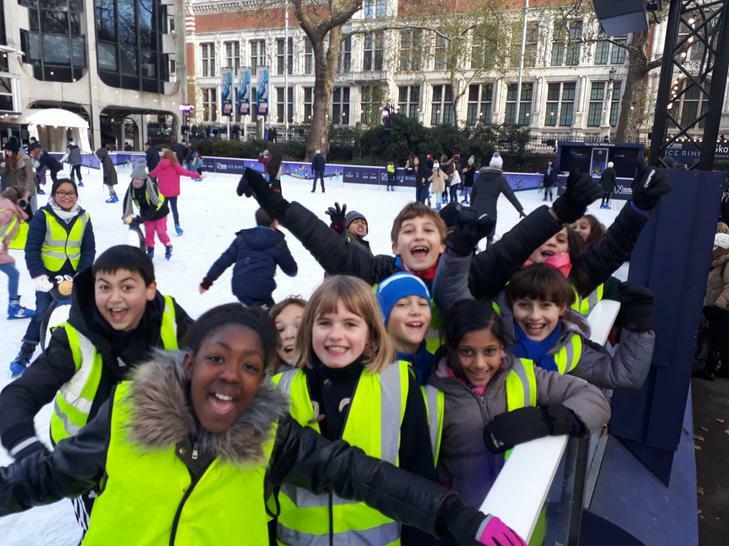 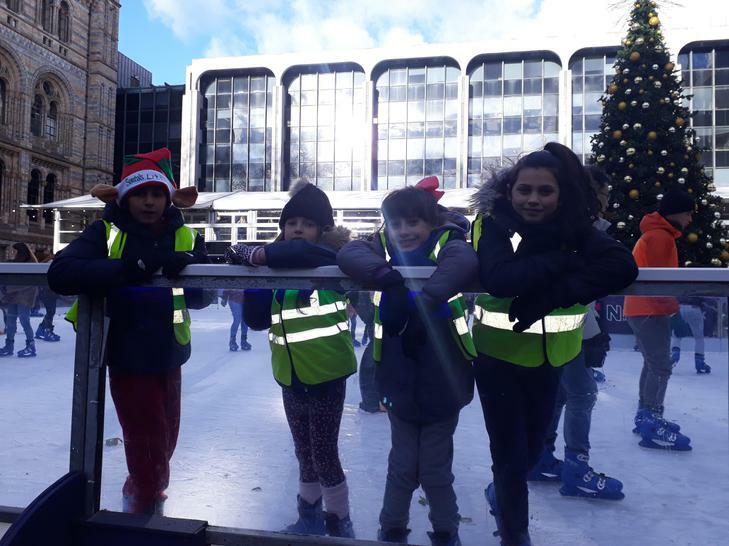 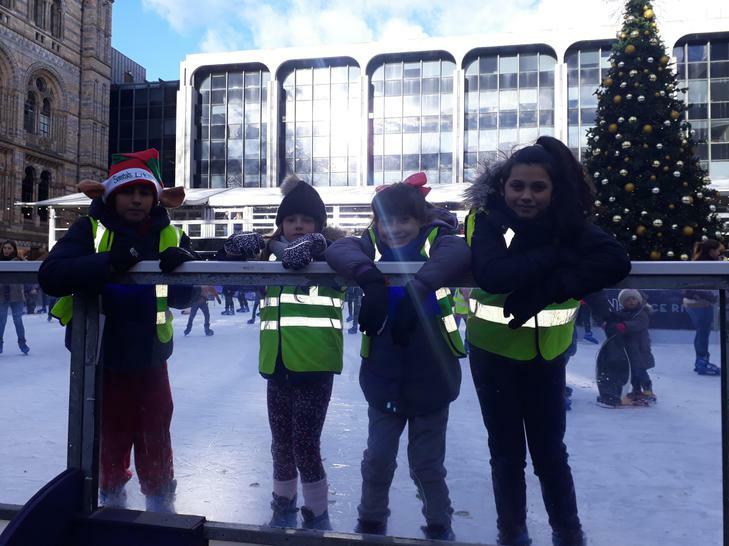 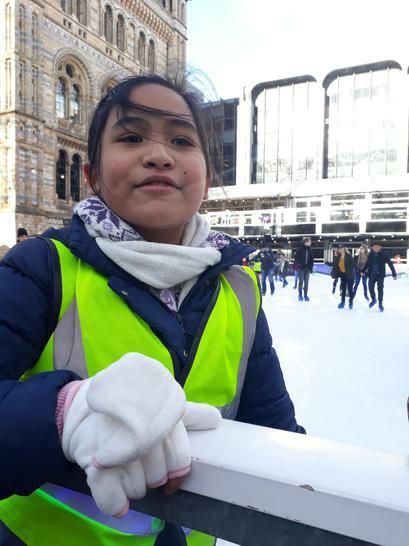 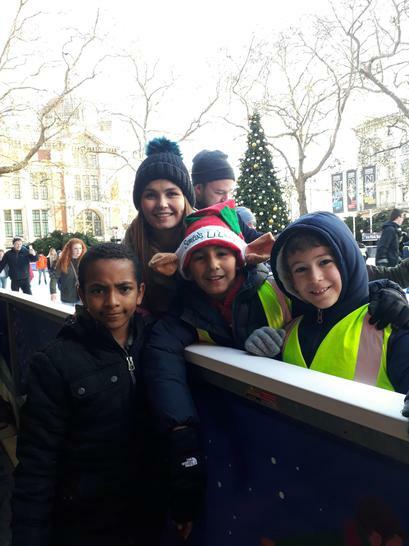 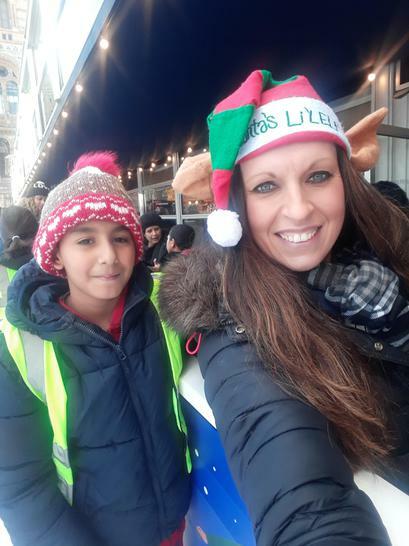 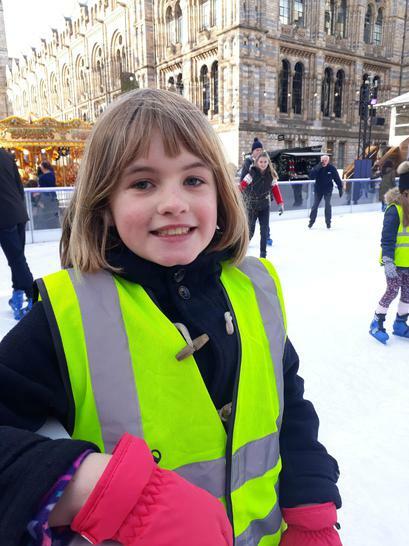 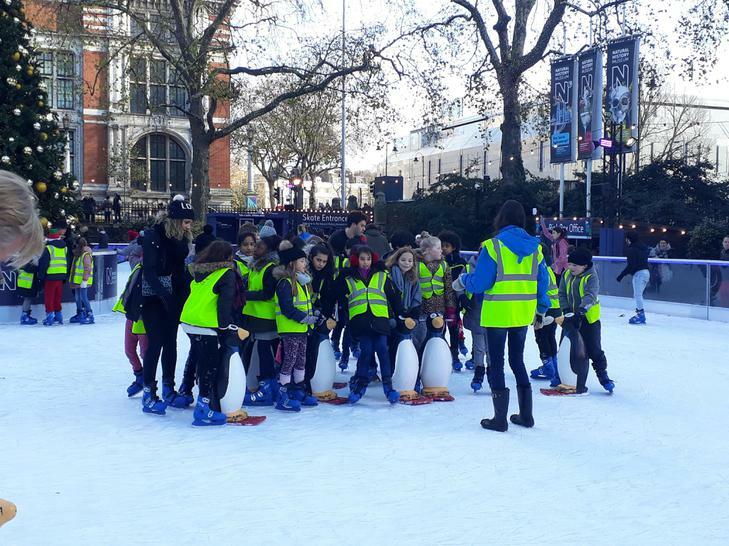 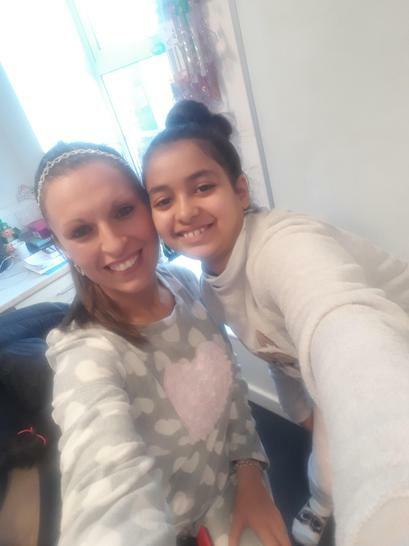 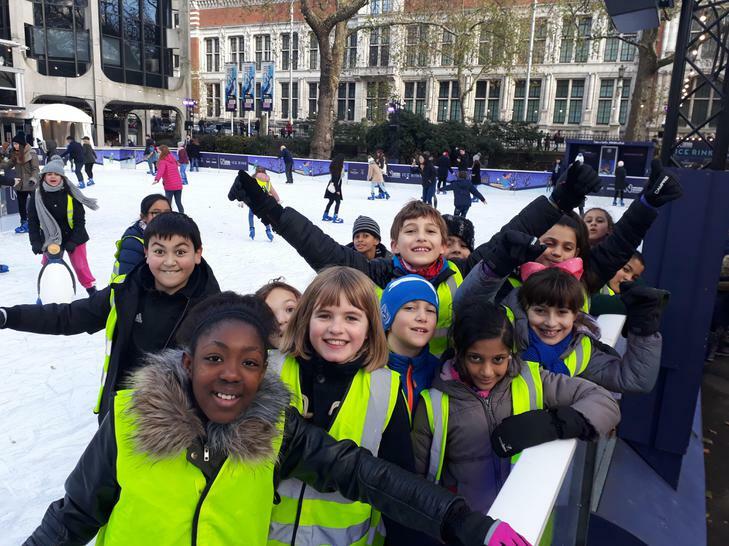 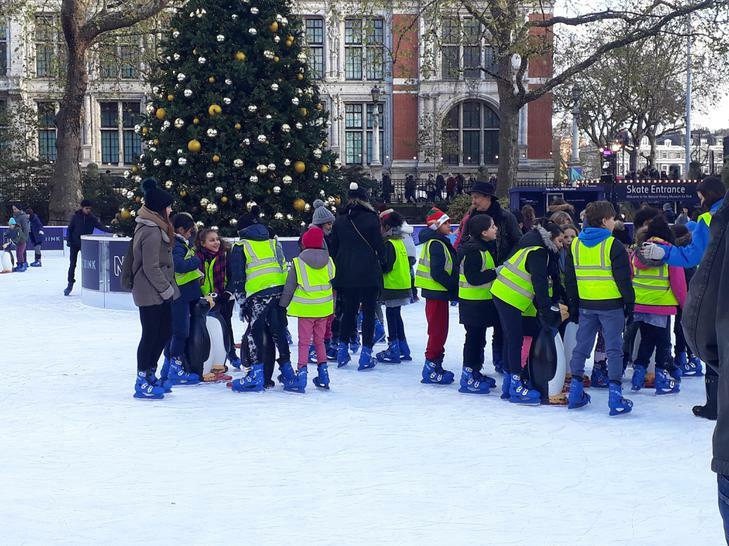 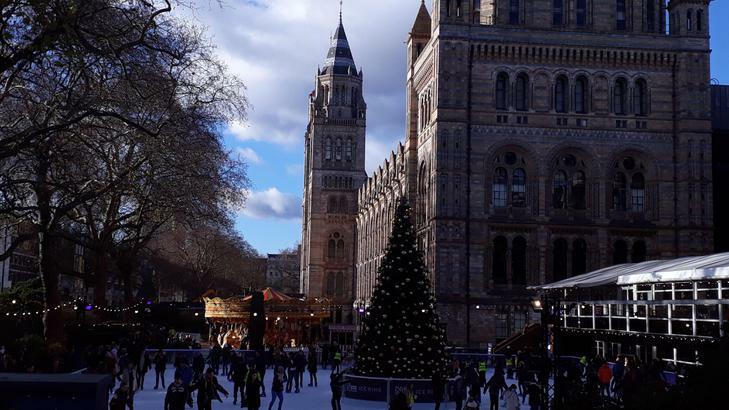 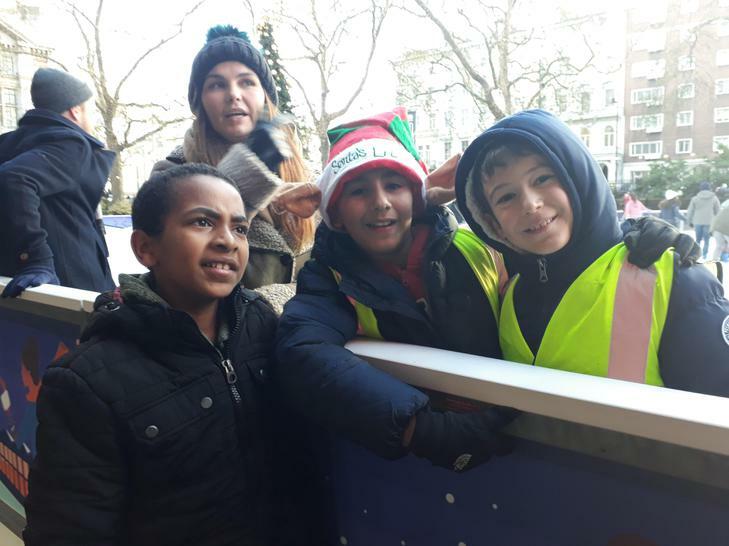 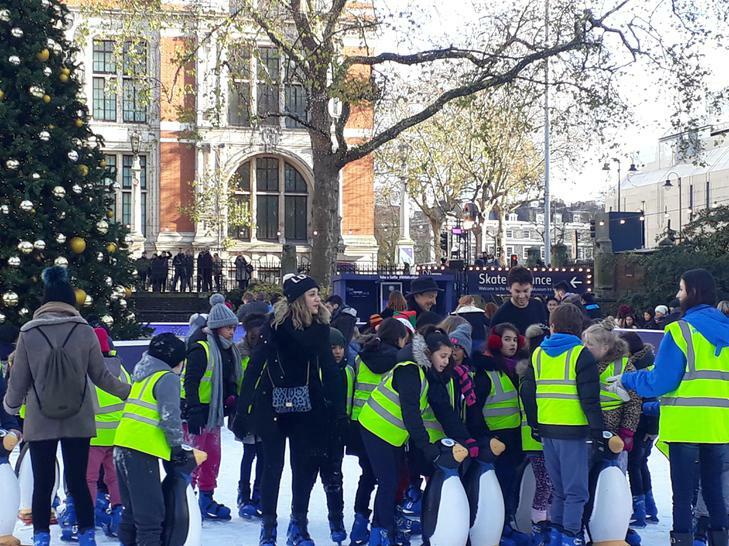 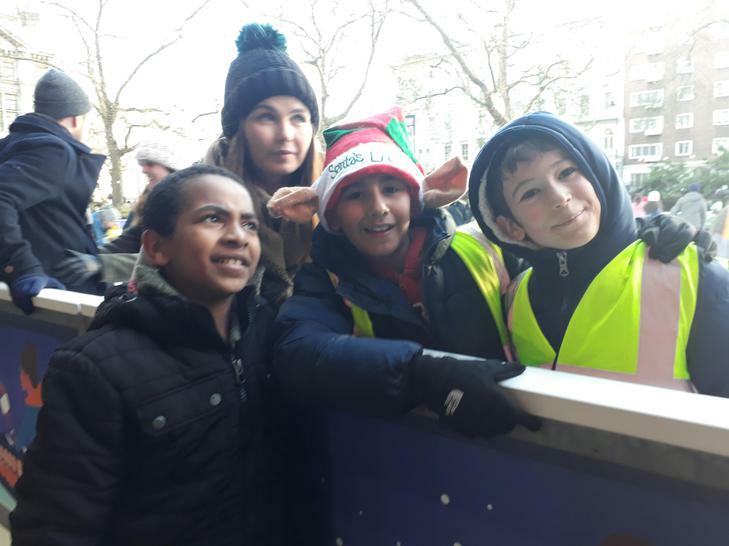 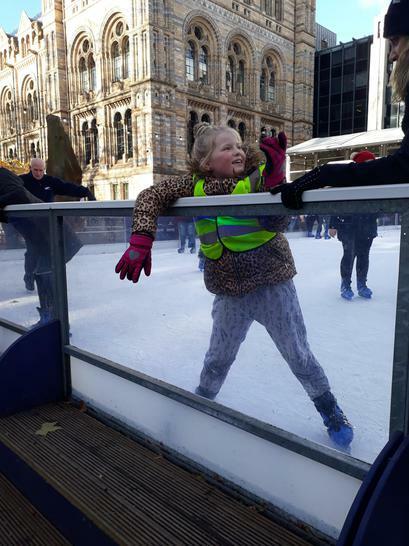 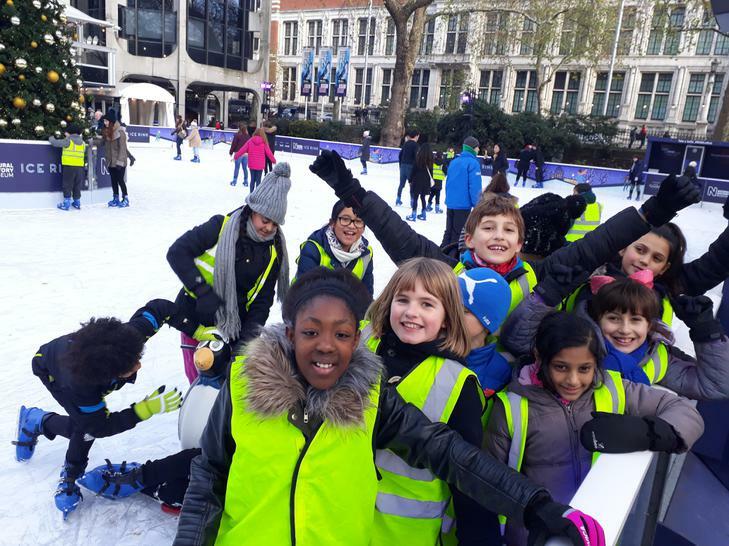 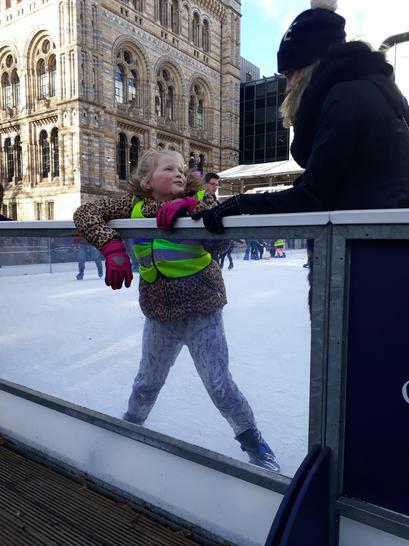 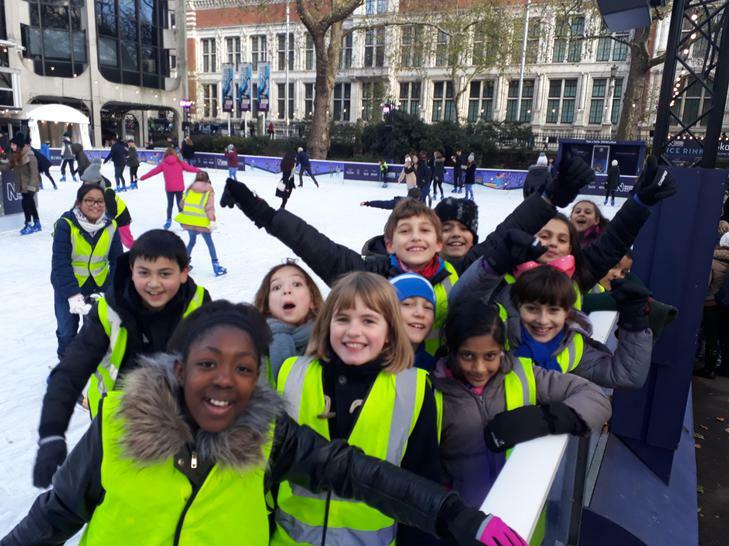 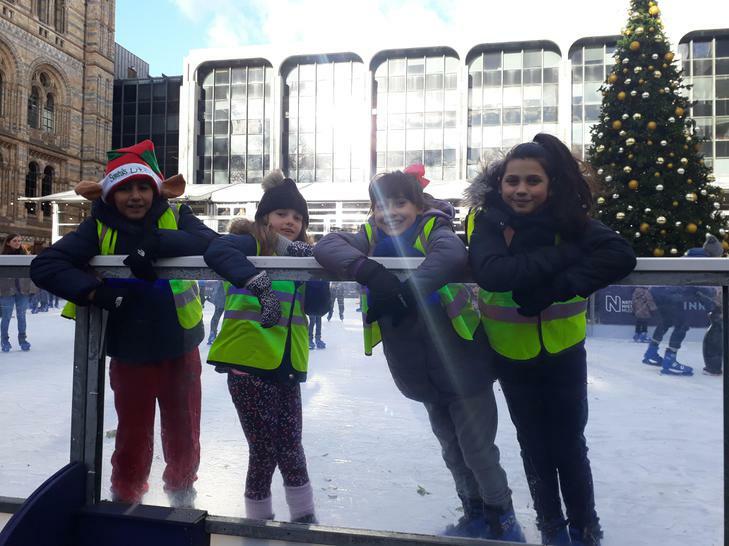 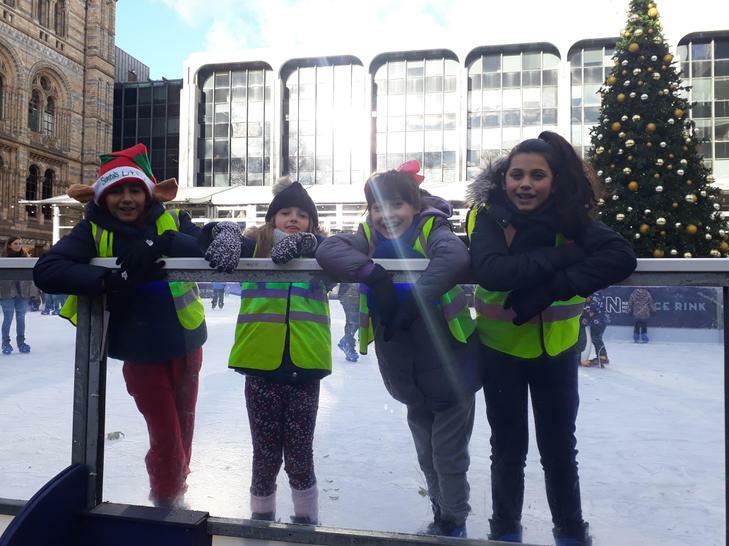 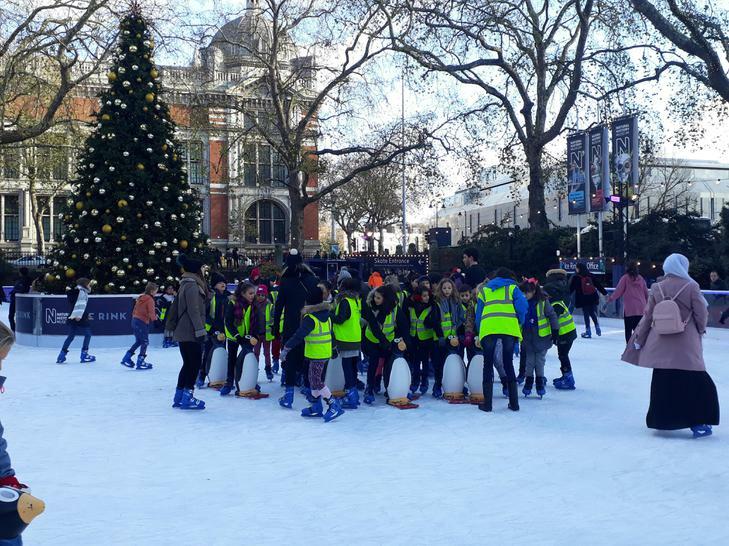 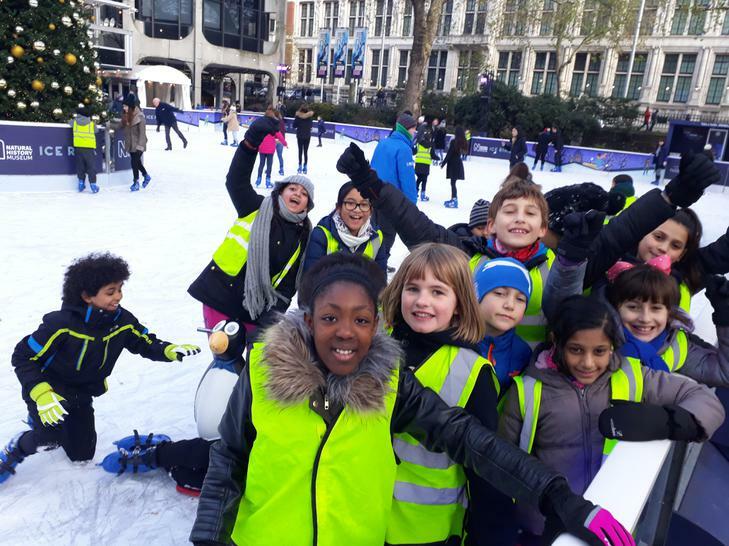 Year 5 went ice skating at the Natural History Museum! 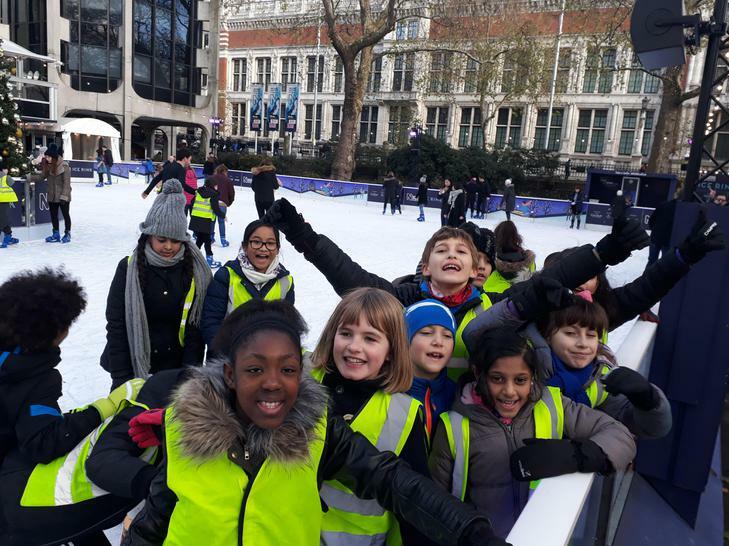 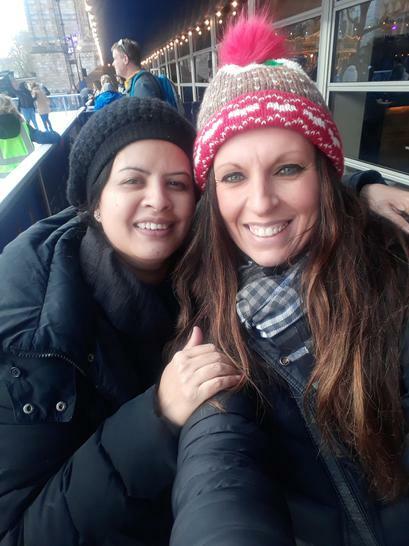 We had a spectacular time on the ice which was soooooooo much fun! 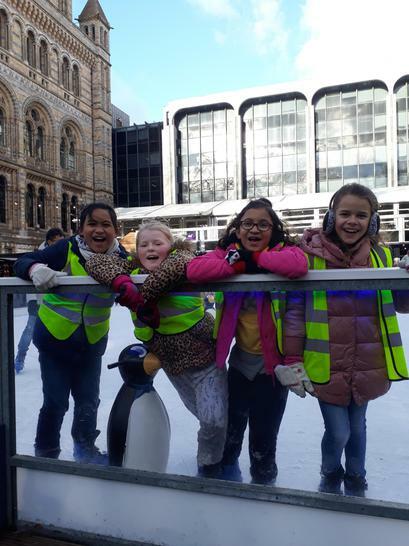 We definitely had our Happy Feet on! 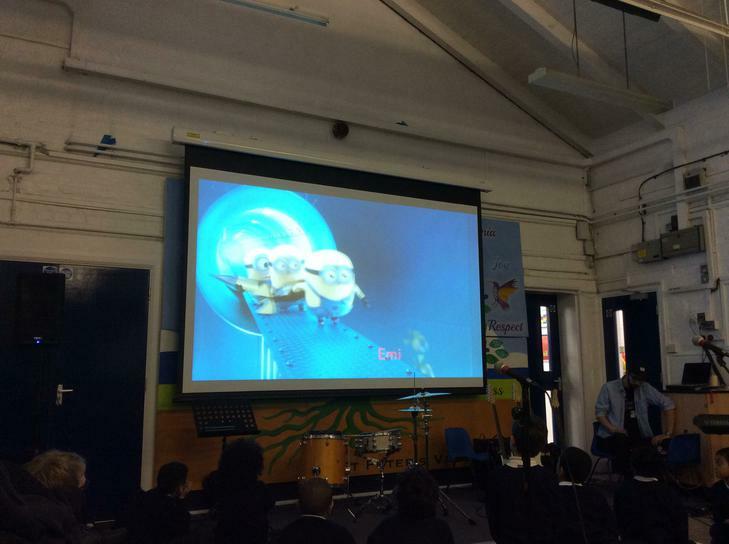 In English we have been learning about the great Antarctic adventures of the famous explorer Ernest Shackleton. 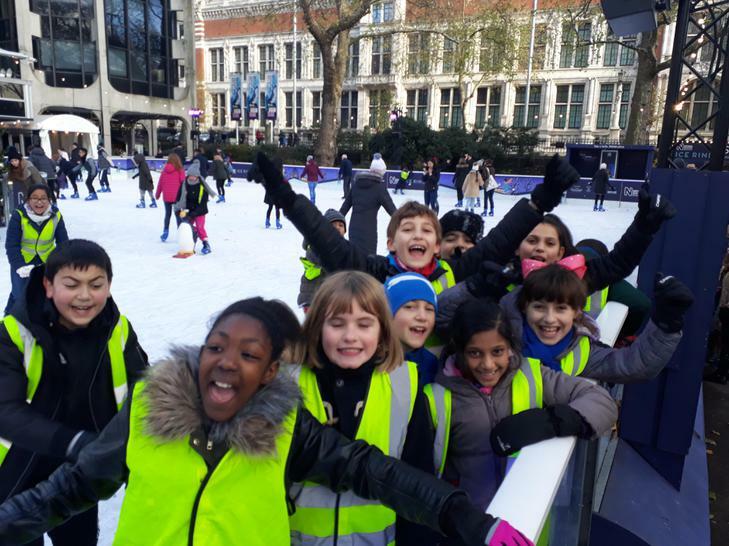 We have been reading the text, Ice Trap! 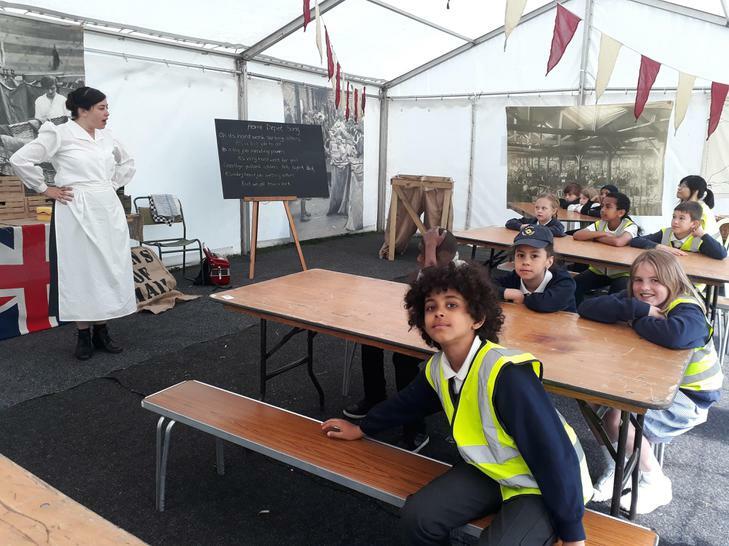 which tells of Shackleton's incredible expedition alongside his crew of strong and resilient men who stood loyal to him until the end! 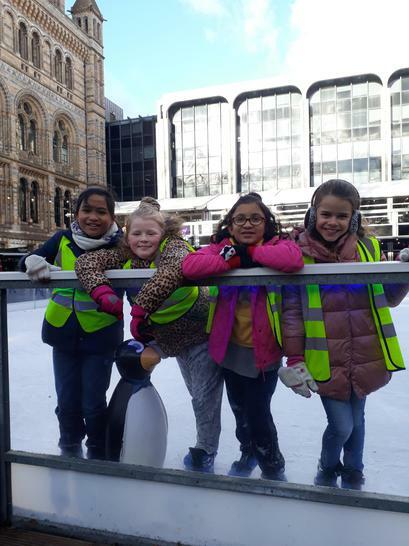 Ernest Shackleton is widely regarded as a shining light for his exceptional leadership in the face of adversity. 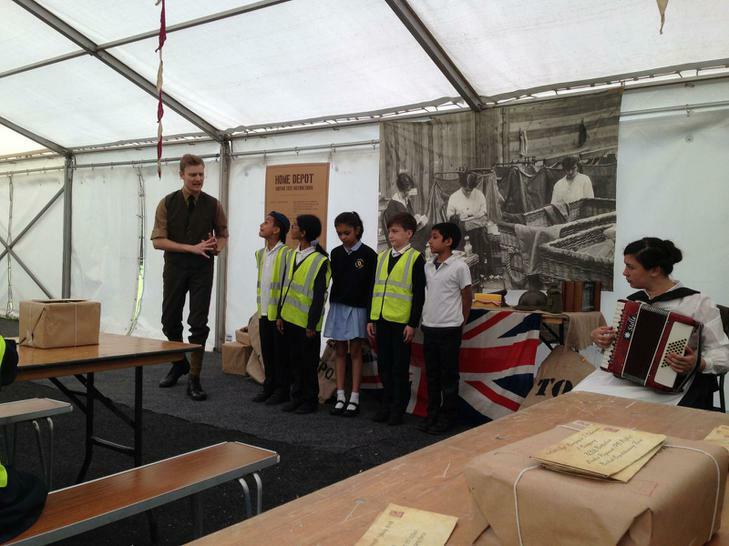 We will place students into the thick of his Imperial Trans-Antarctic Expedition, 1914--17. 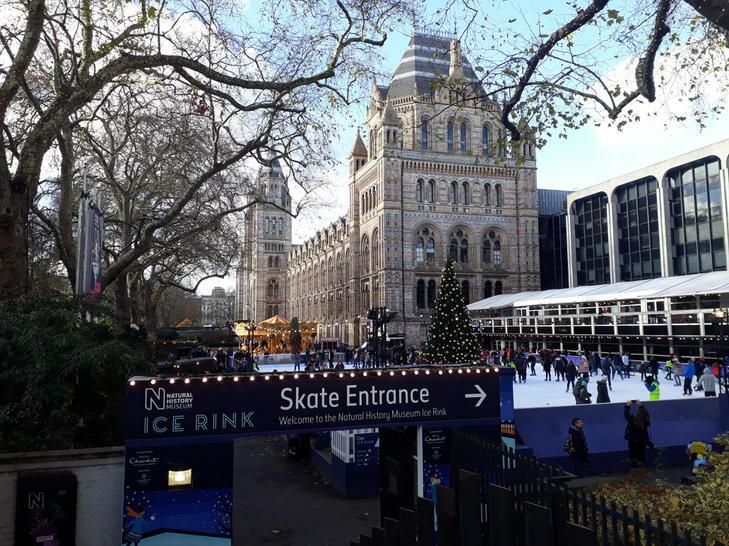 This hangout will feature Professor Chris Turney and will require students to help Shackleton and his crew escape near certain death. 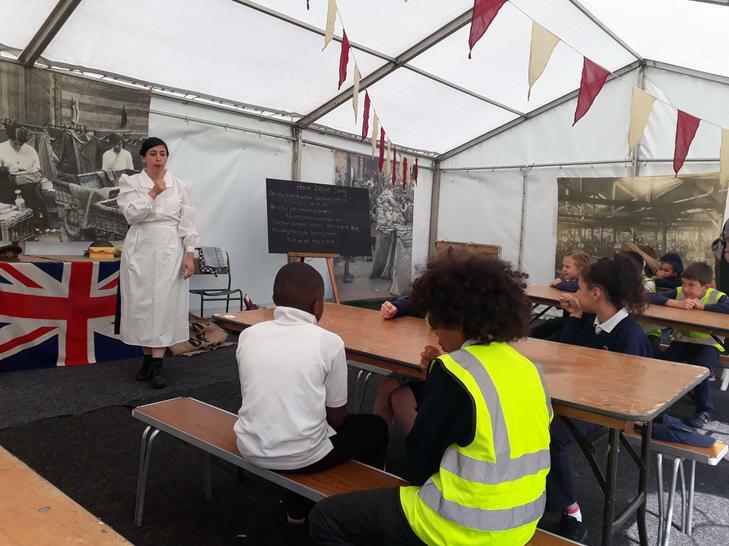 http://www.shackleton100.com A video biography of Sir Ernest Shackleton Sir Ernest Henry Shackleton, CVO, OBE FRGS (/ˈʃækəltən/; 15 February 1874 - 5 January 1922) was a polar explorer who led three British expeditions to the Antarctic, and one of the principal figures of the period known as the Heroic Age of Antarctic Exploration. 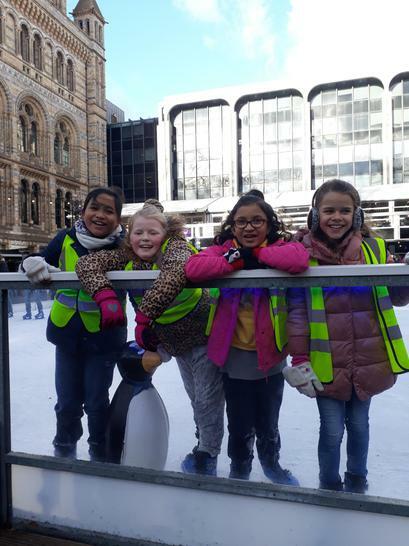 For many Ernest Shackleton is the epitome of a courageous, resolute and determined adventurer, showing tenacity in the harshest of conditions. 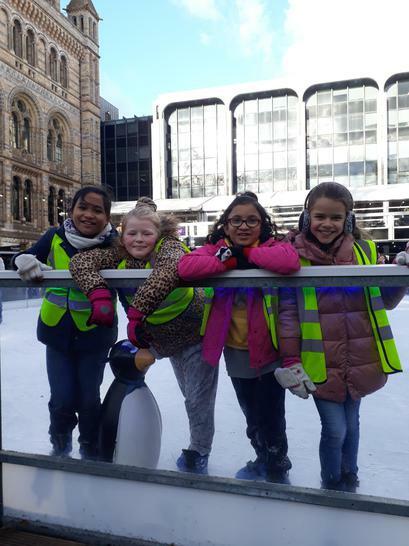 Like many explorers, Shackleton was drawn to the barren wastelands of the Antarctic, and to the honours, fame and fortune that would come from being the first person to reach the South Pole. 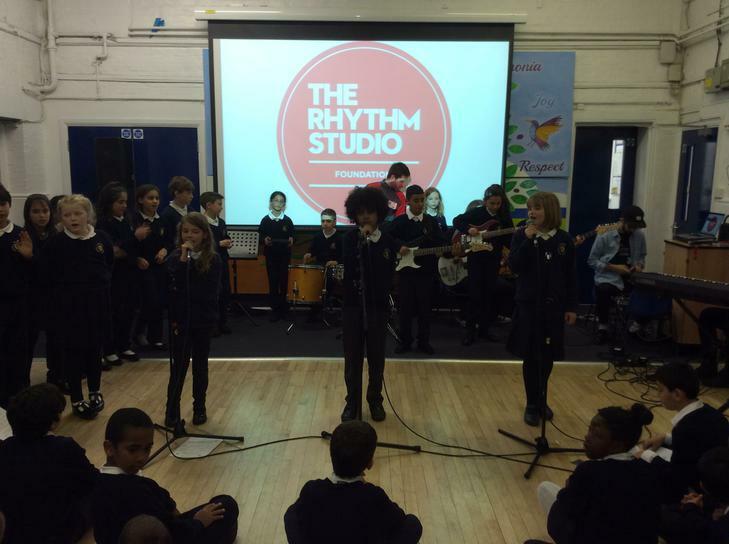 We have teamed up with Rhythm Studios, a rock and pop music academy. 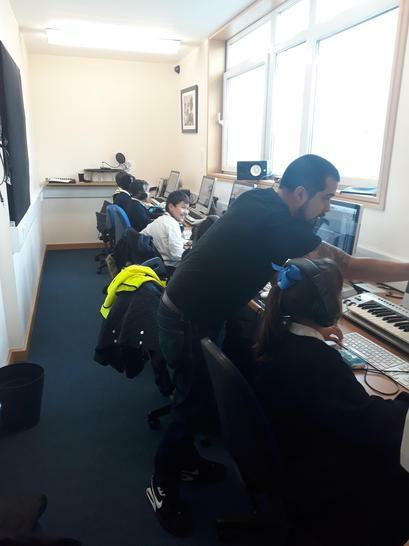 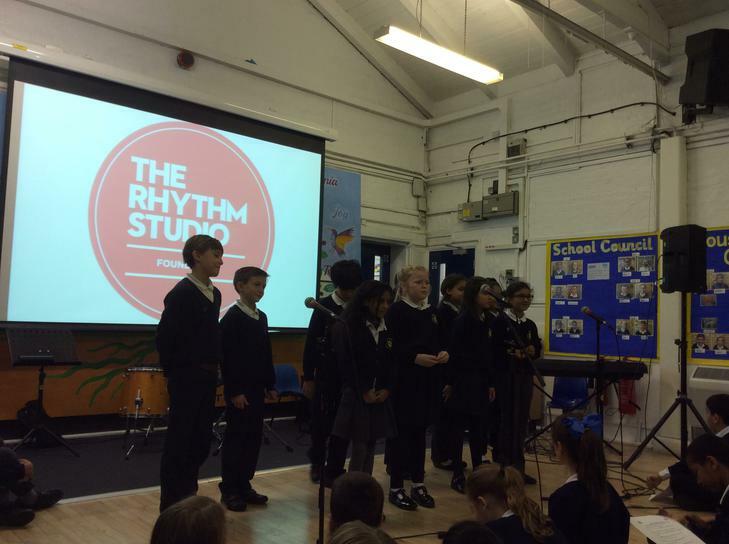 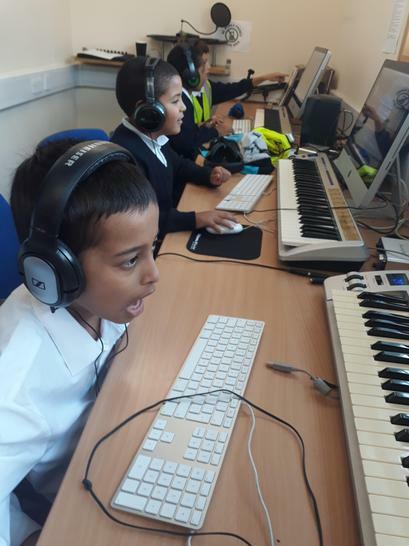 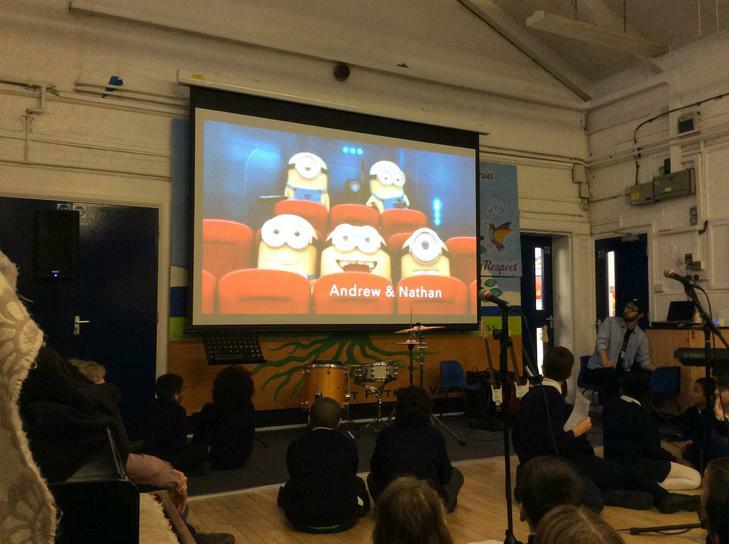 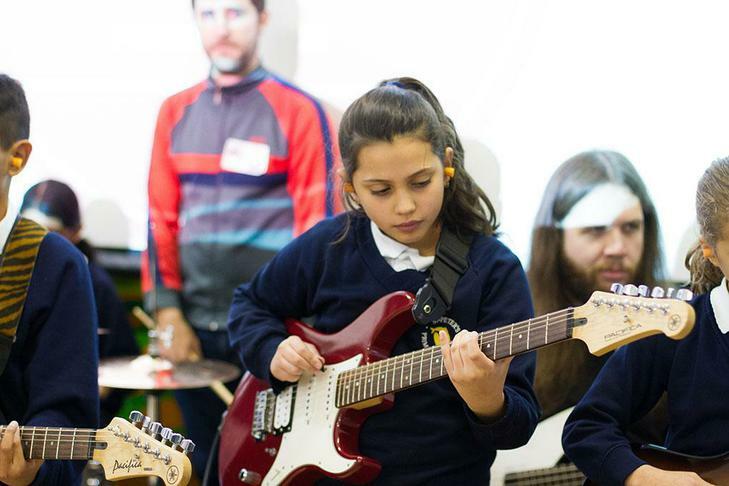 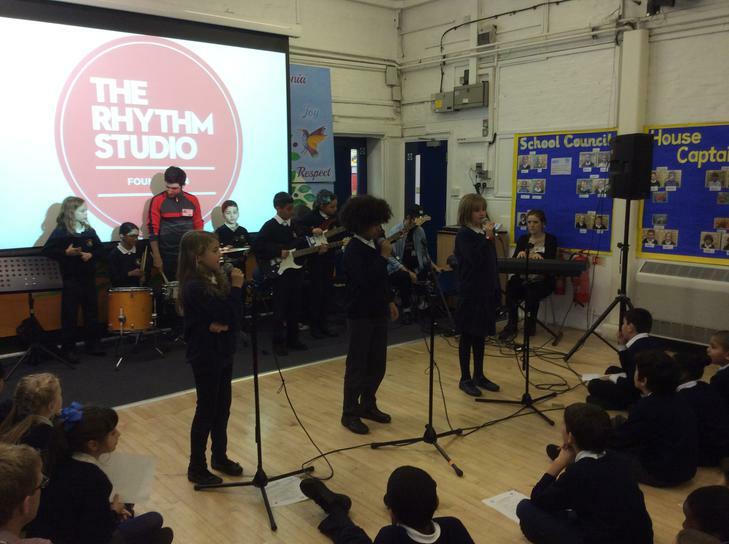 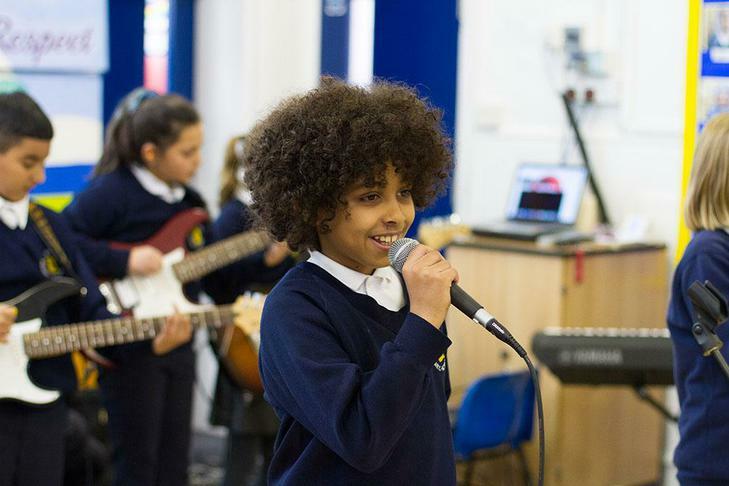 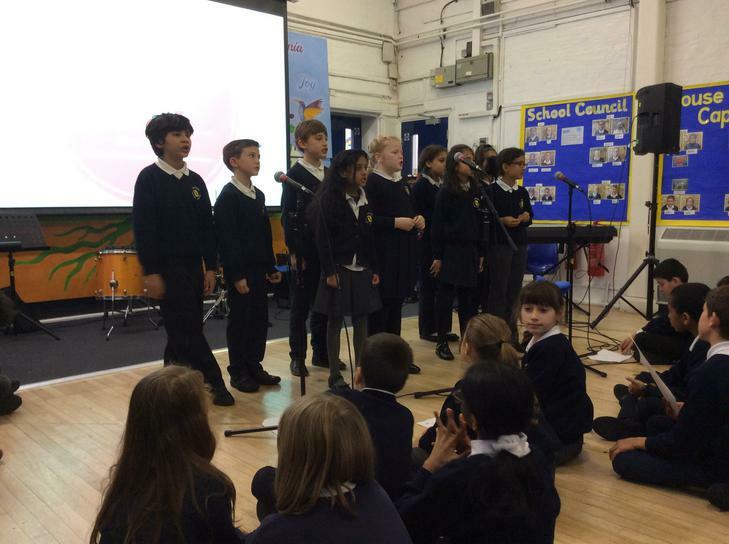 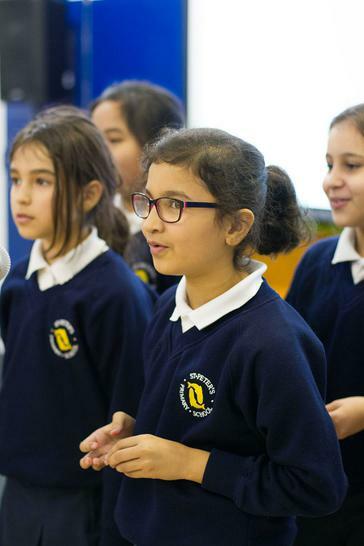 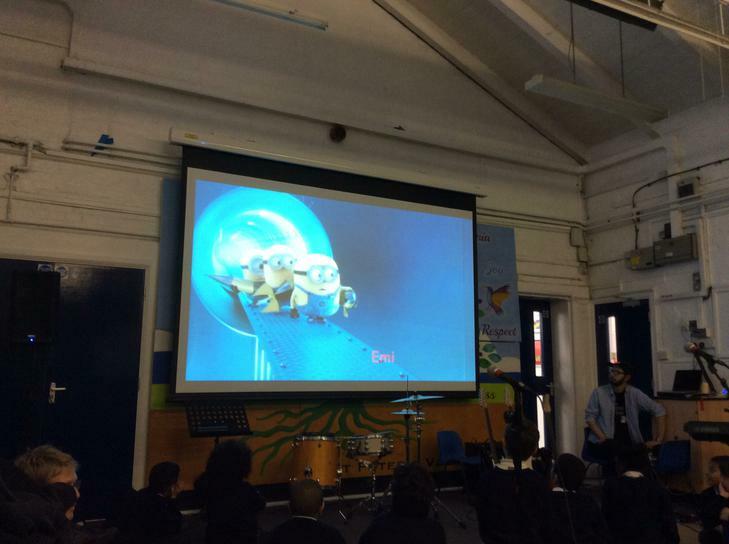 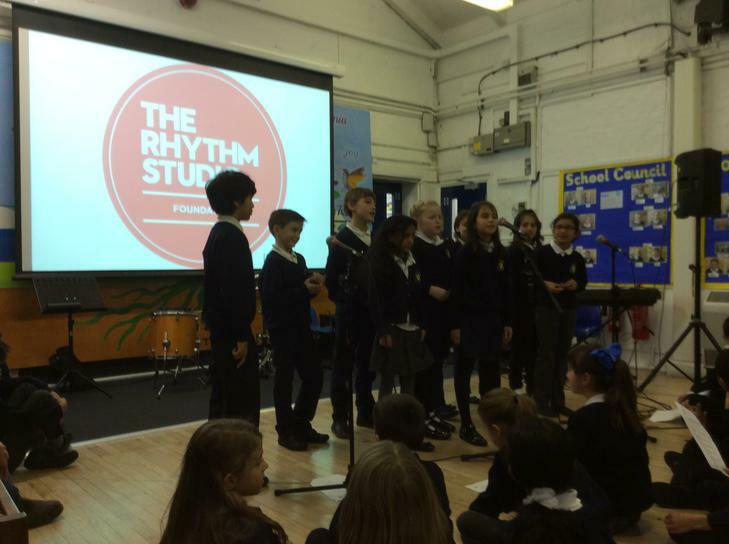 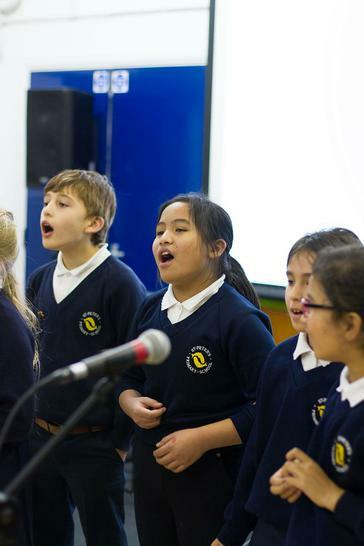 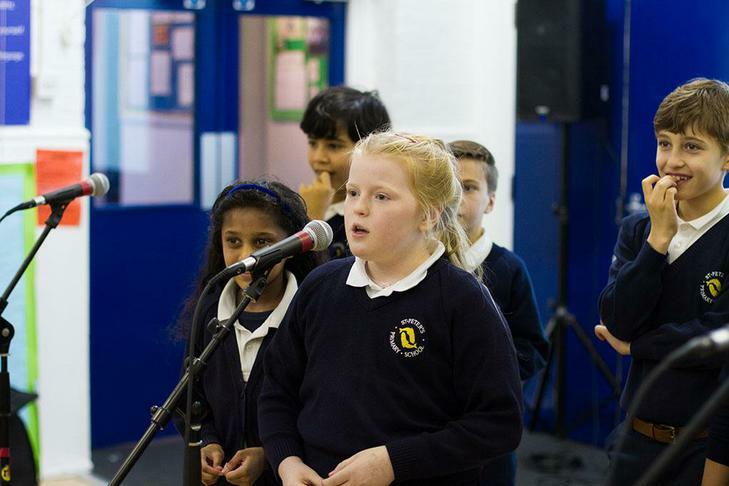 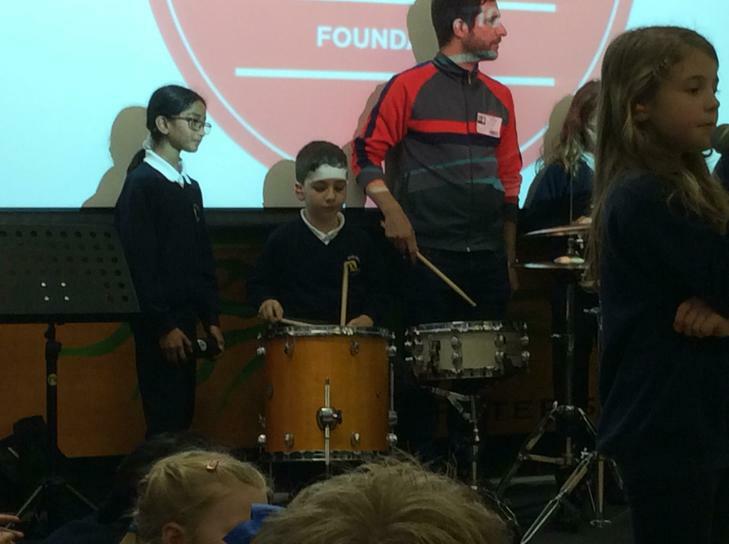 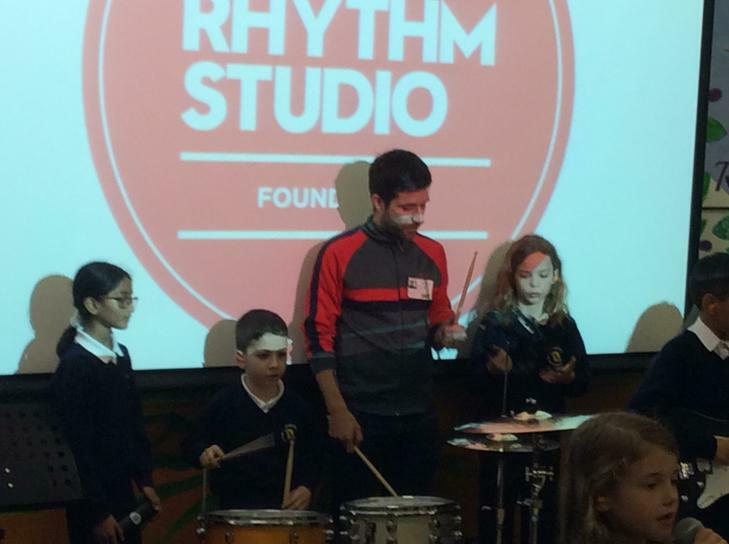 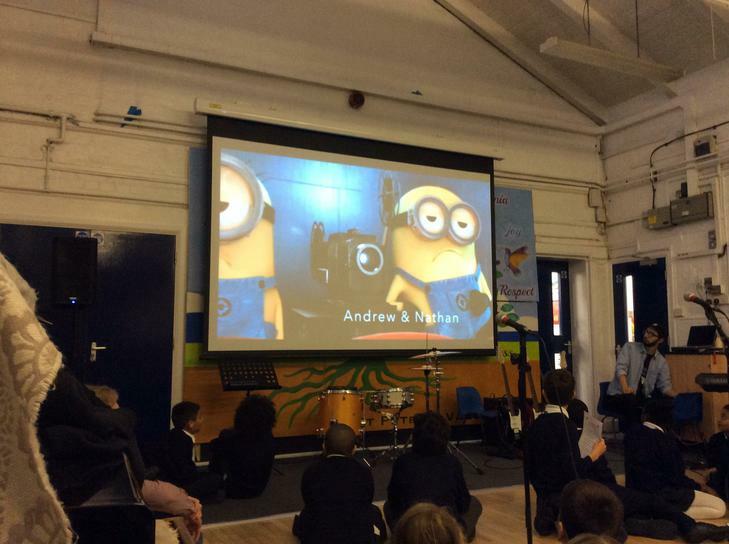 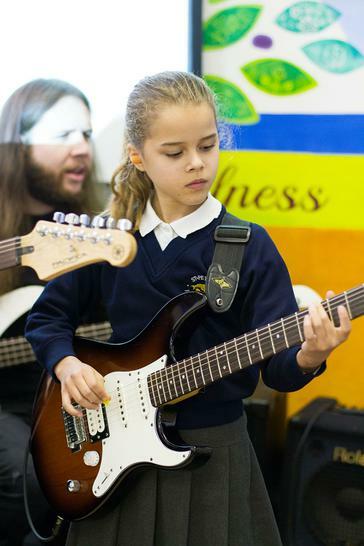 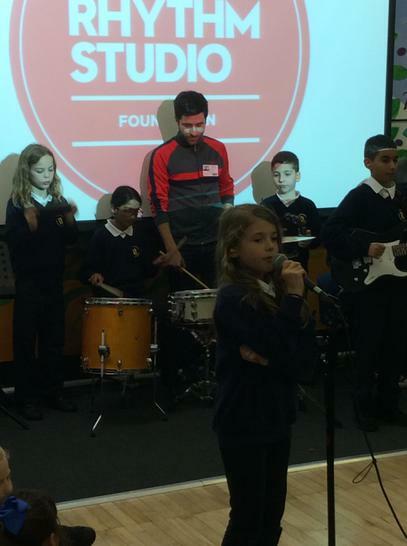 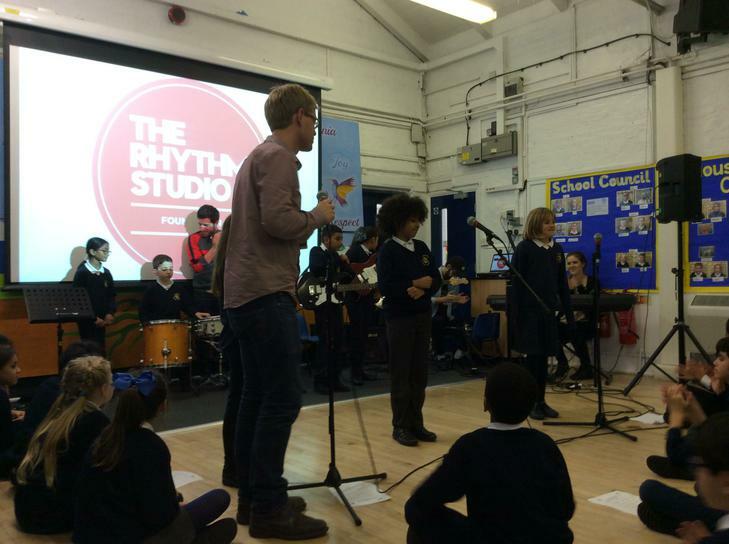 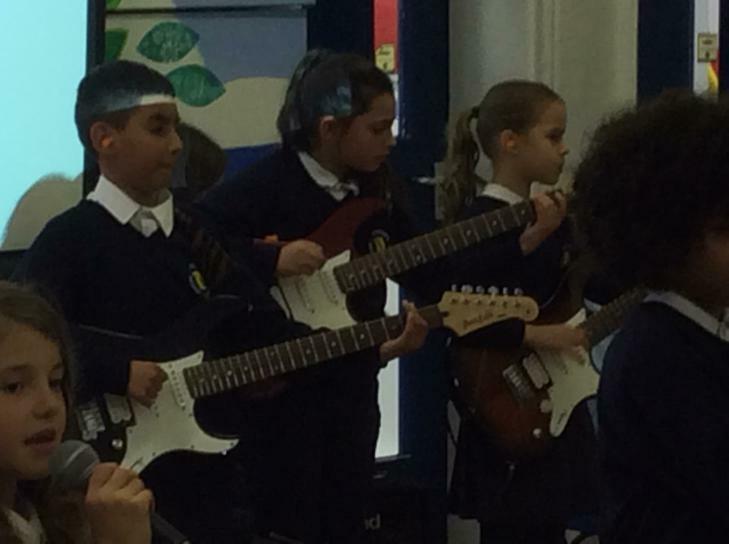 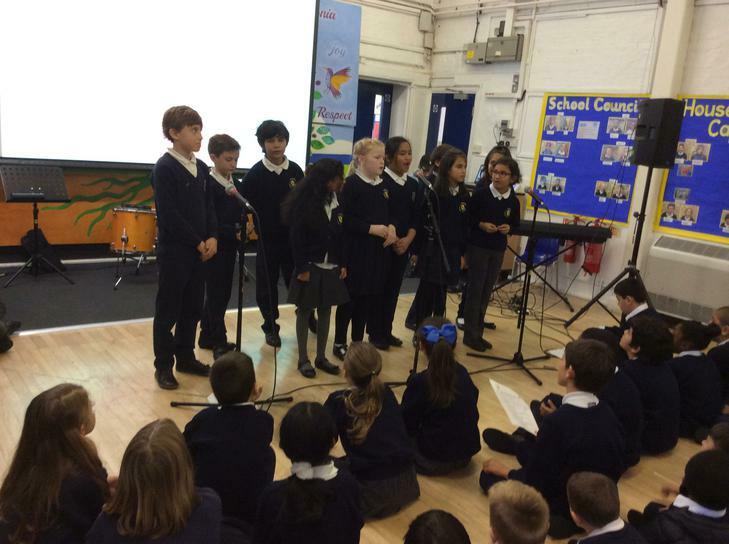 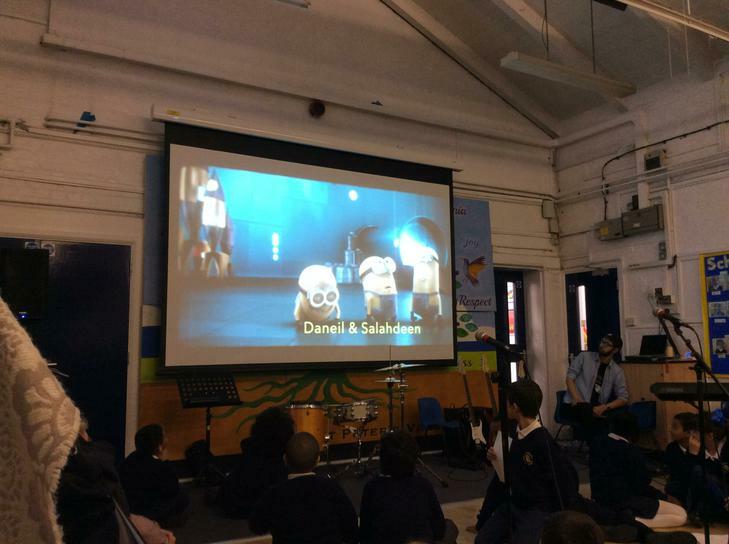 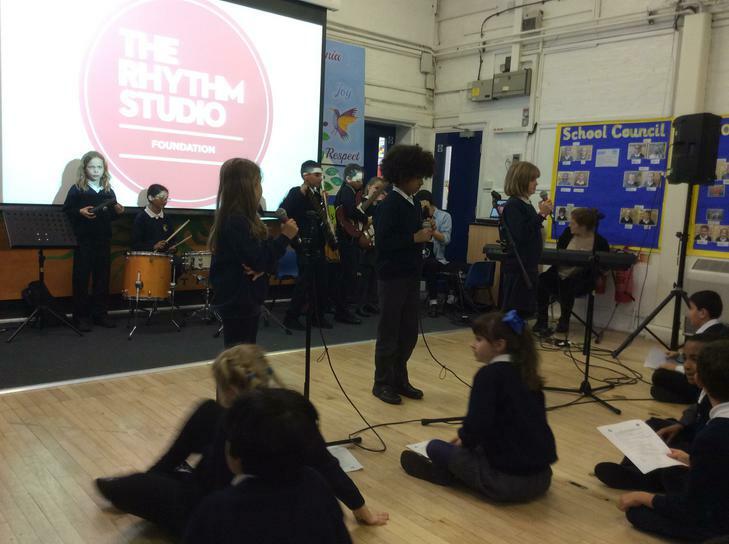 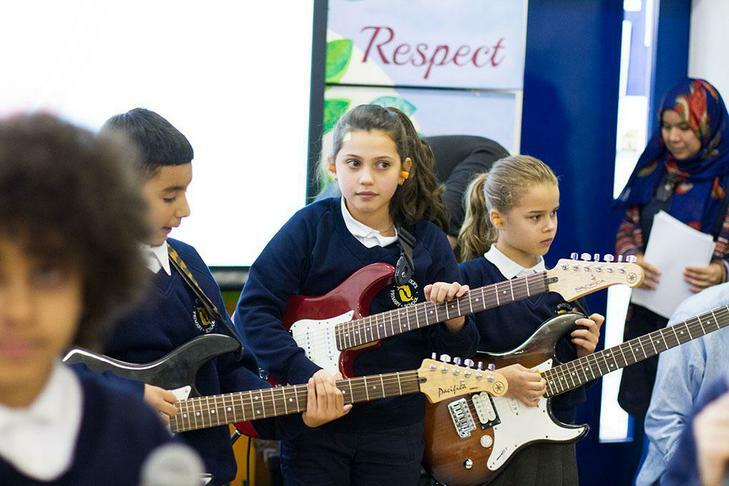 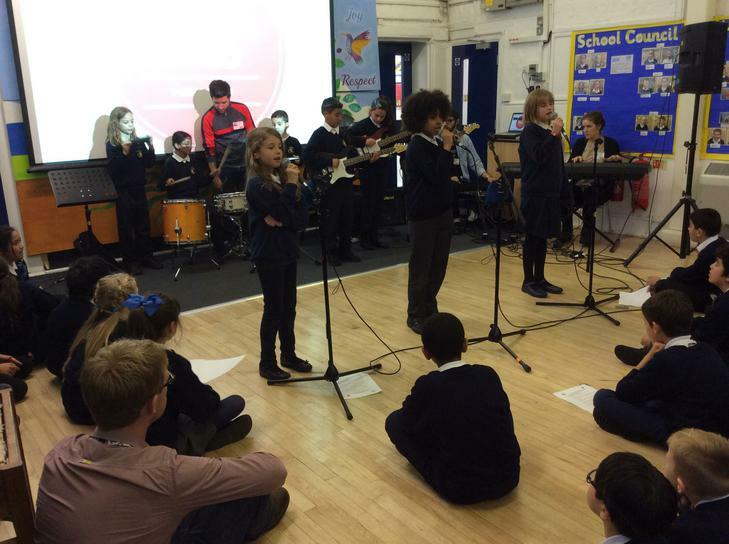 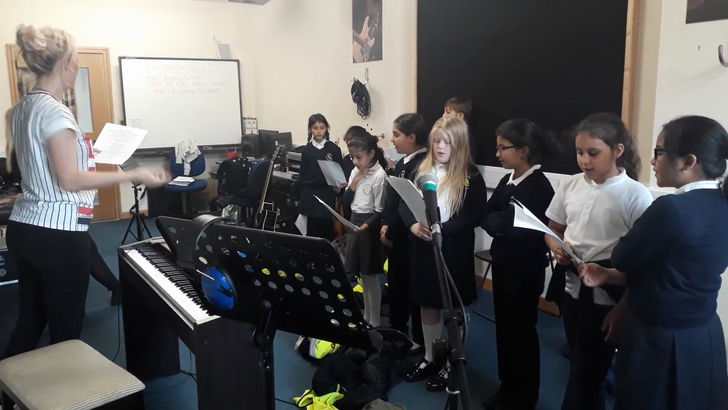 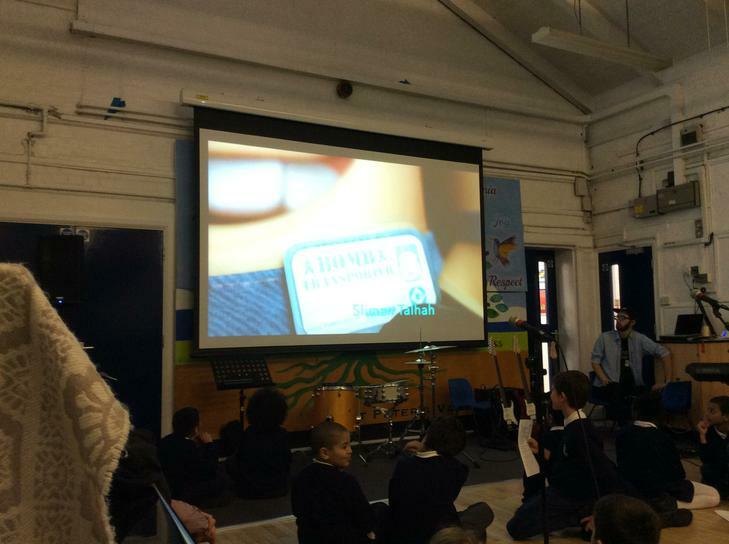 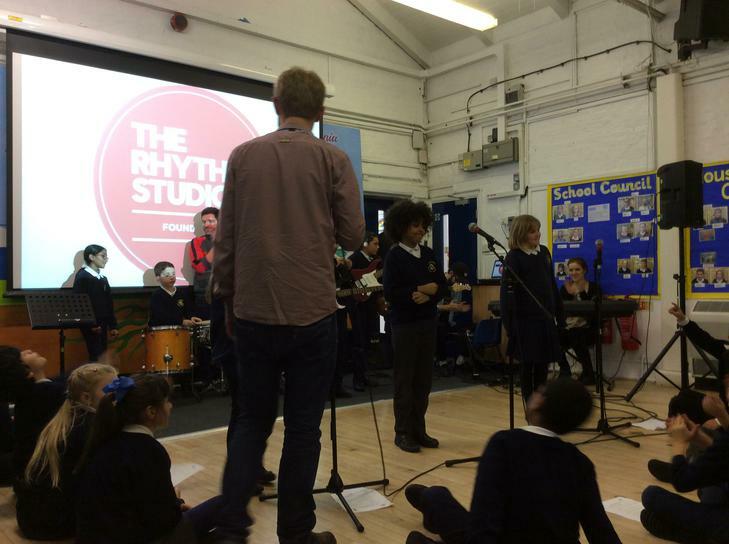 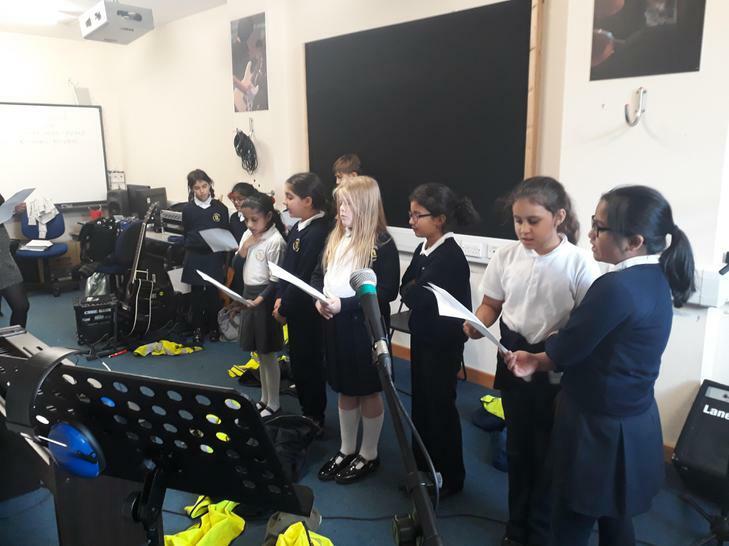 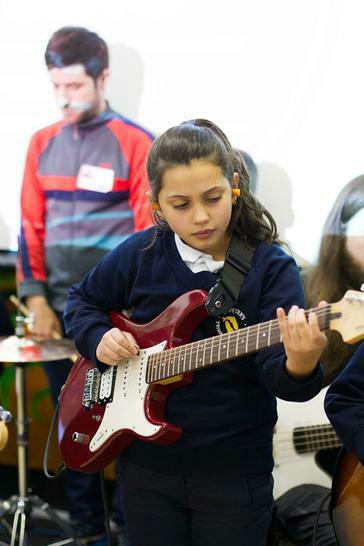 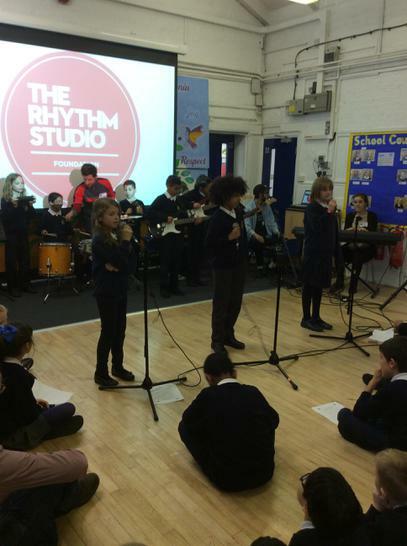 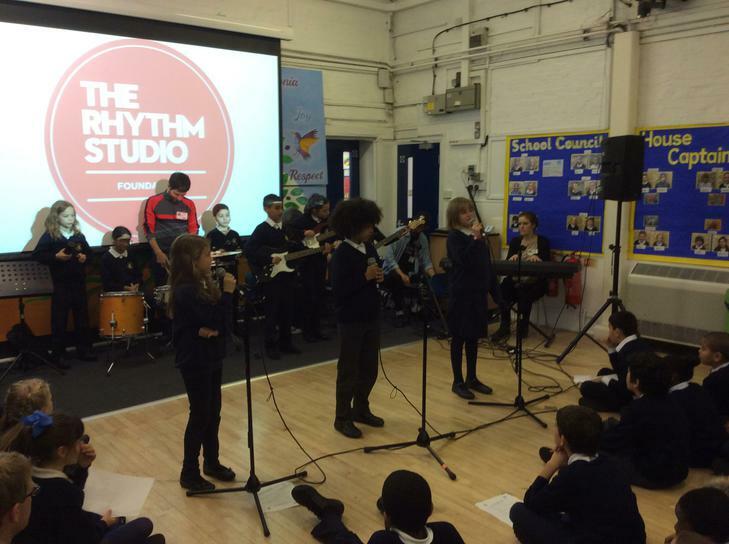 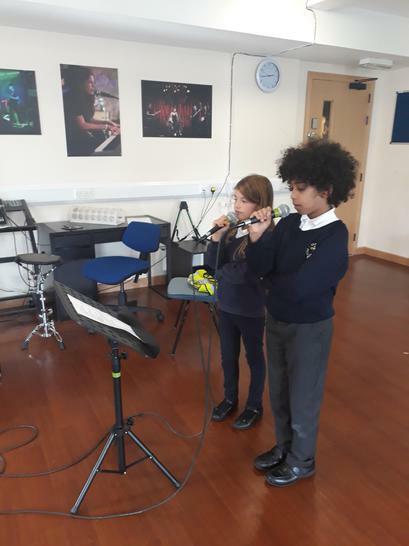 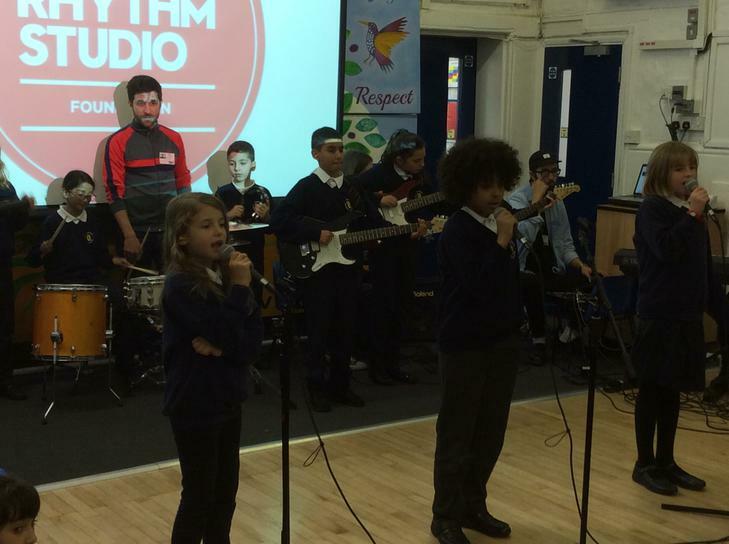 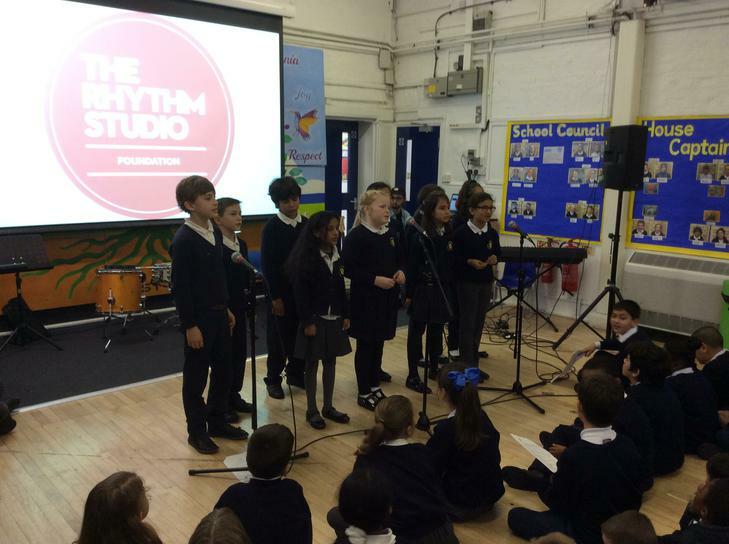 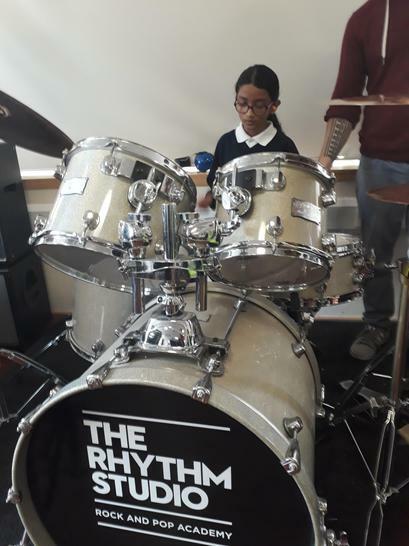 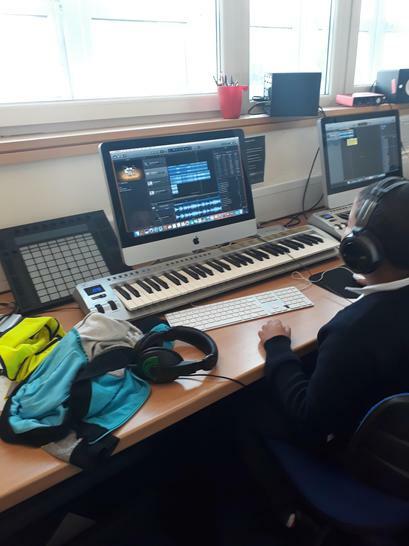 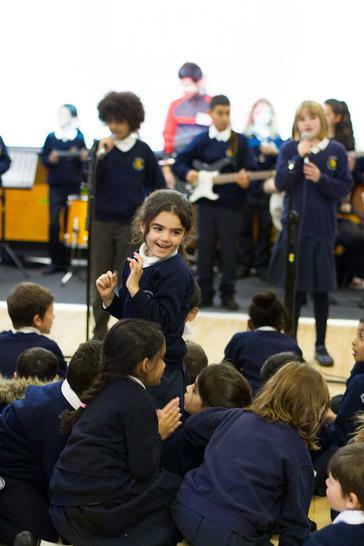 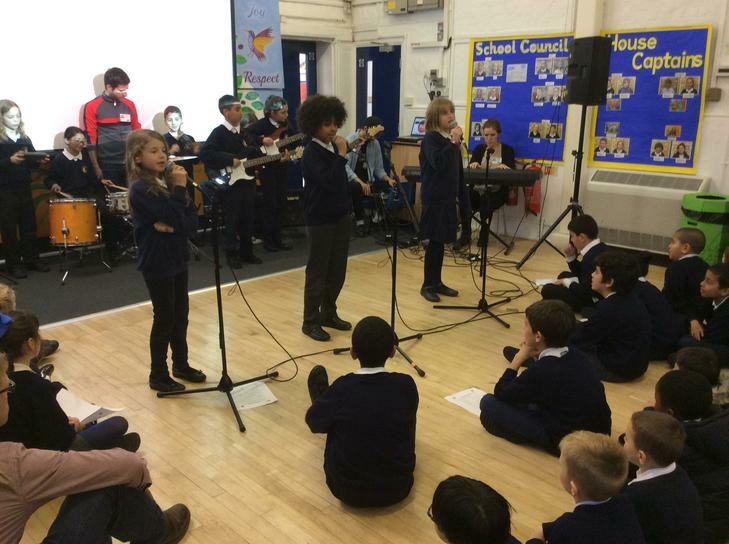 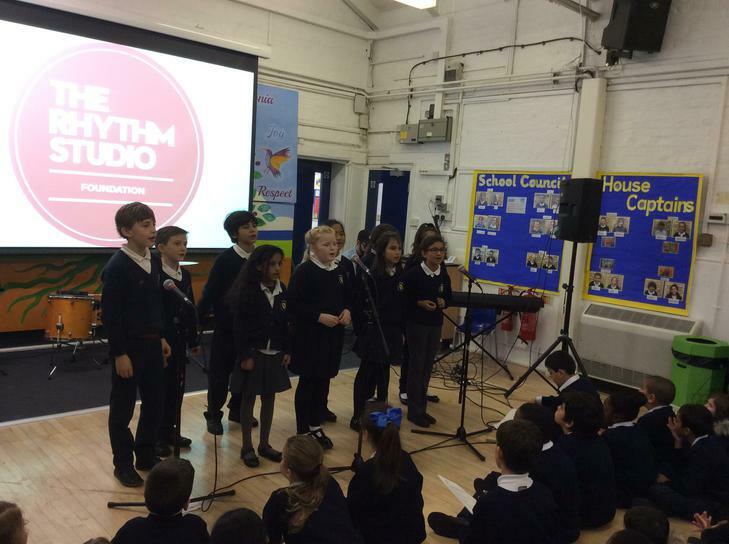 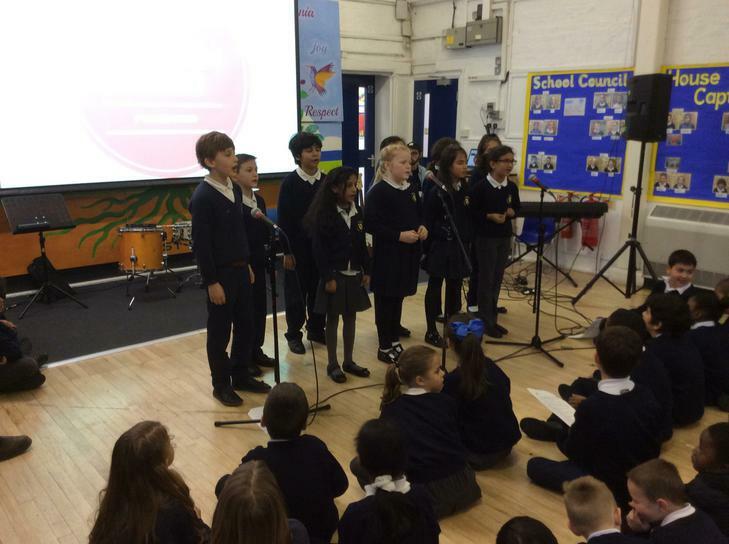 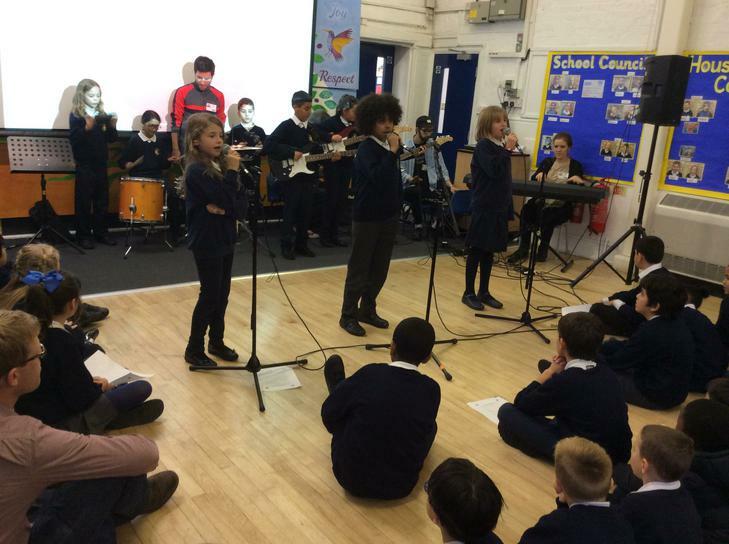 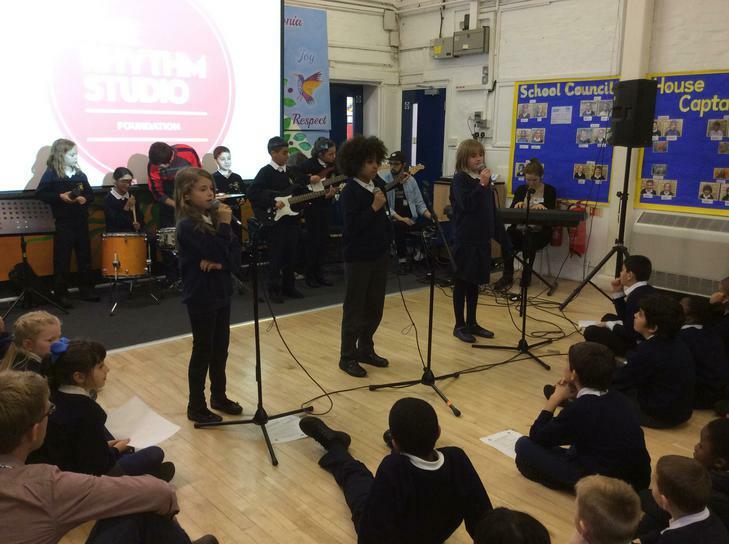 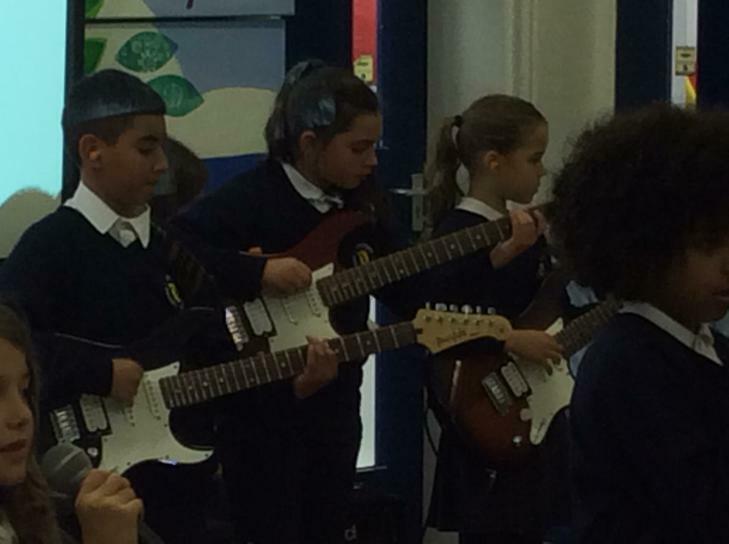 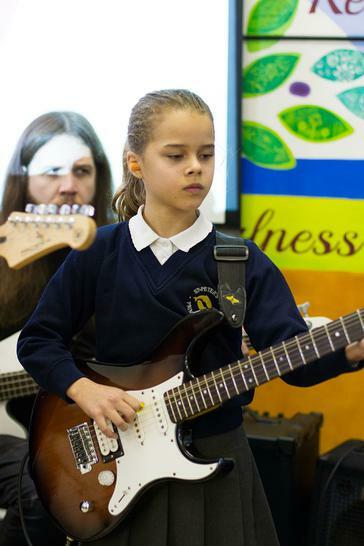 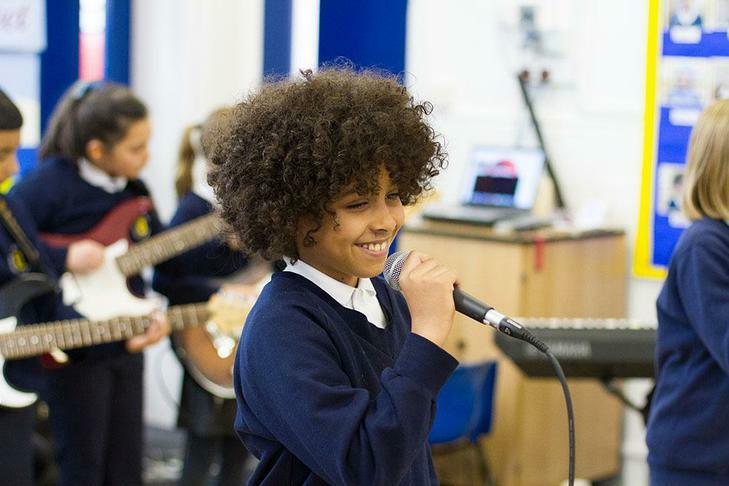 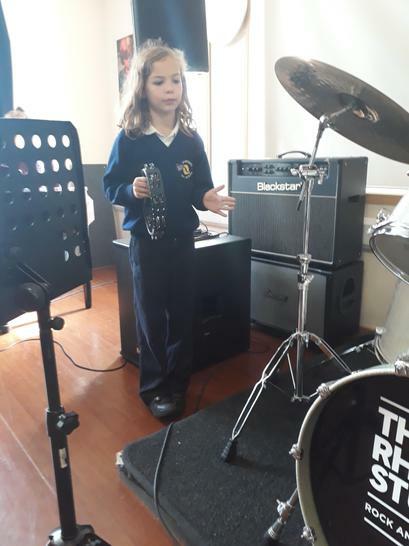 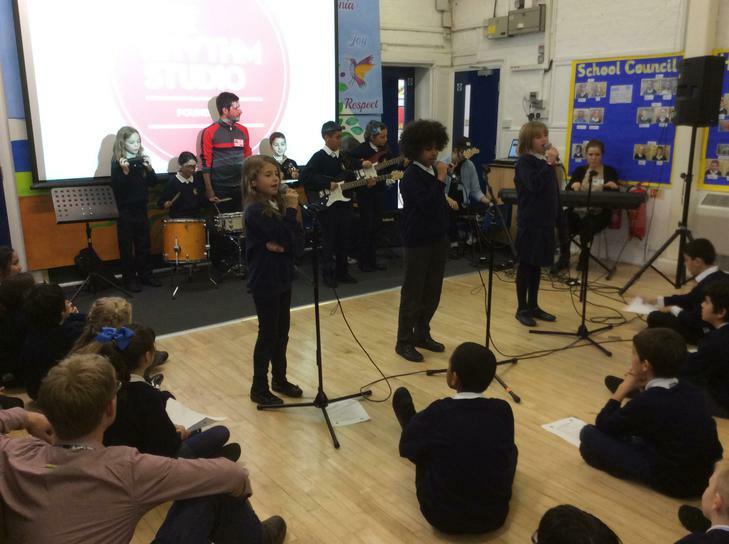 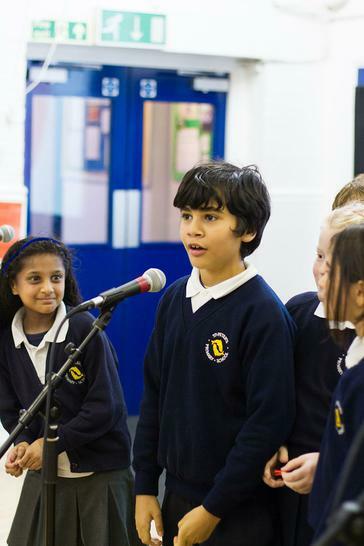 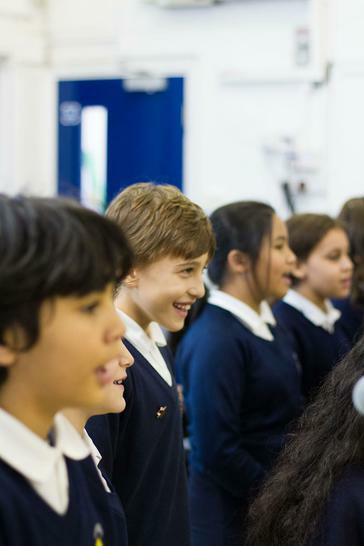 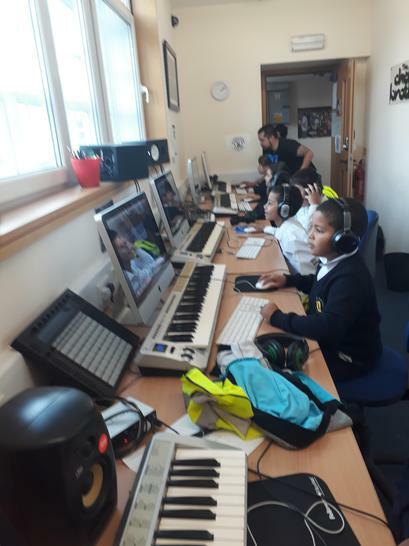 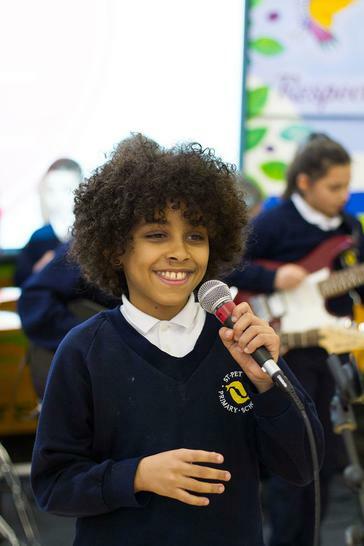 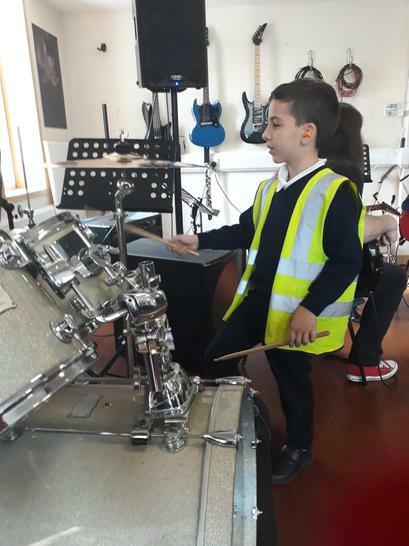 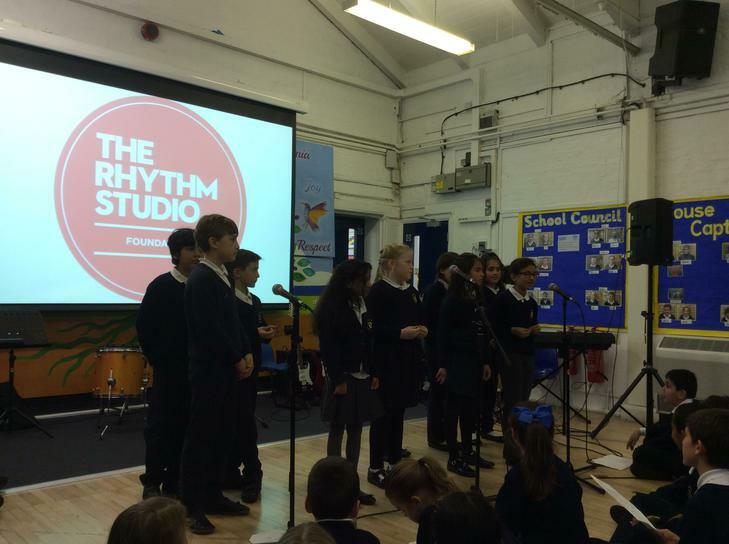 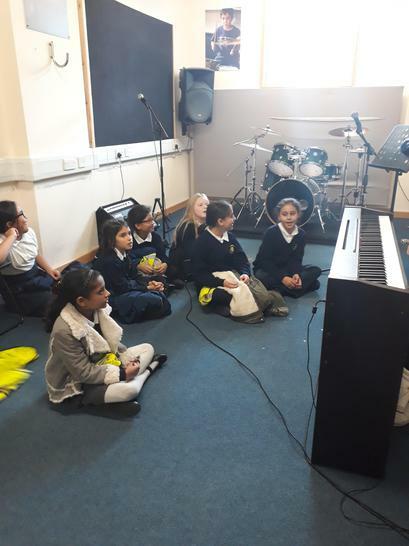 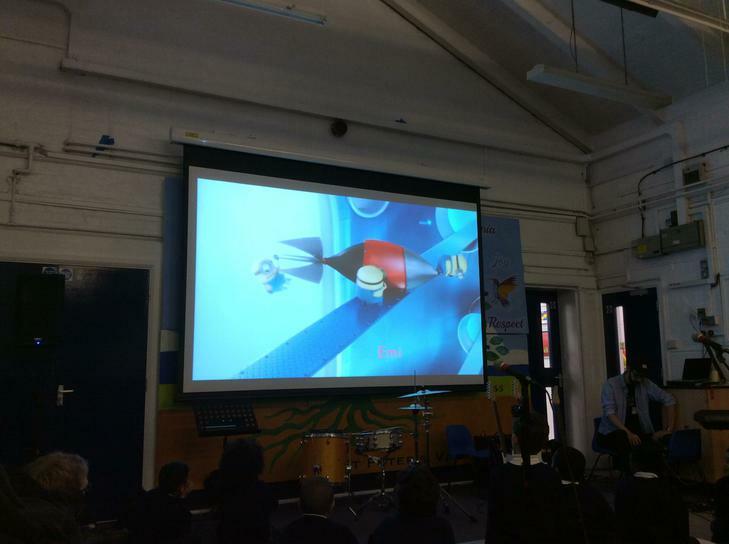 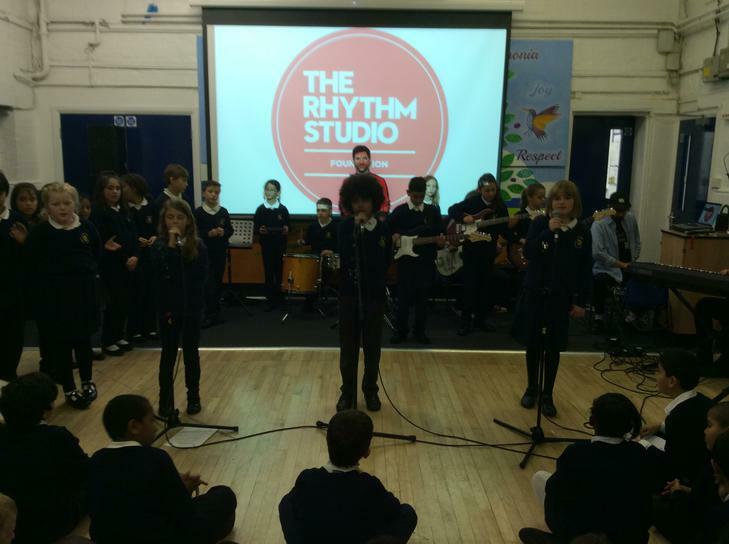 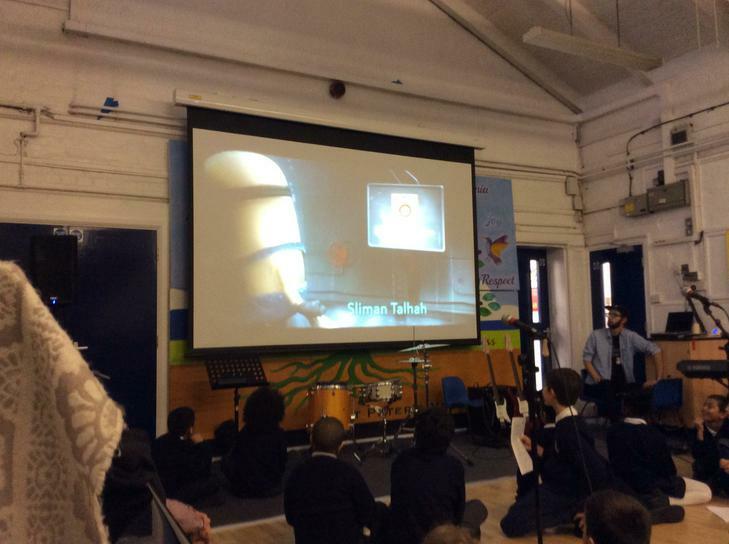 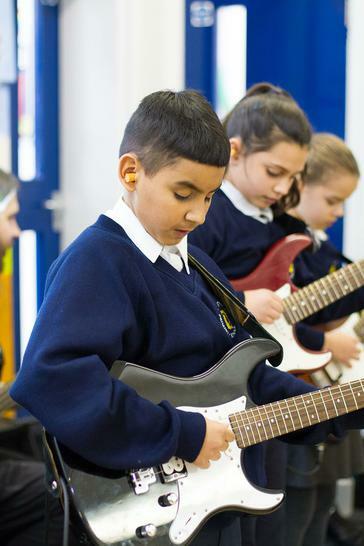 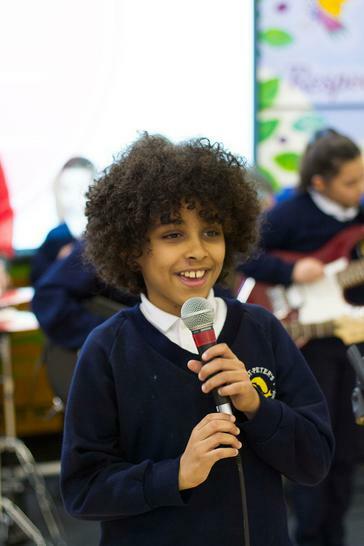 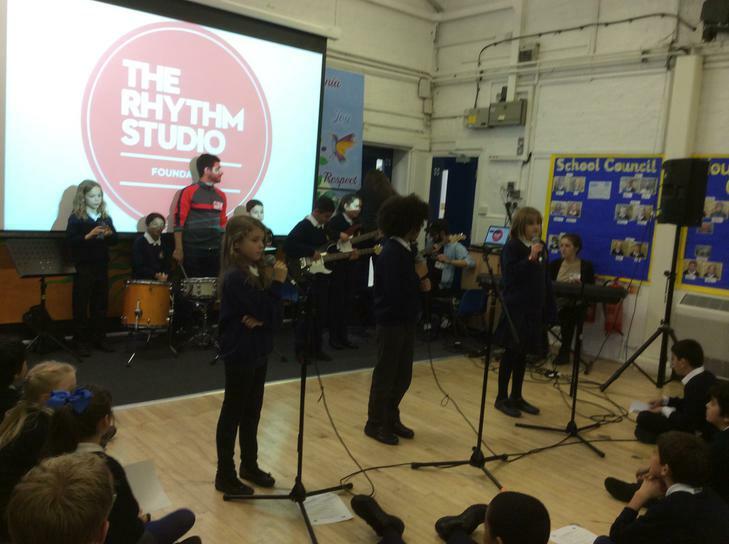 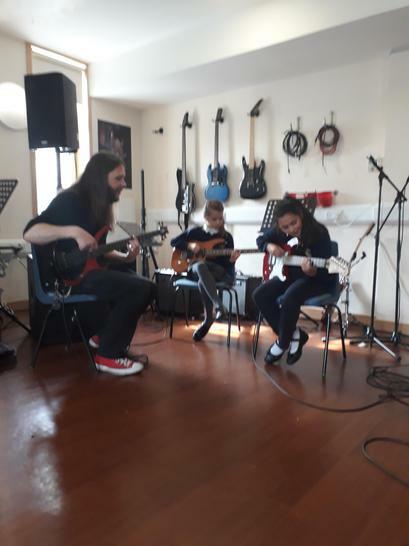 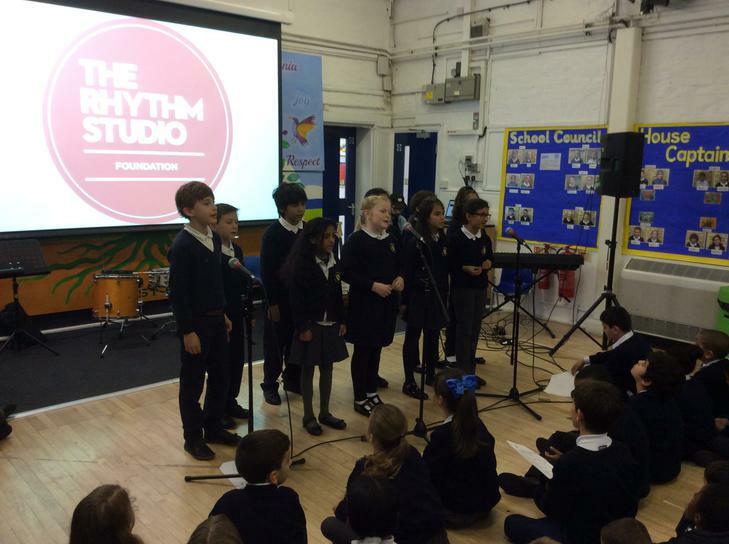 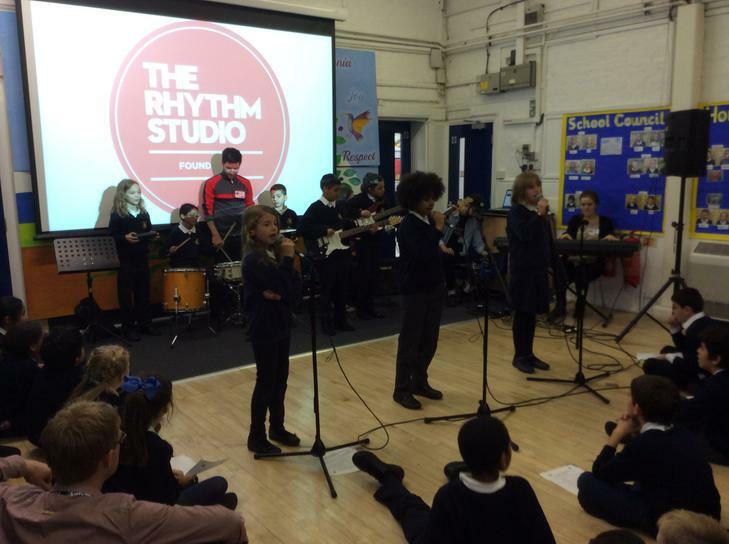 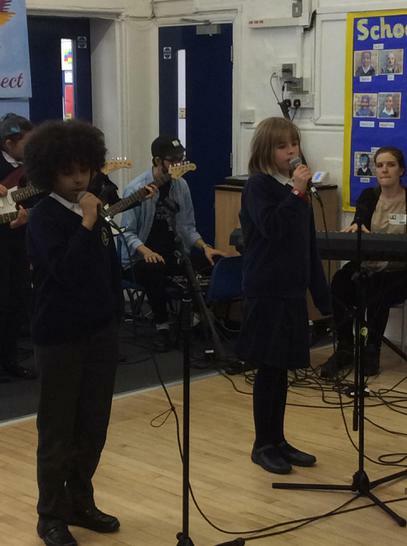 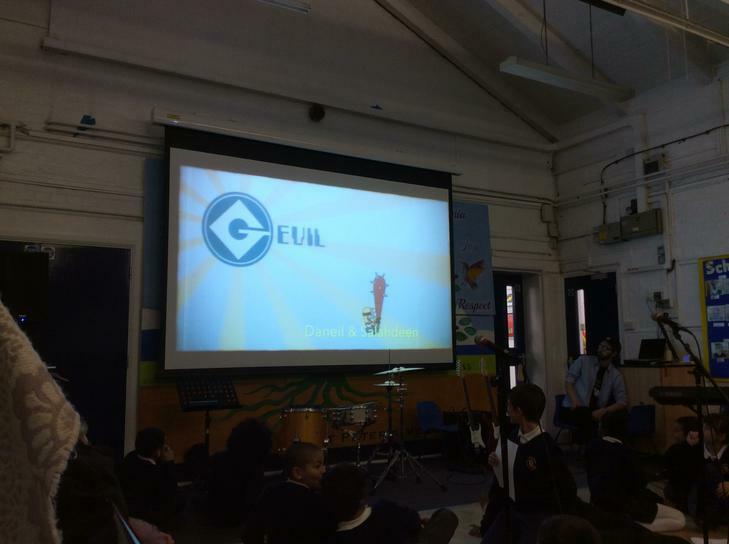 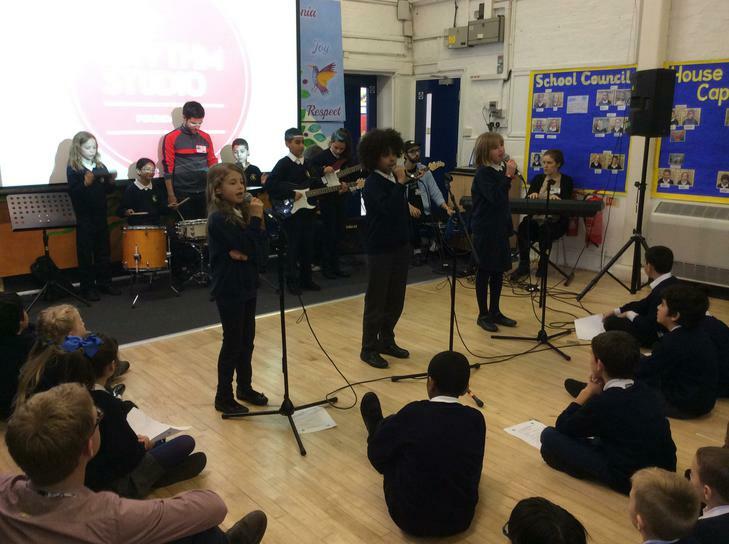 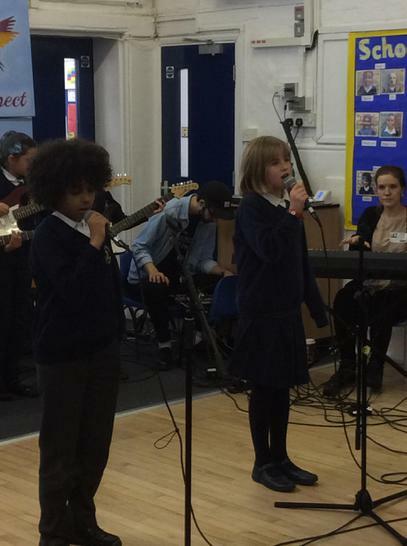 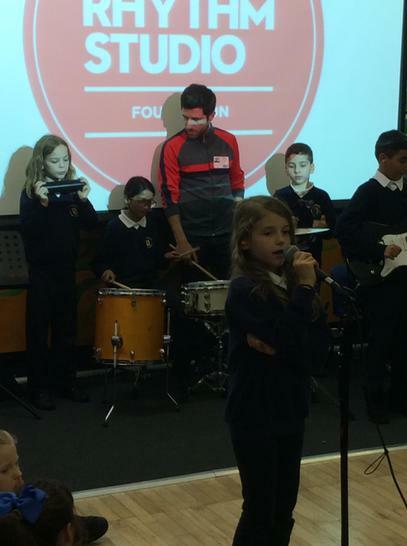 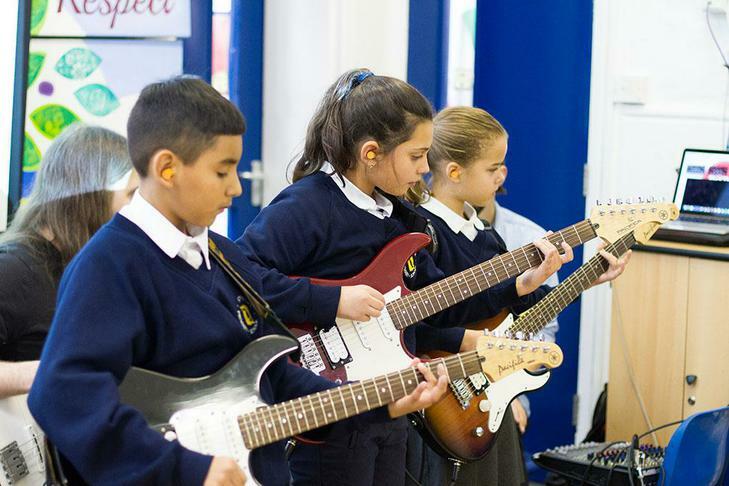 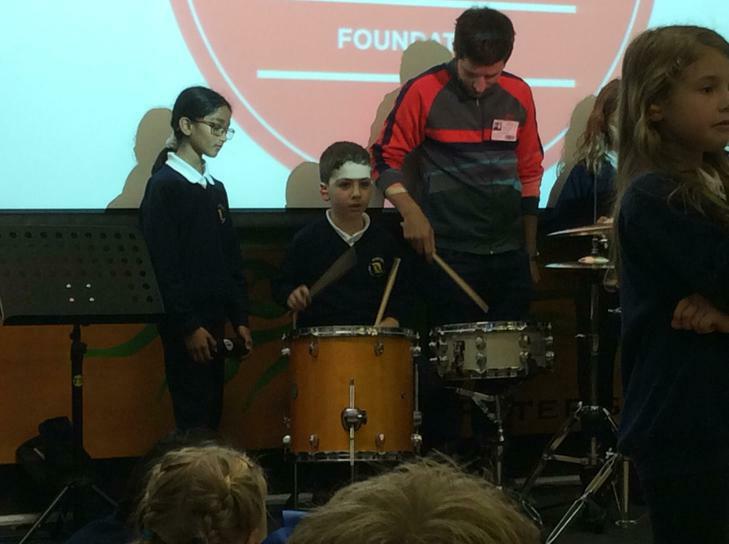 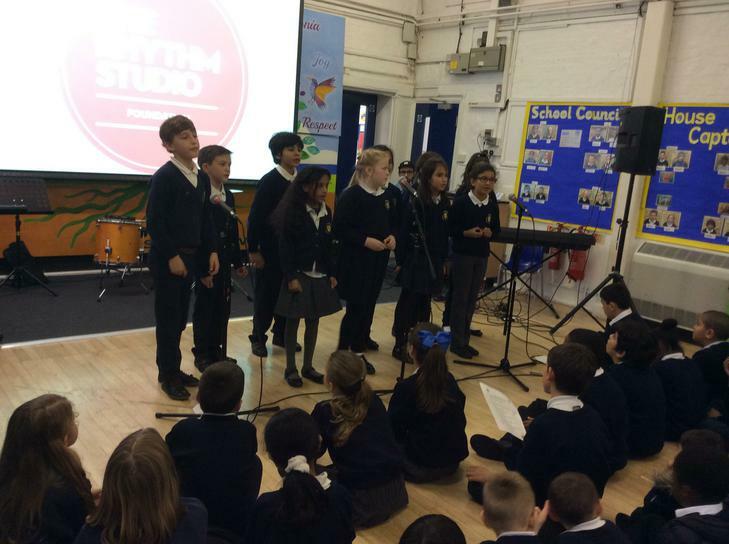 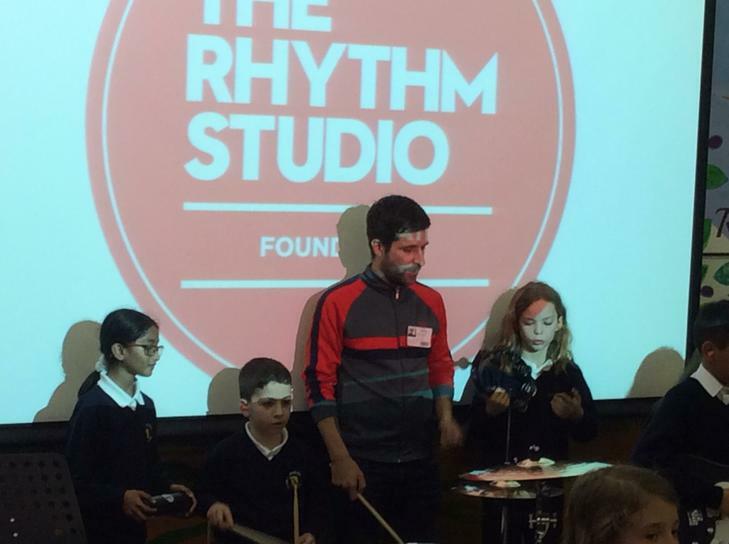 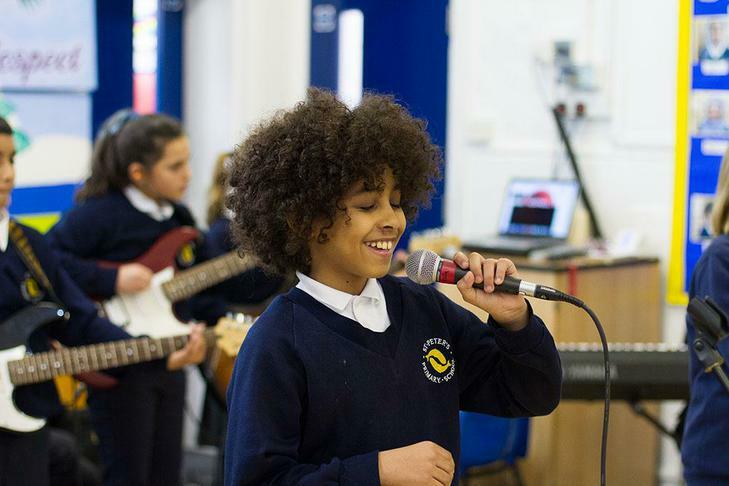 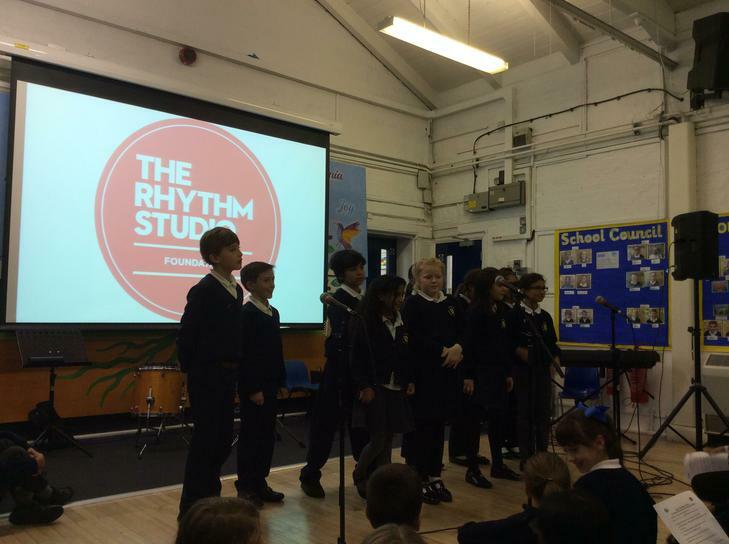 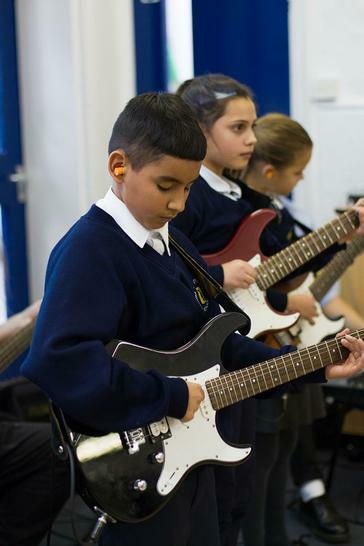 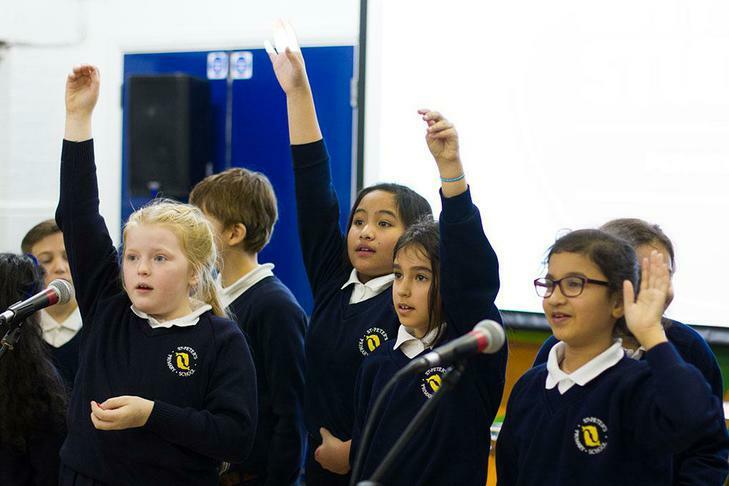 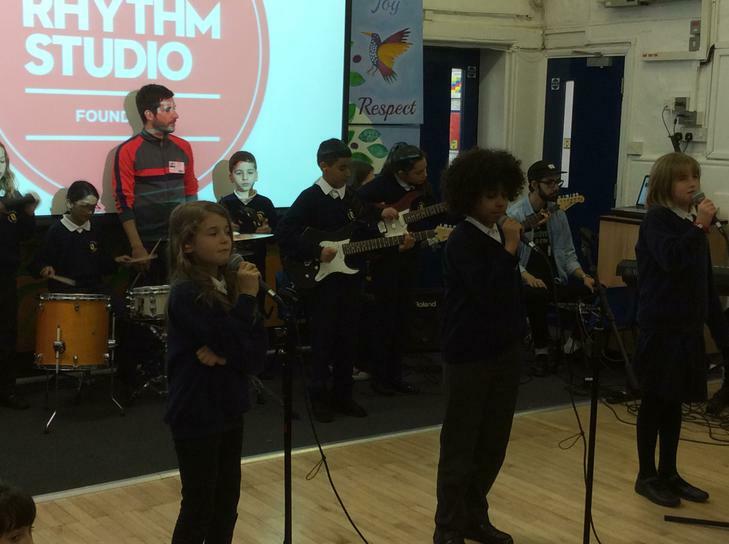 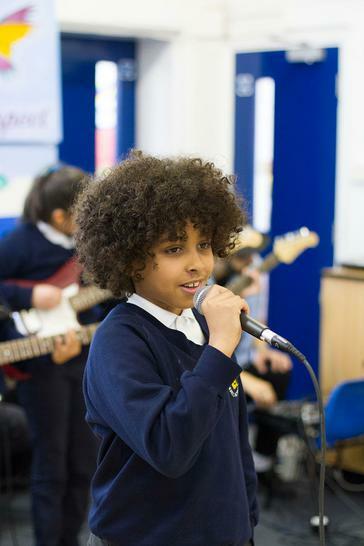 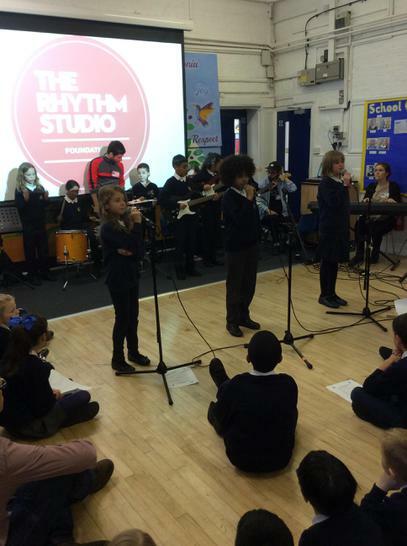 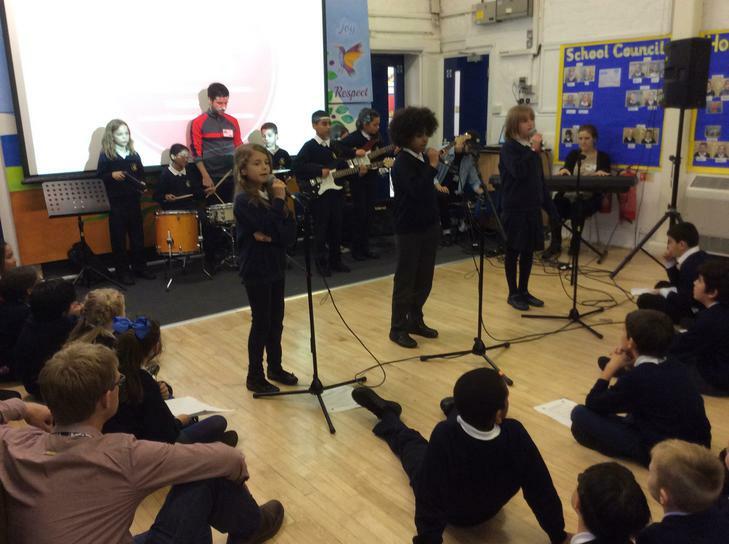 Over this term, every Monday, year 5 have been going to the Rhythm Studios to learn various musical skills including drumming, guitar, music production as well as singing in a band and a choir. 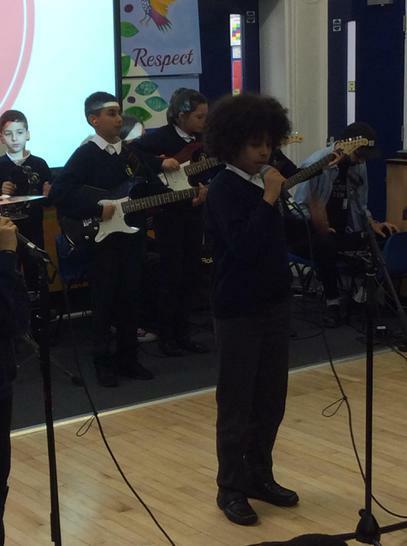 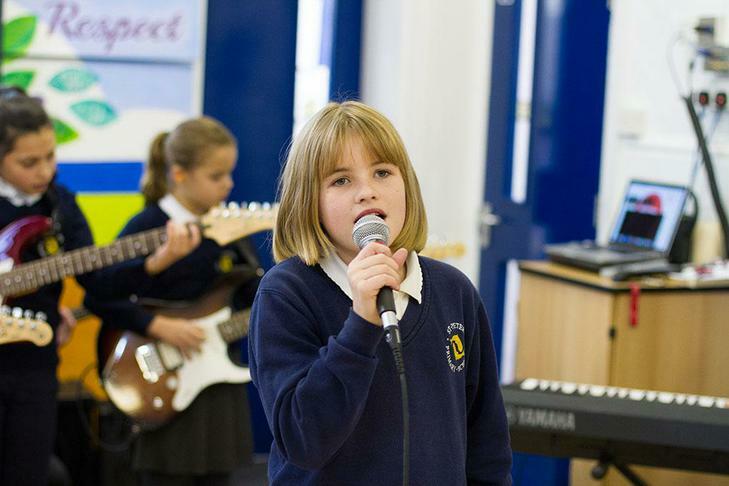 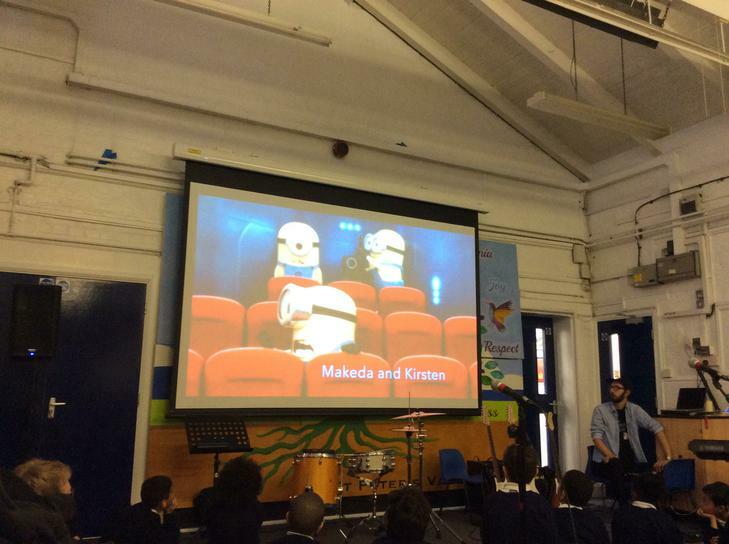 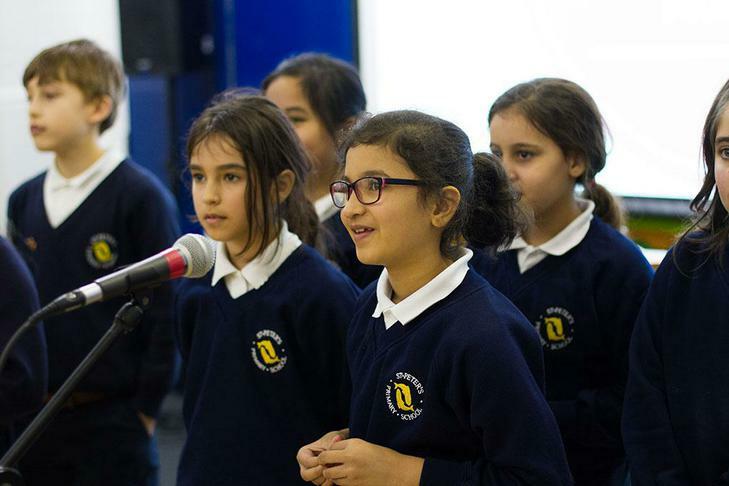 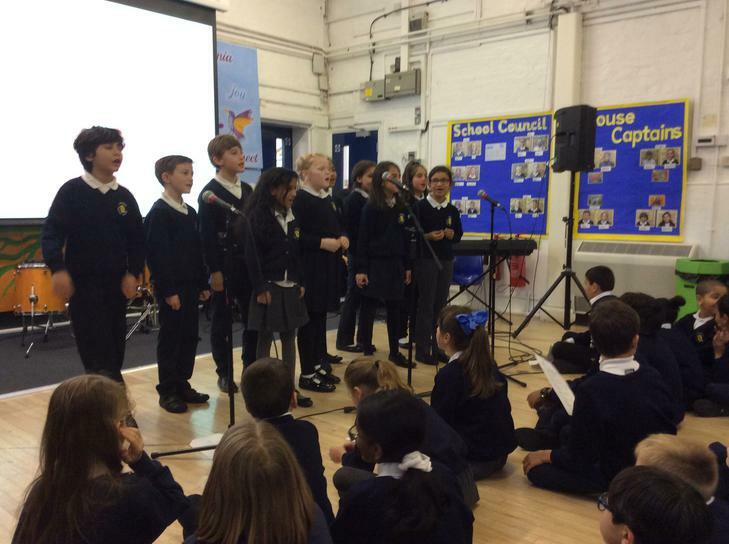 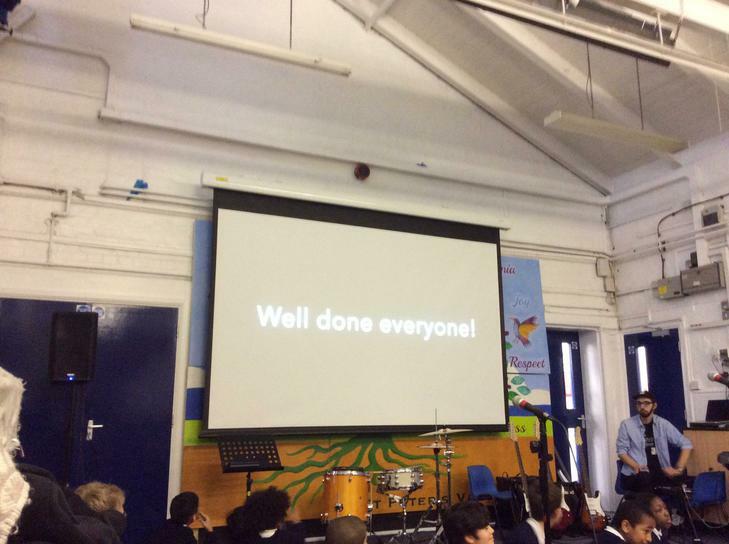 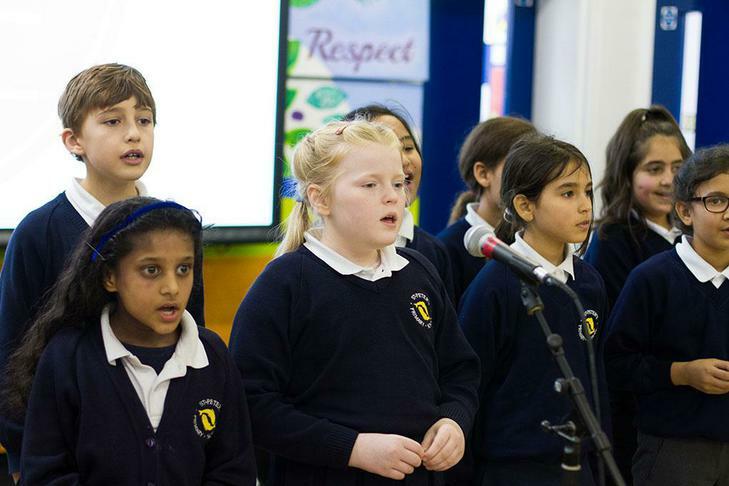 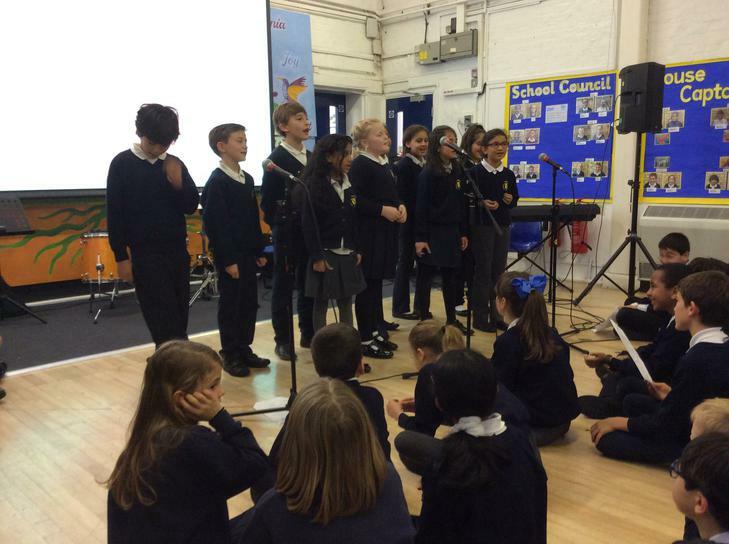 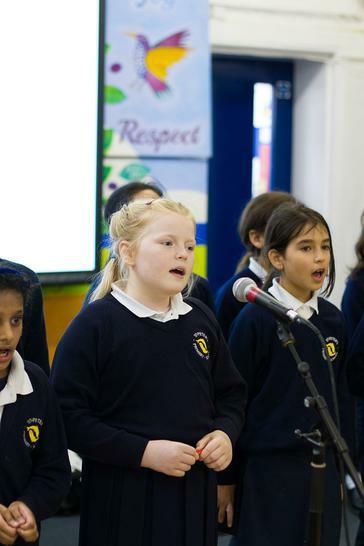 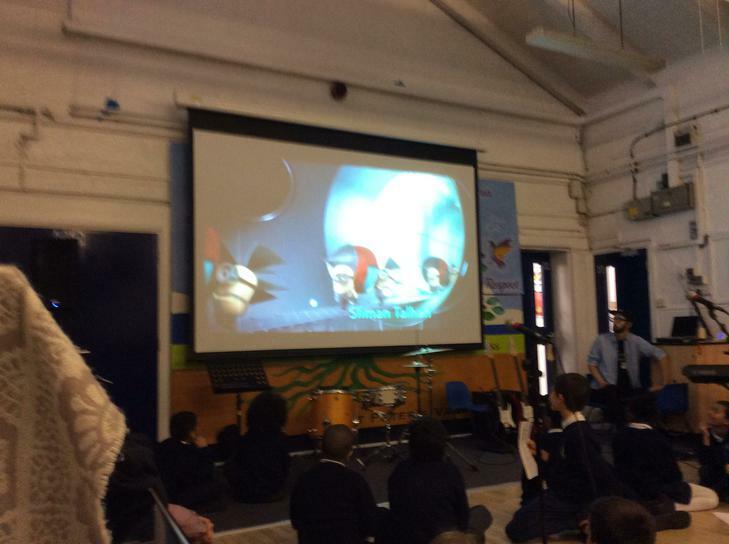 Their performances went very well, showcasing their hard work over the past term. 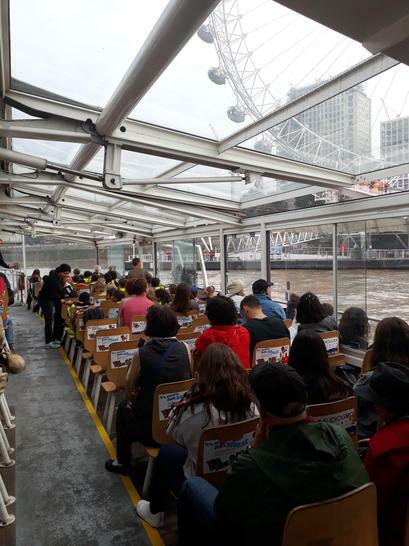 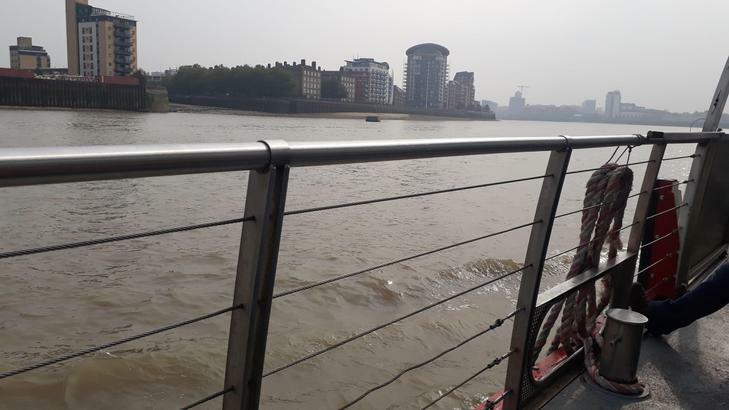 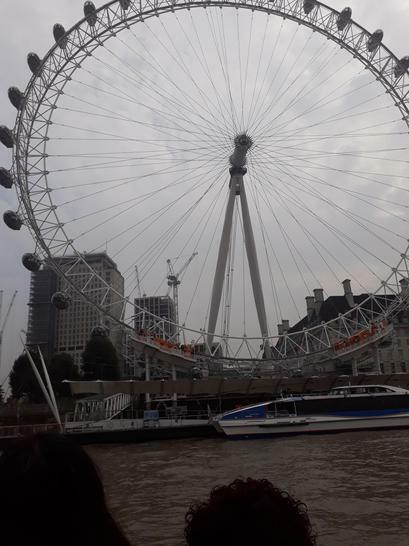 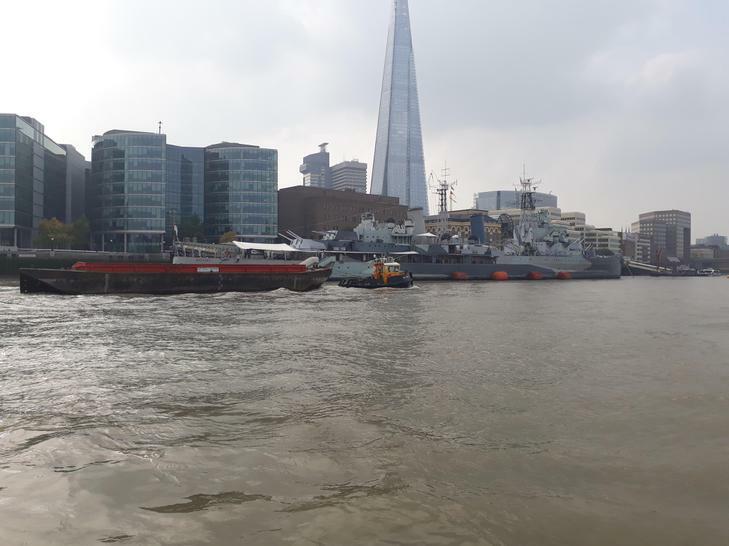 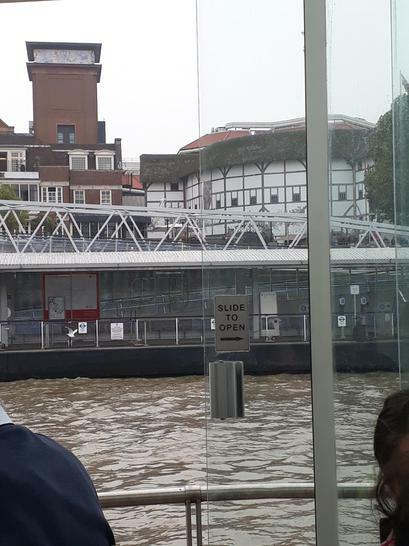 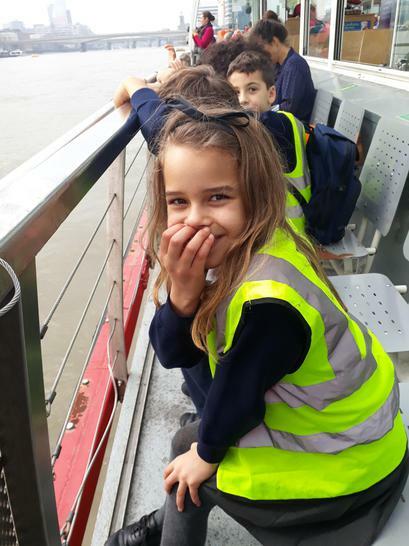 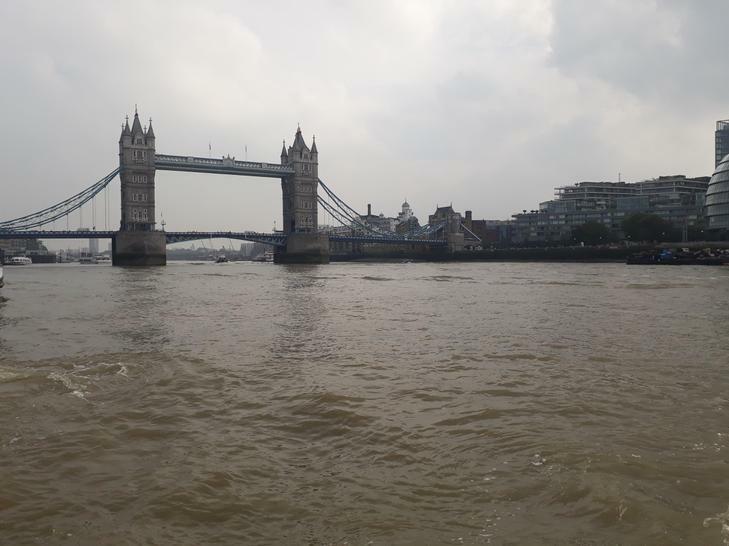 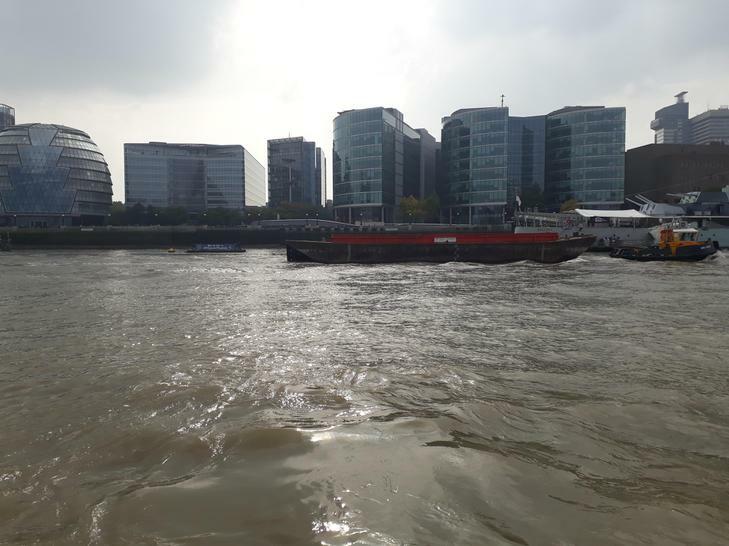 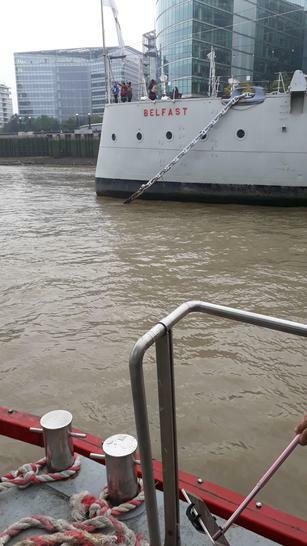 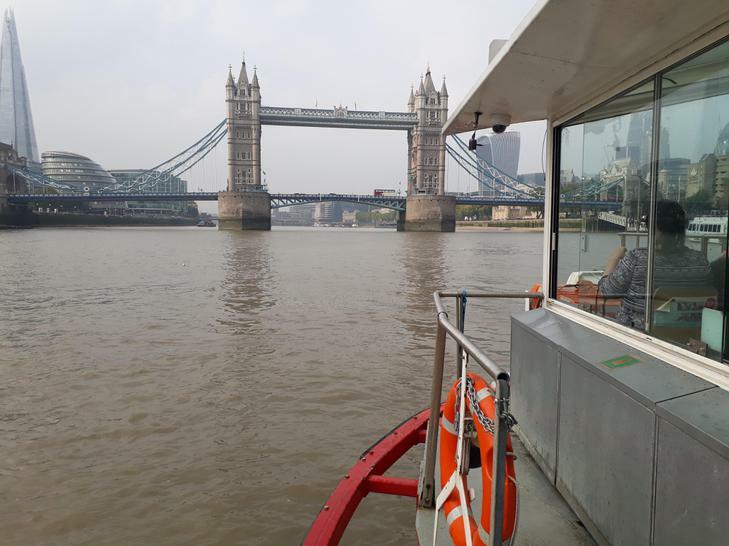 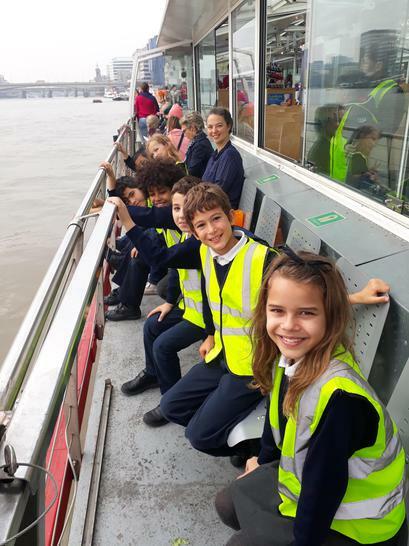 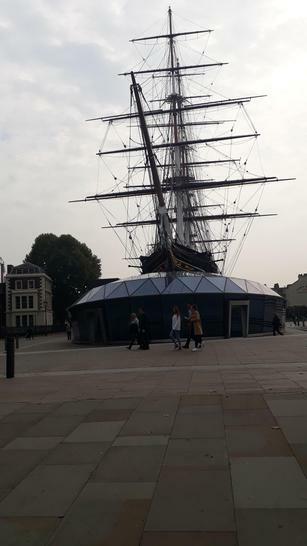 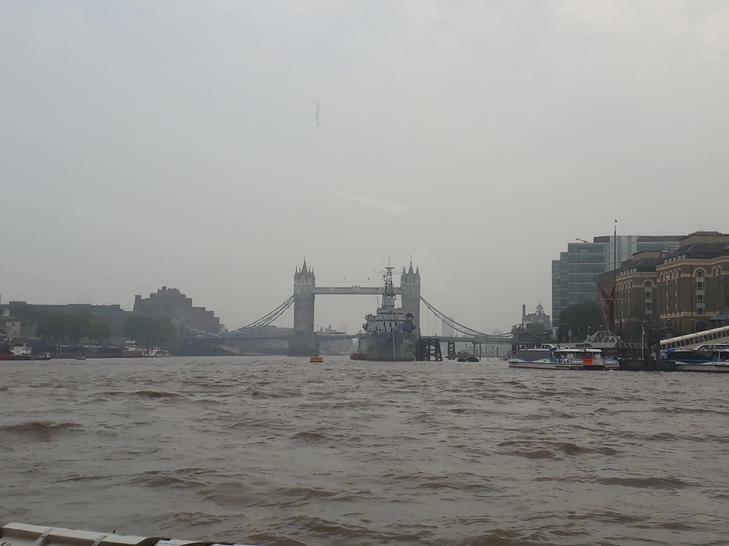 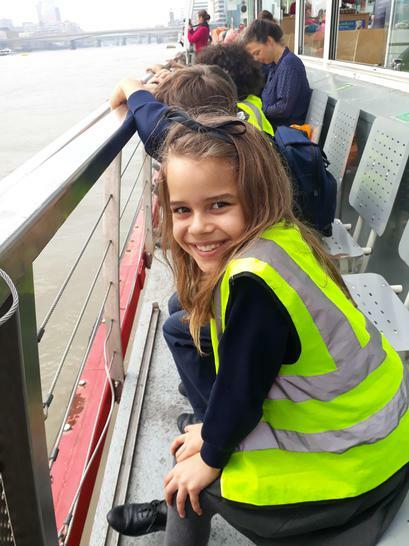 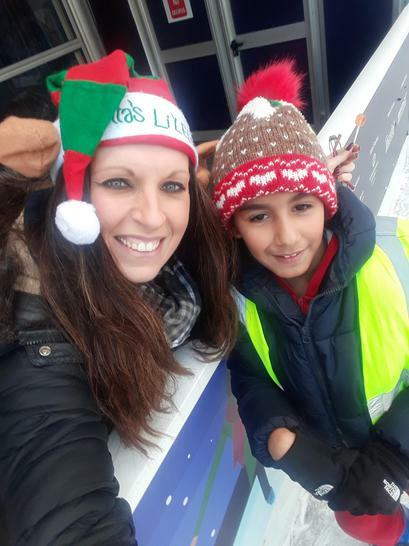 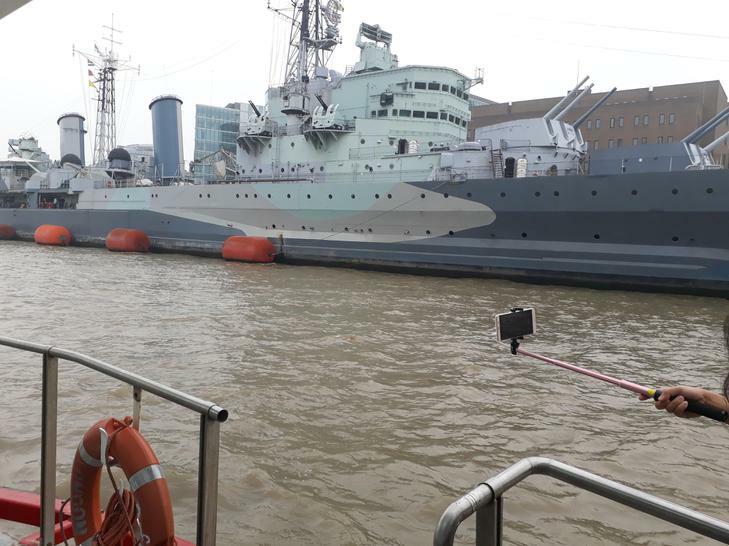 As part of our IPC topic this term, we went on a River Boat Cruise looking at all the famous landmarks across London from Westminster Pier to Greenwich! 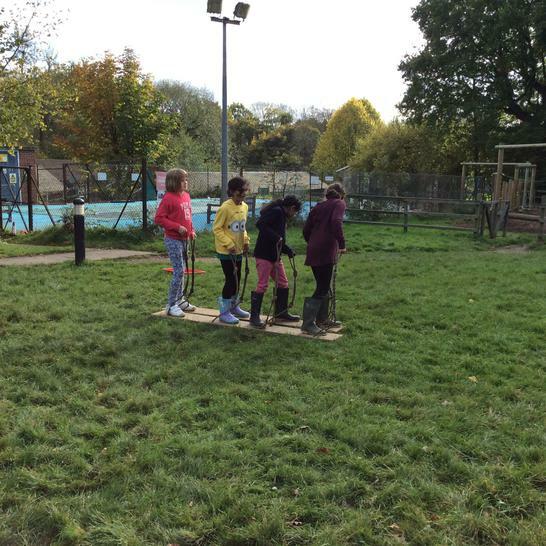 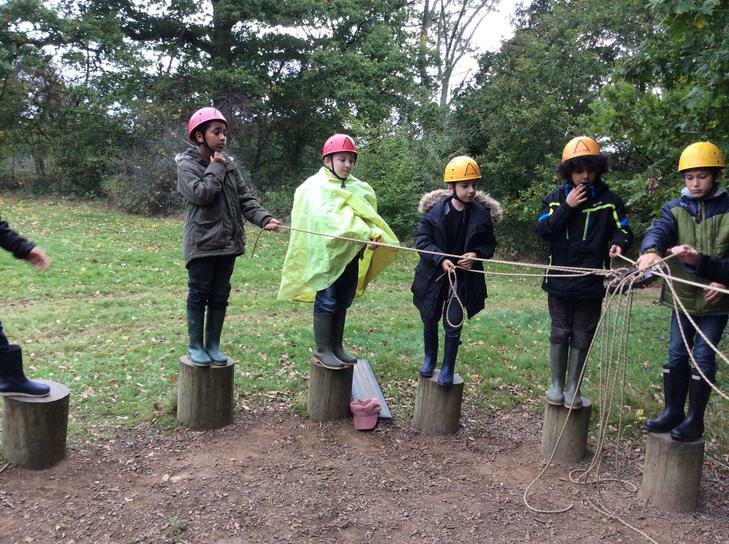 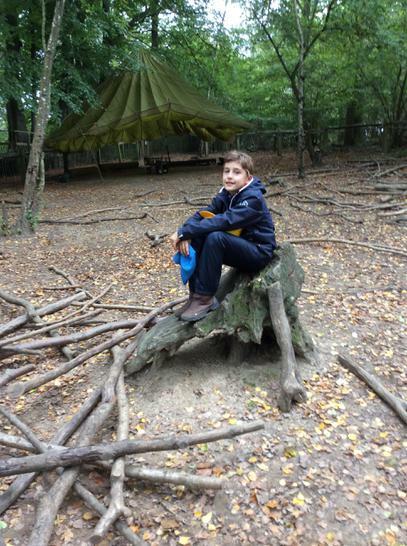 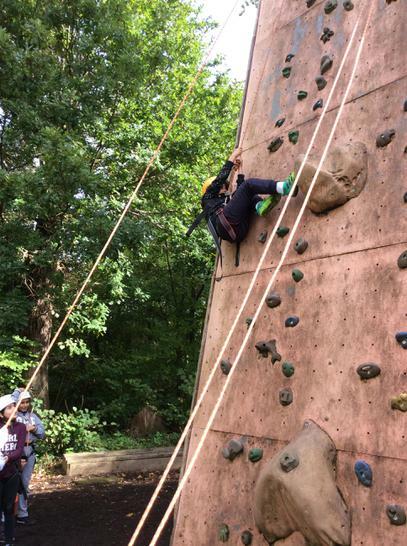 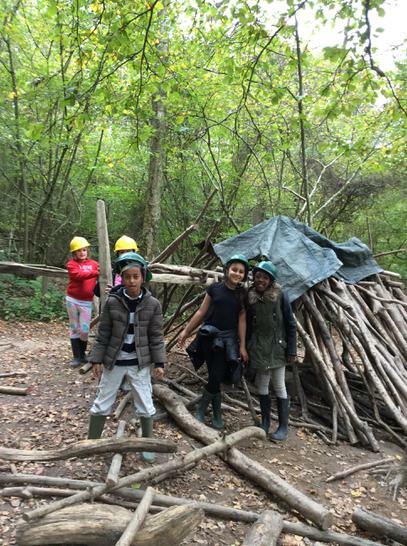 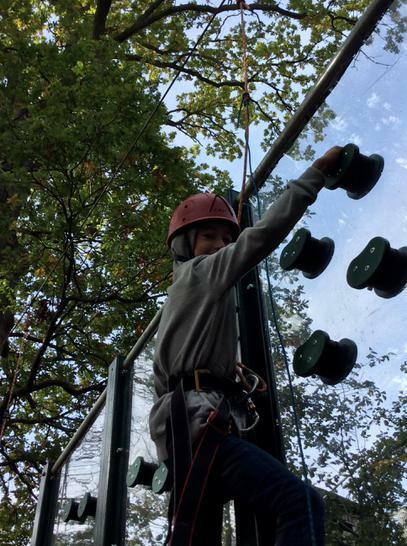 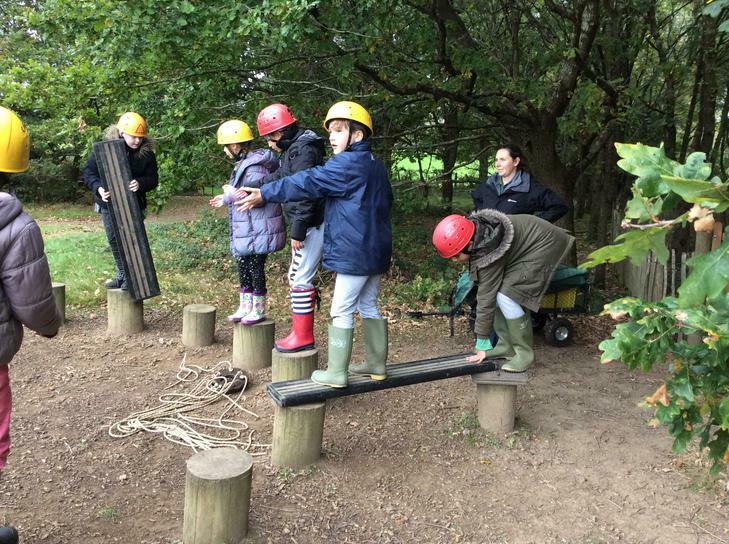 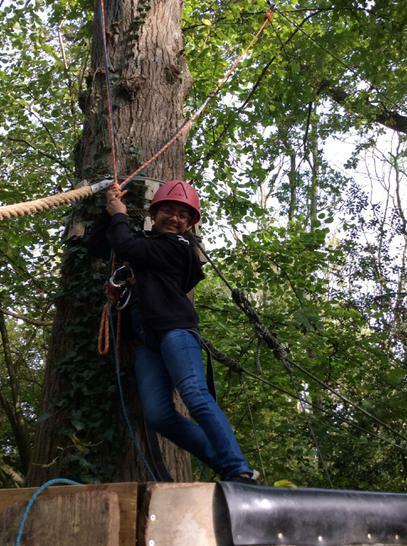 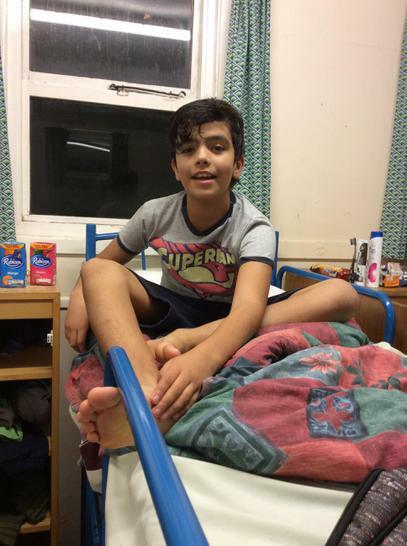 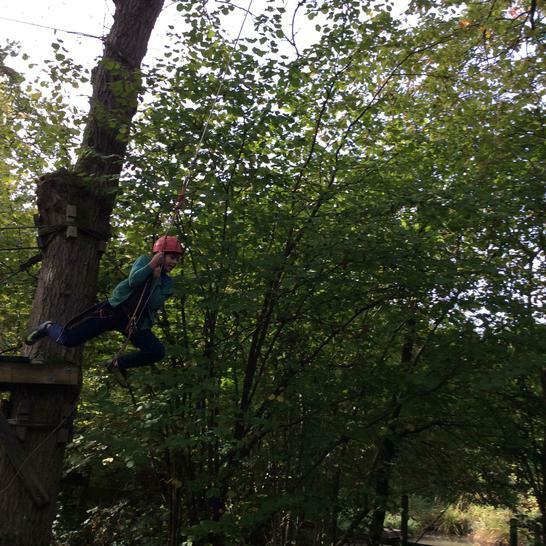 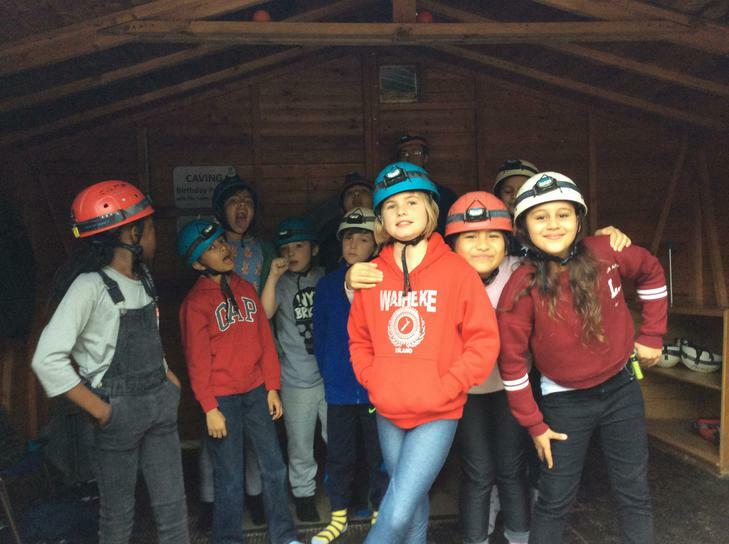 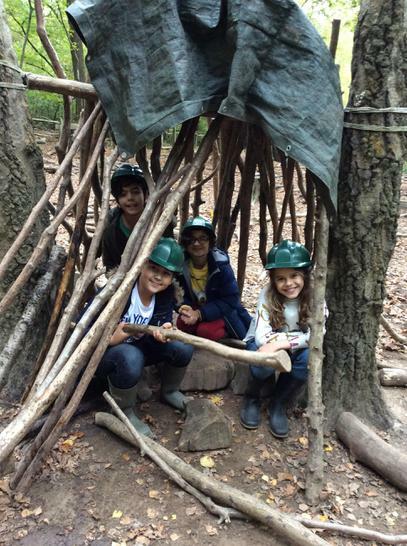 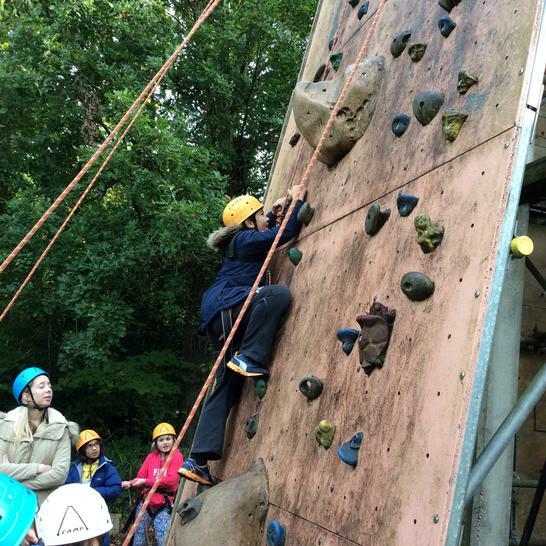 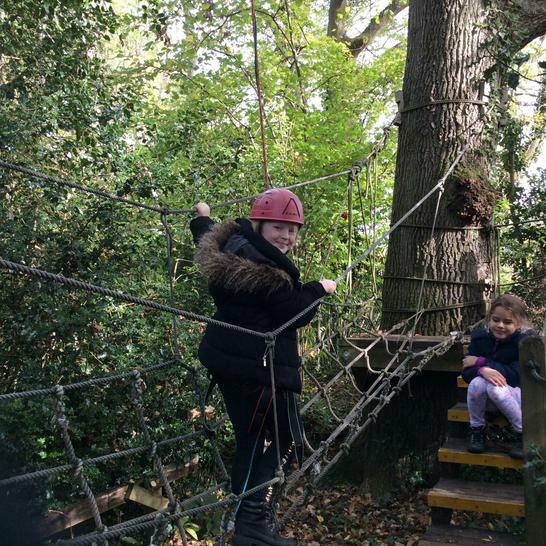 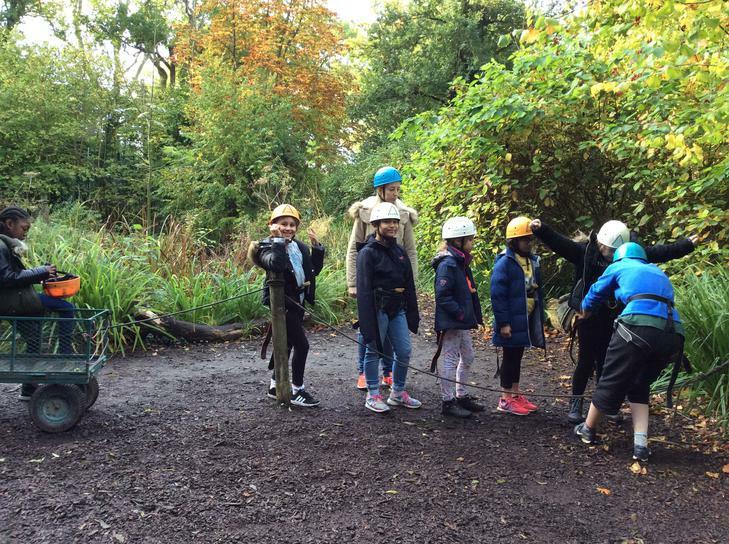 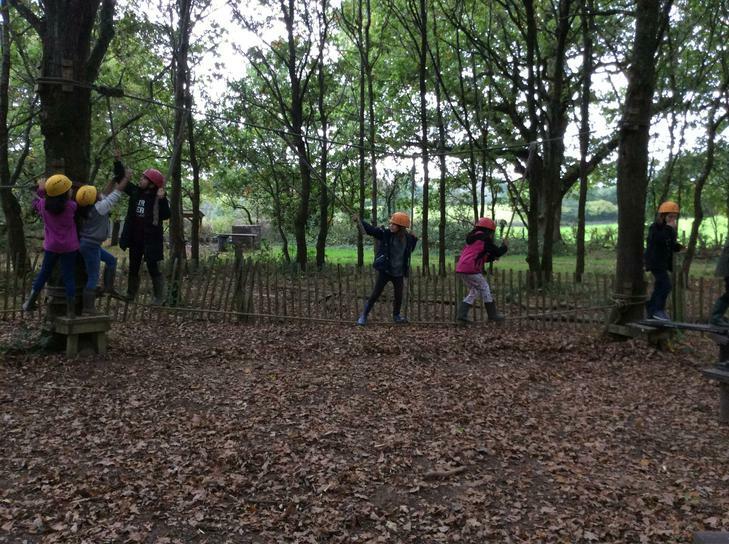 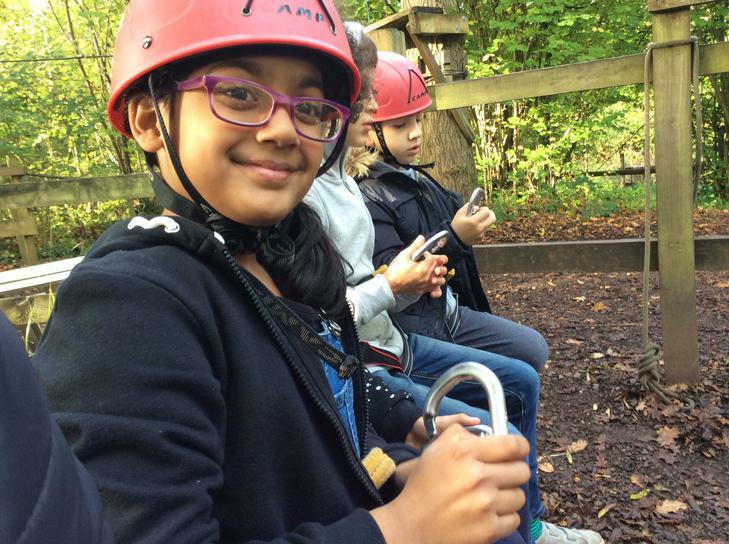 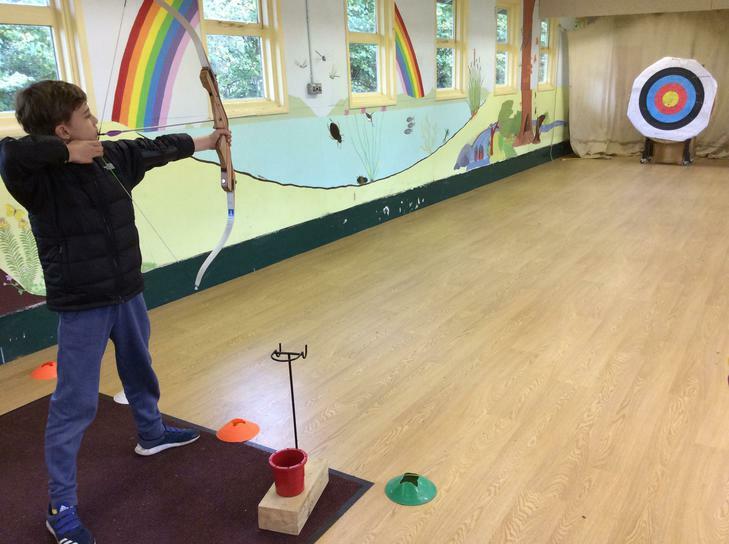 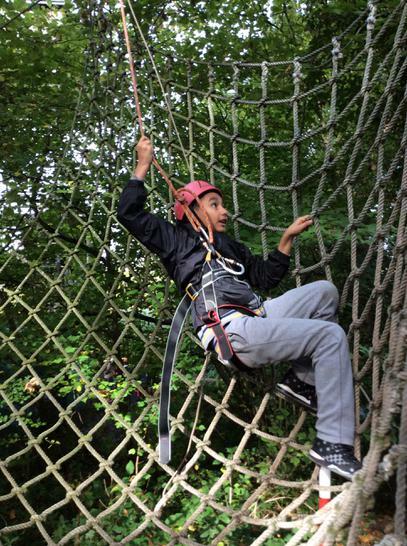 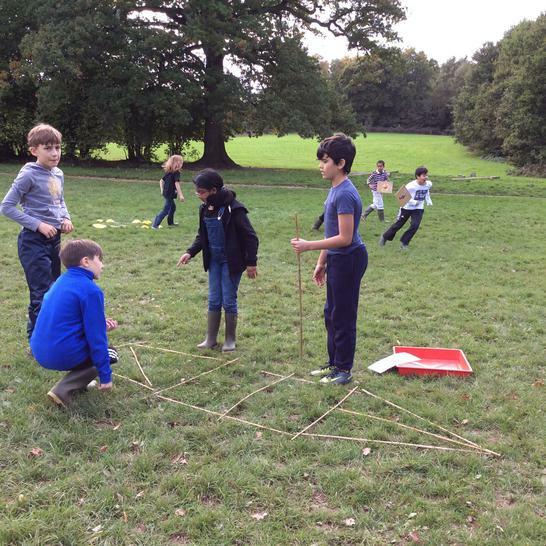 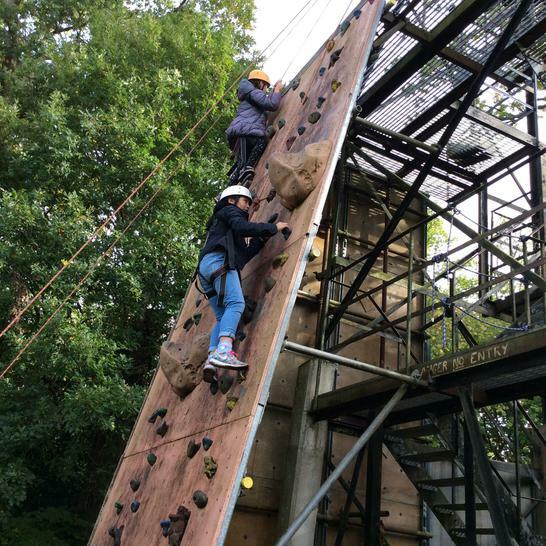 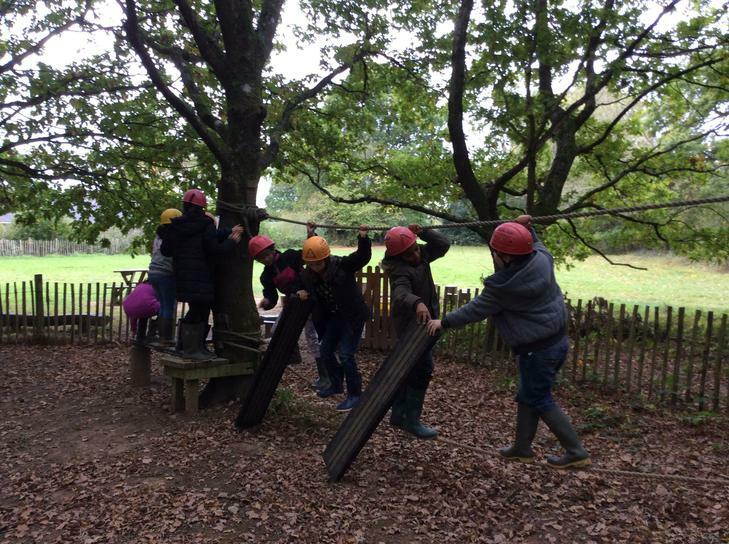 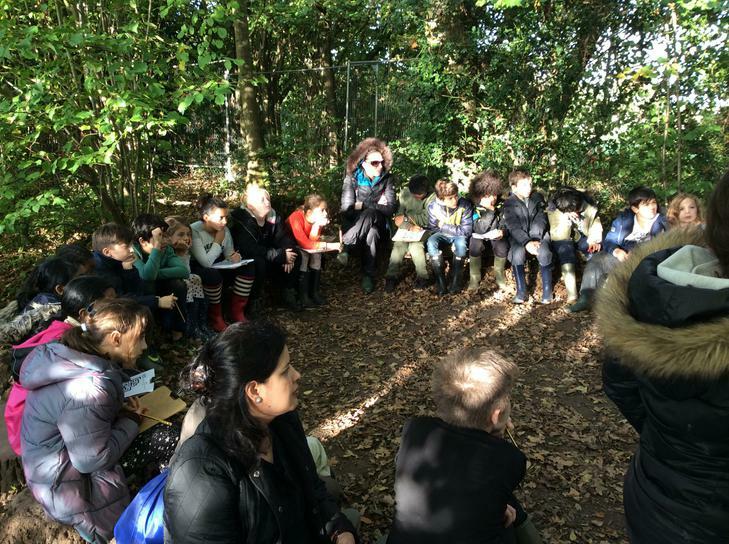 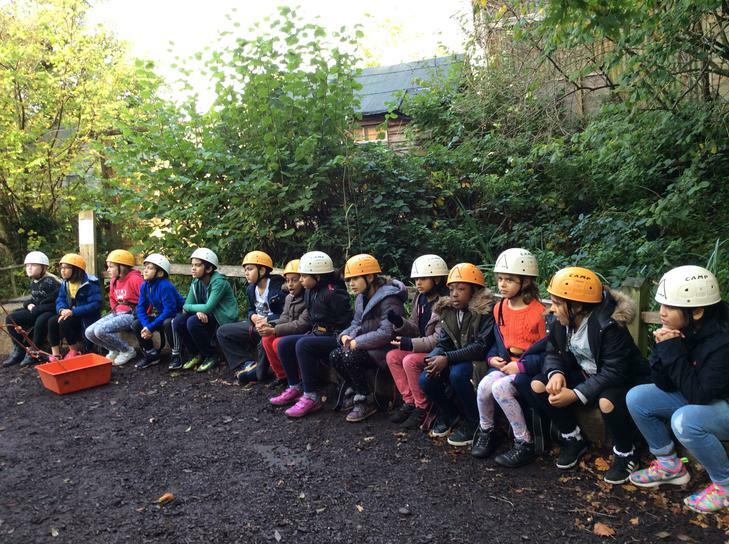 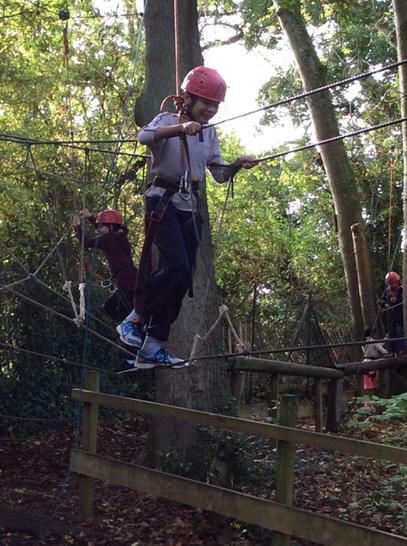 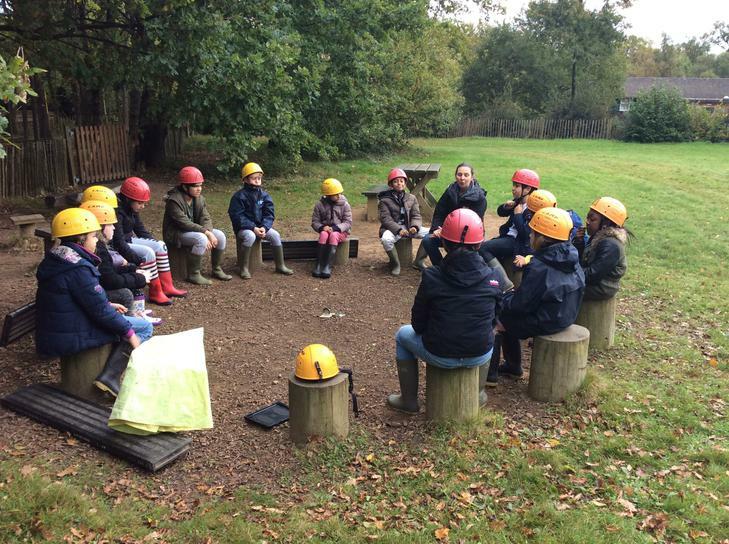 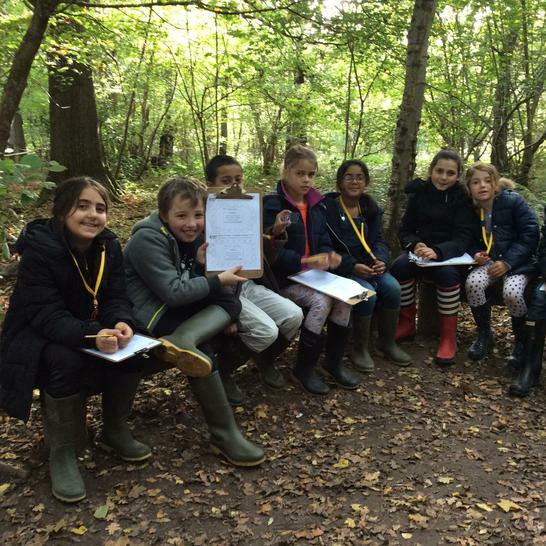 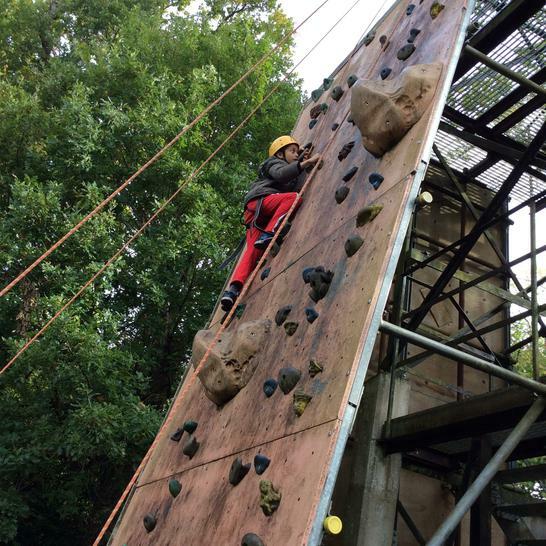 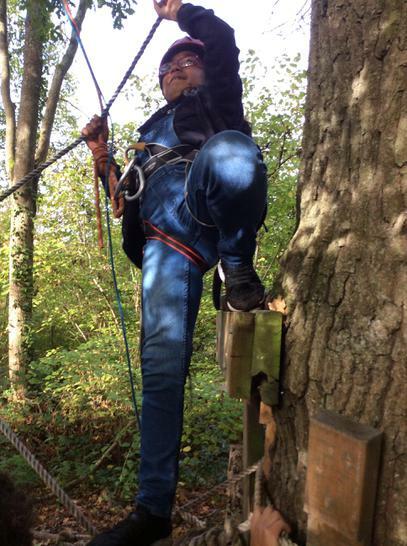 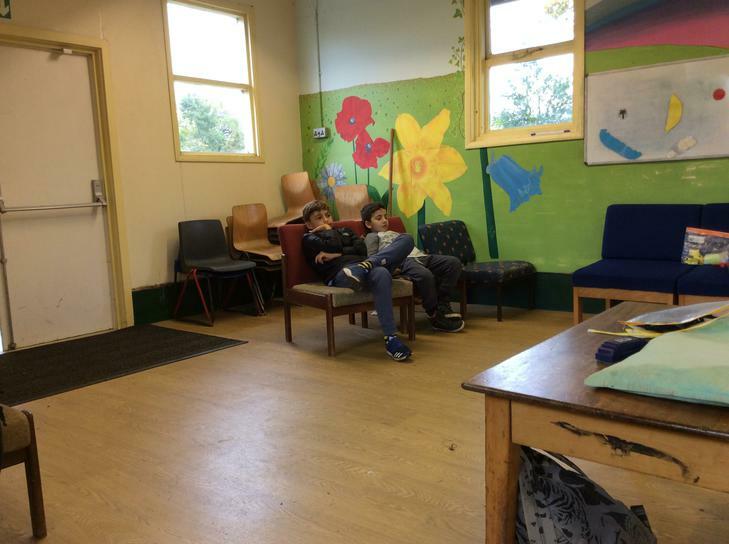 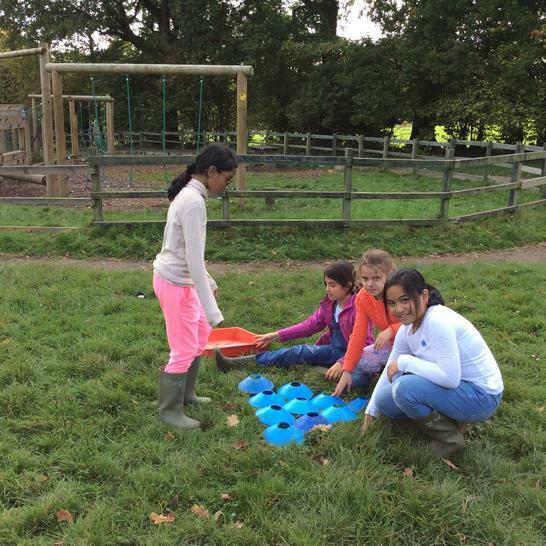 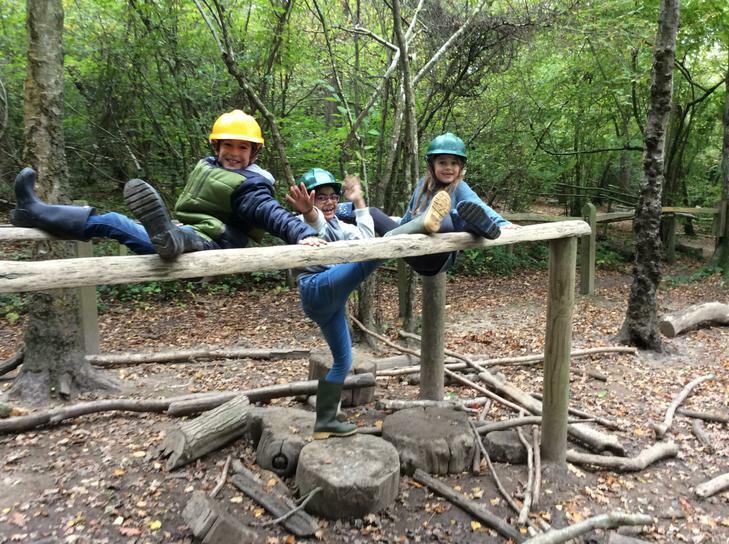 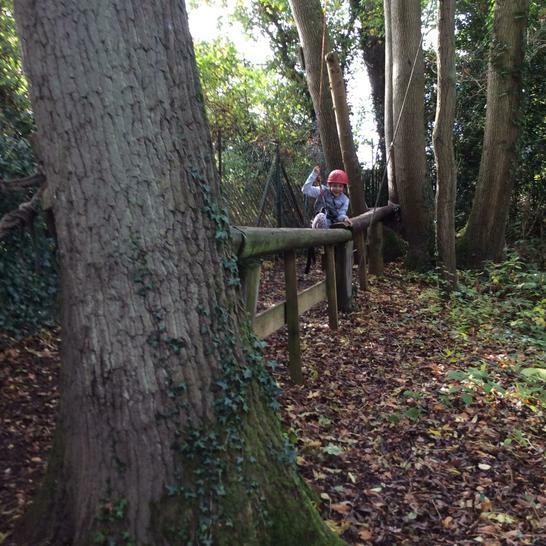 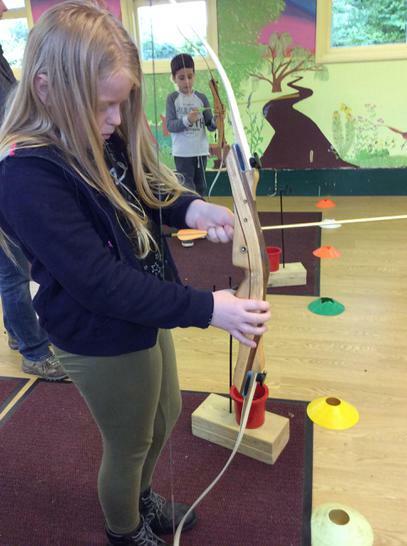 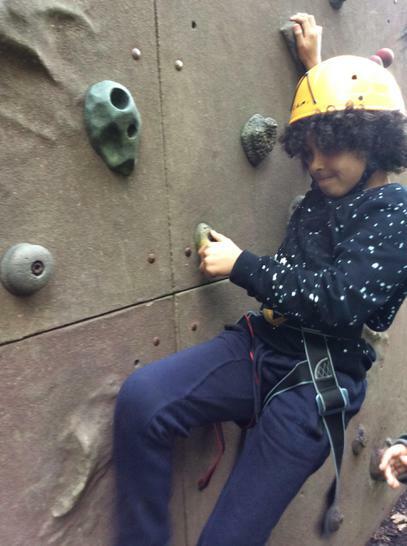 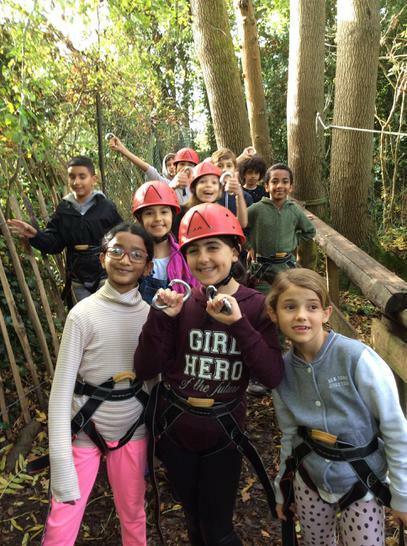 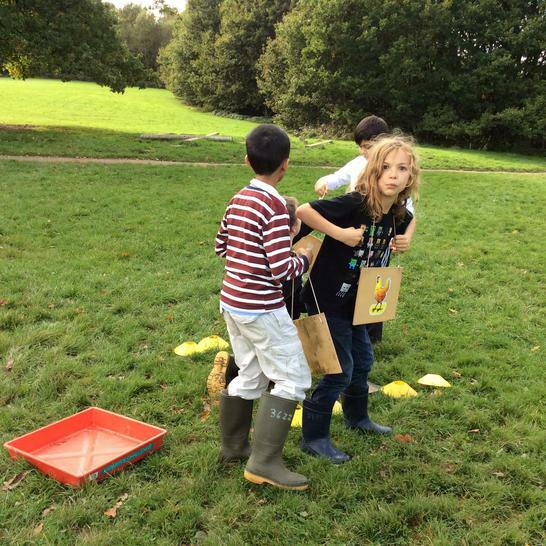 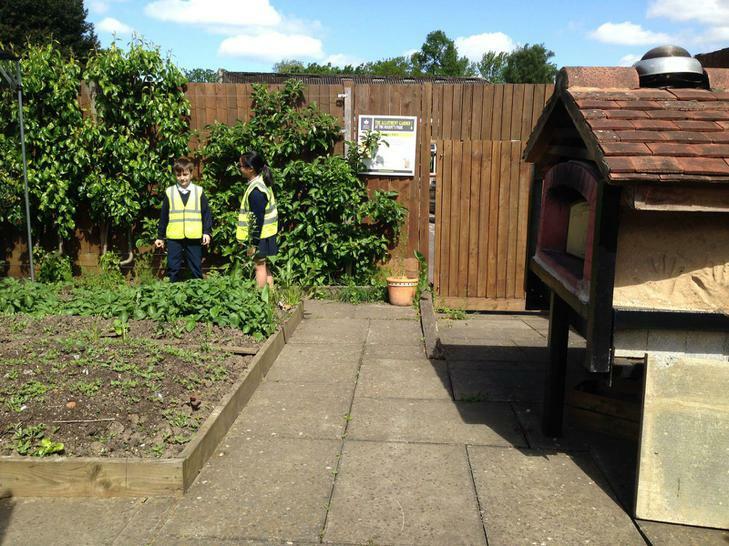 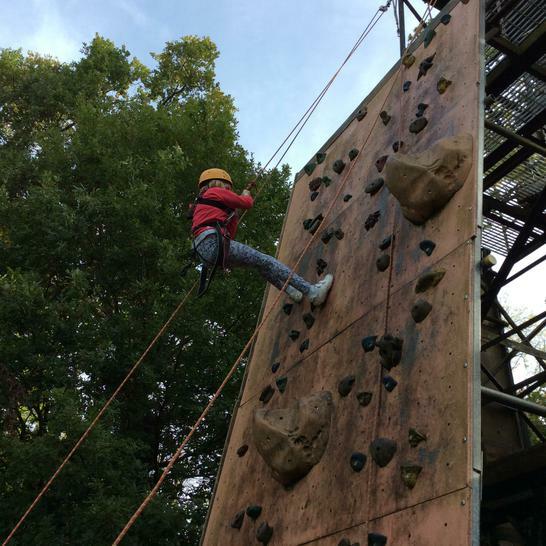 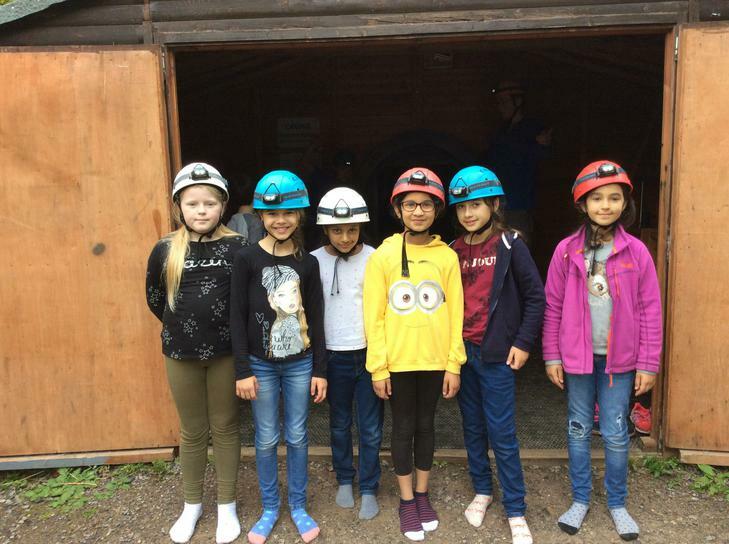 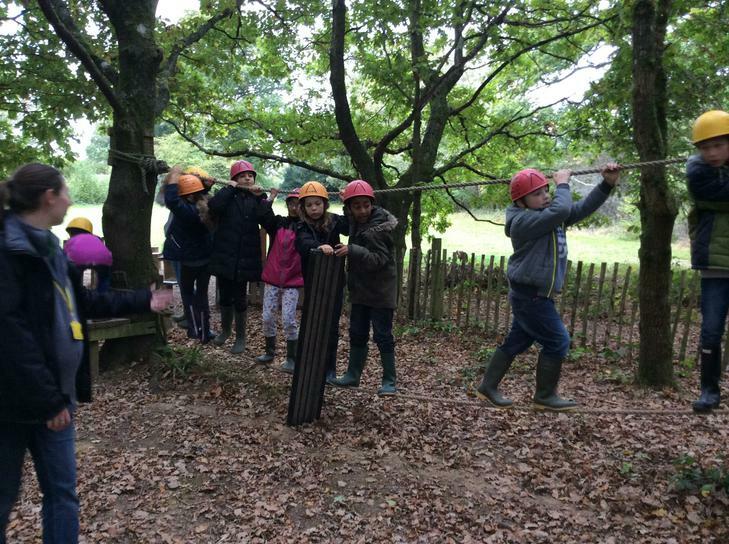 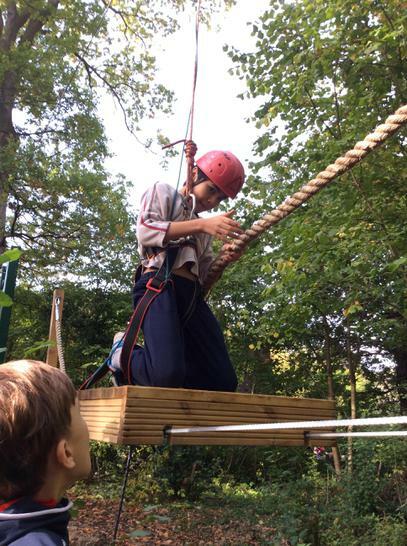 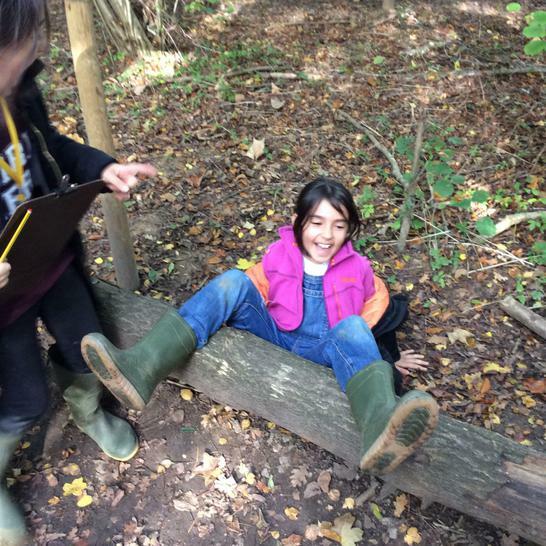 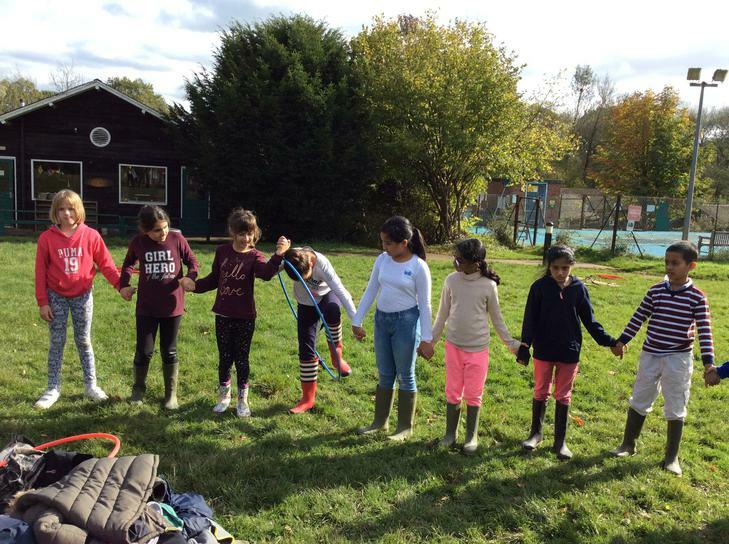 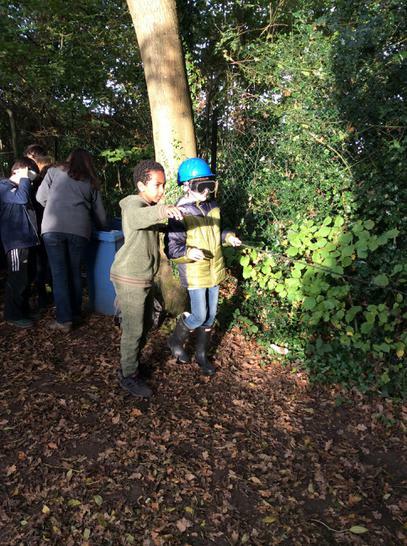 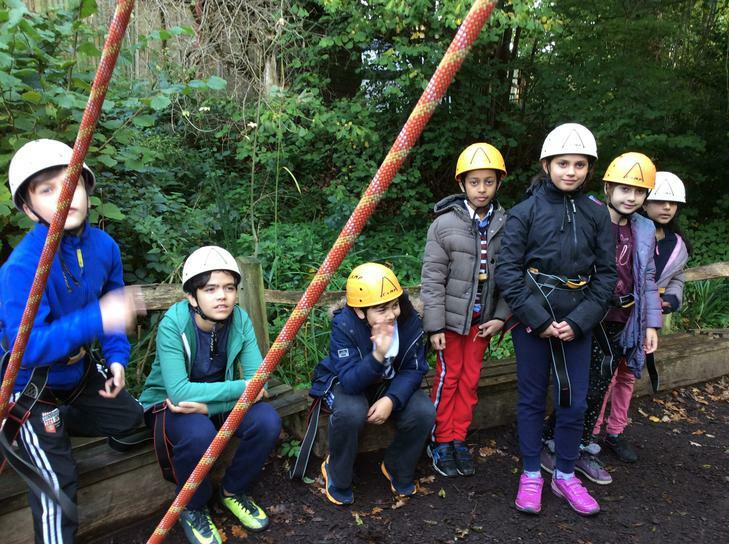 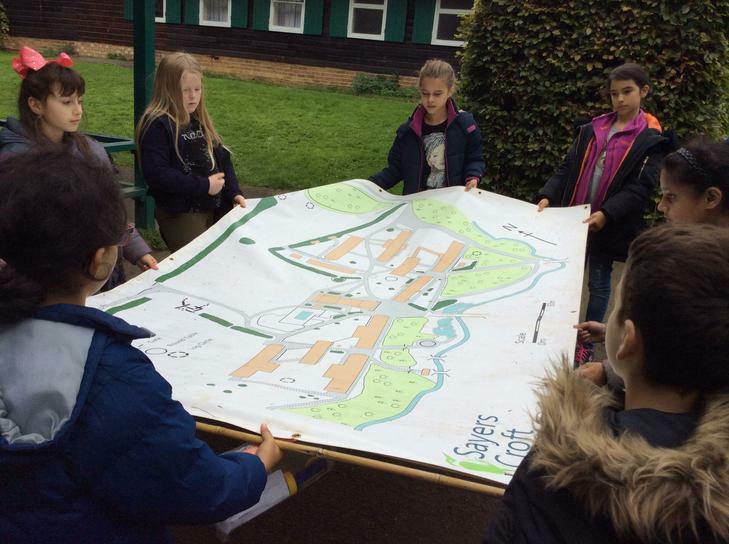 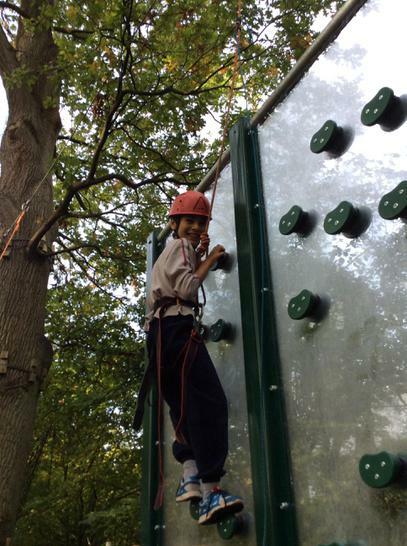 In October, year 5 went to Sayers Croft: a beautiful, safe site with 56 acres of woodlands, meadows, ponds and fields and has been providing quality outdoor experiences for young people. 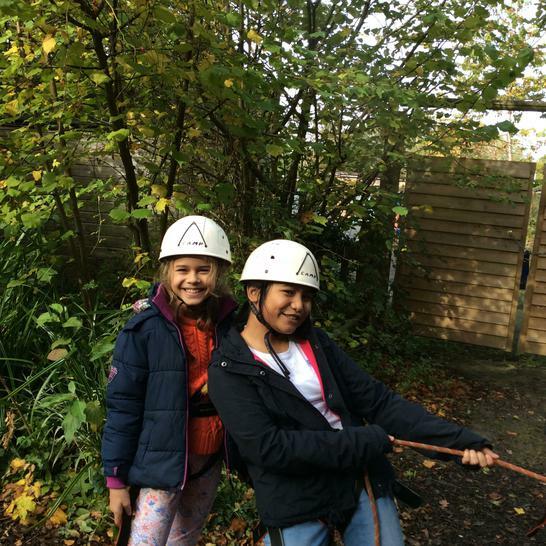 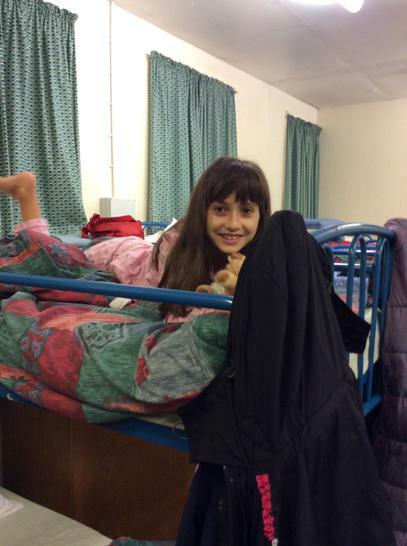 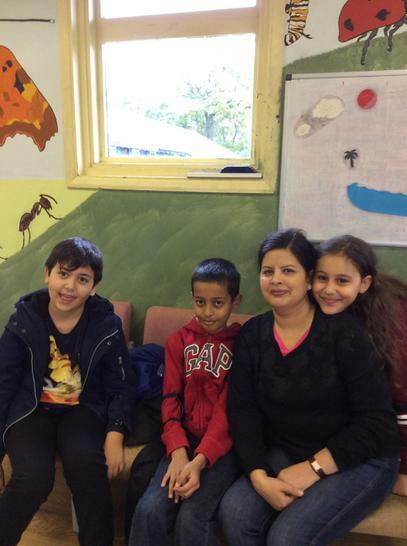 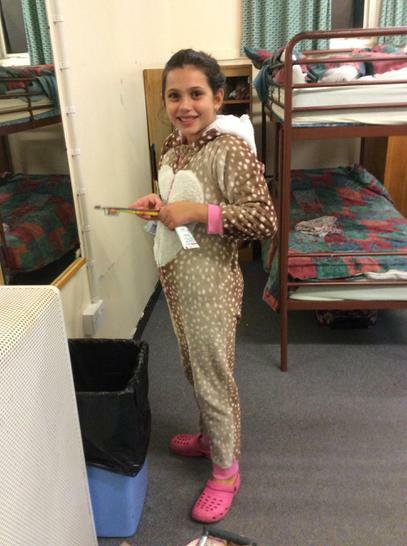 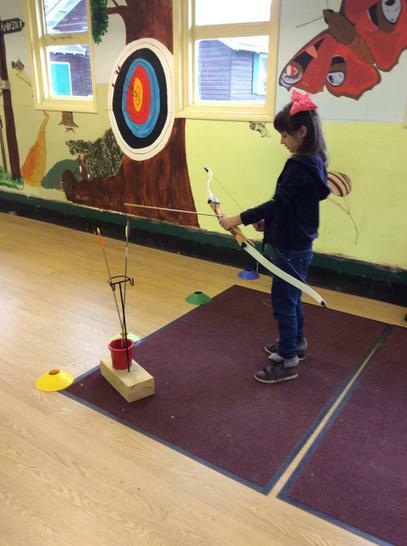 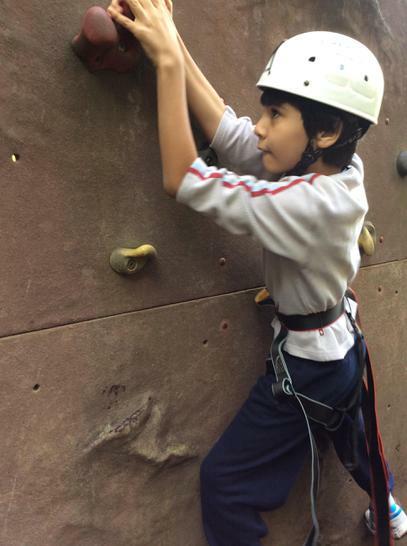 They participated in adventure, exploration, challenge and discovery activities and had a wonderful time! 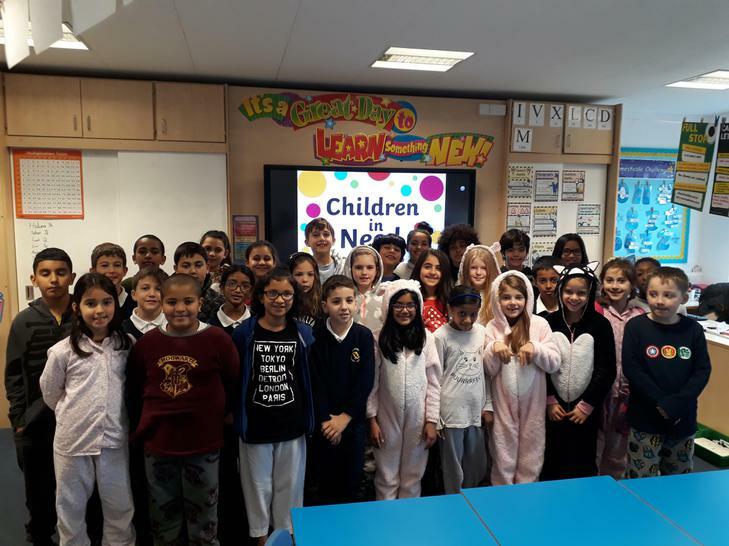 Welcome to the new Year 5 class!